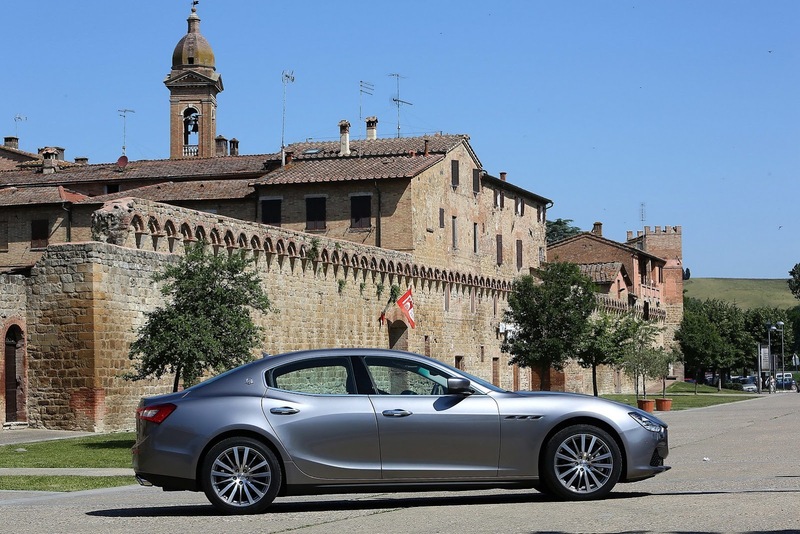 quanto ti piace la Maserati Ghibli 2013? 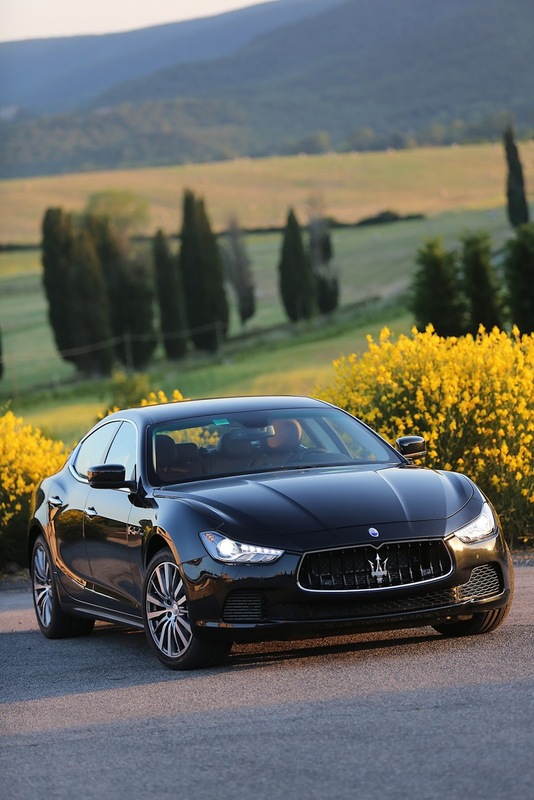 1. quanto ti piace la Maserati Ghibli 2013? 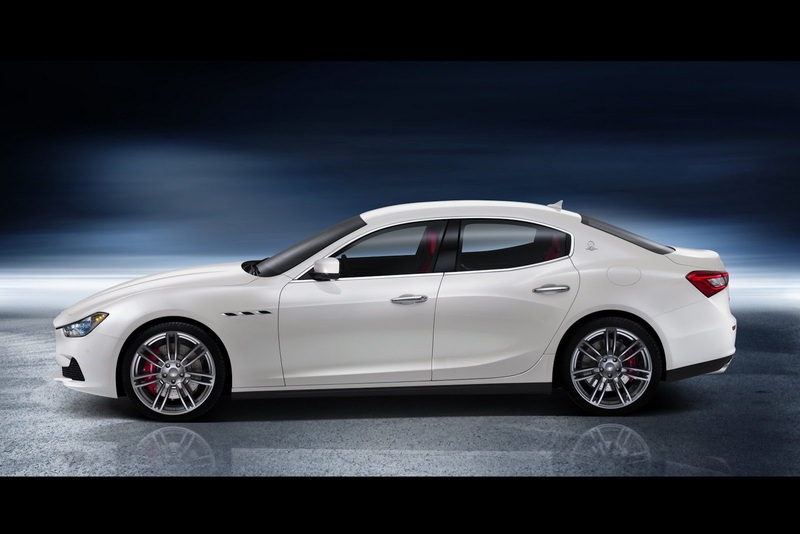 Together with a new 330 Hp Quattroporte purposely conceived for the Chinese market.Shanghai, China, April 20, 2013 - The Shanghai Motor Show will mark three giant steps in Maserati’s march towards its goal of 50,000 cars a year. 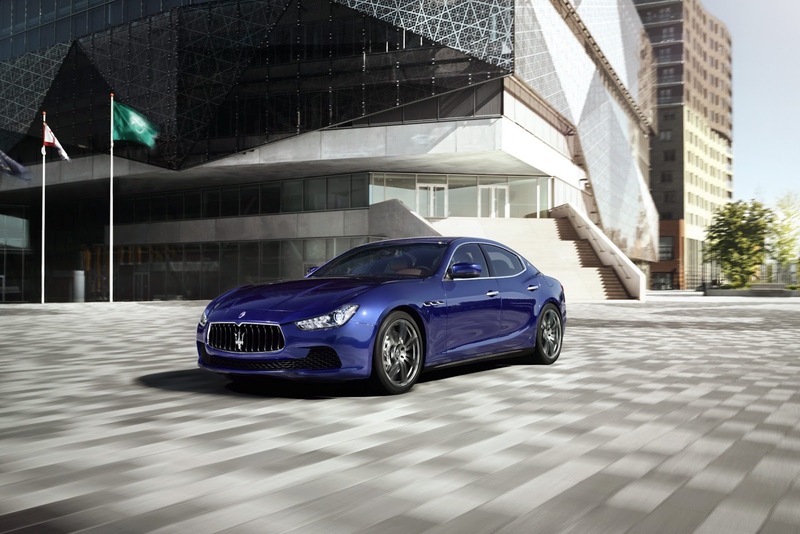 The Maserati momentum that began late last year with the all-new V8 and V6 Quattroporte continues in Shanghai with the all-new Ghibli – the first-ever mid-size four-door luxury sports saloon in Maserati’s history. 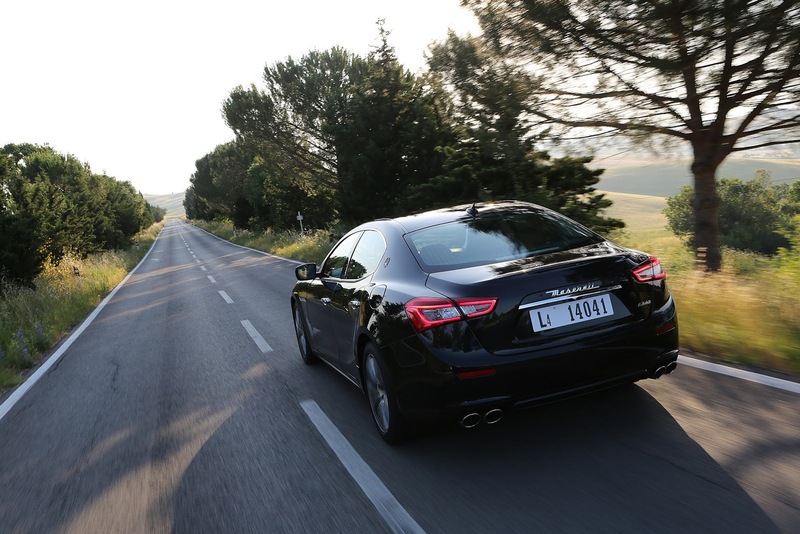 Both the Quattroporte and the Ghibli saloons will each boast two different power outputs from their turbo-charged V6 petrol engines. 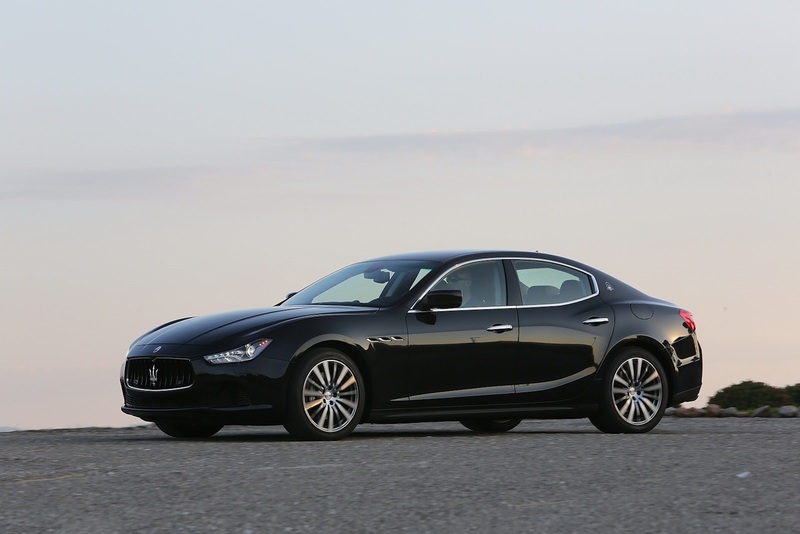 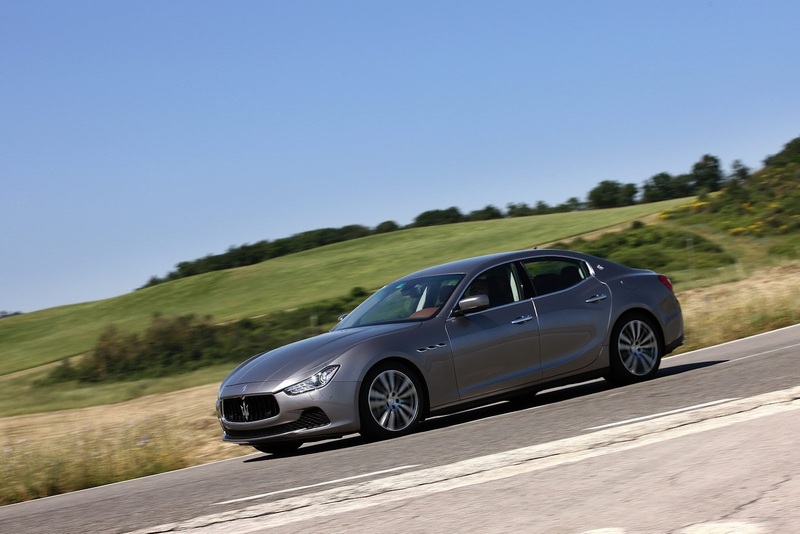 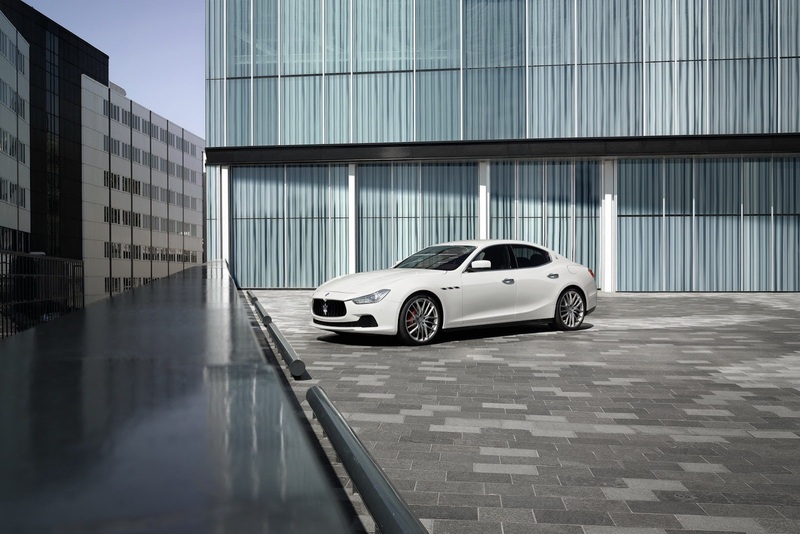 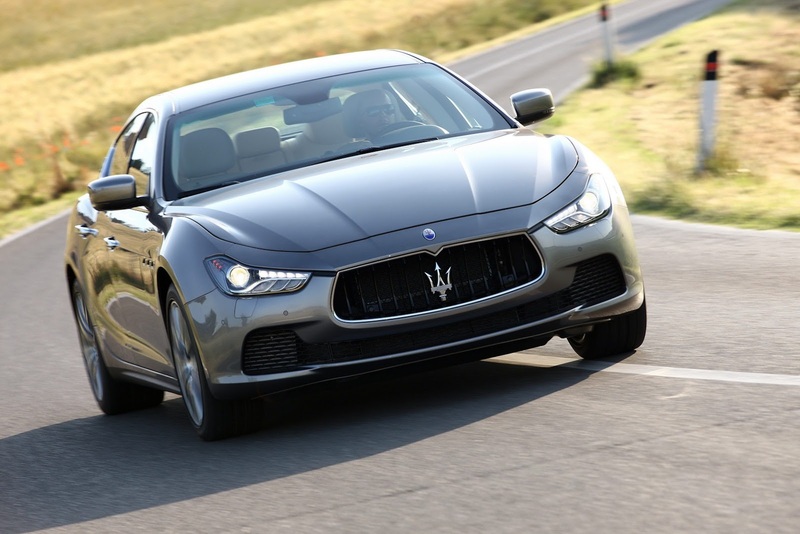 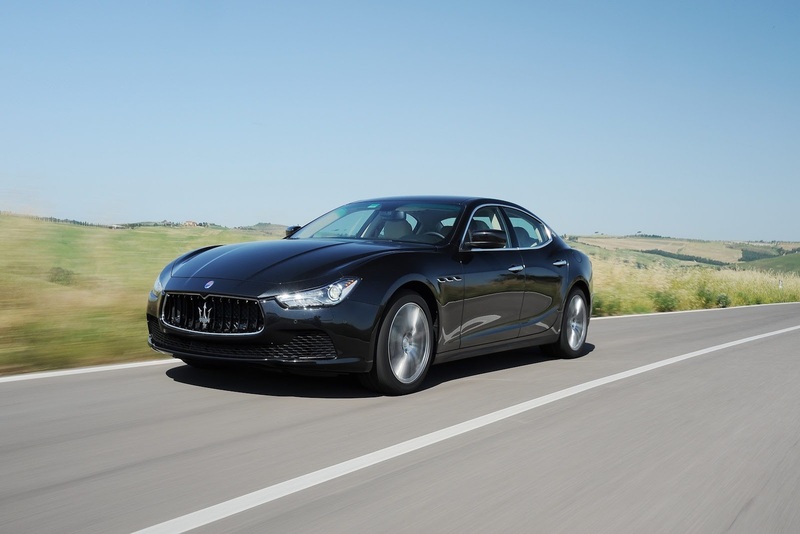 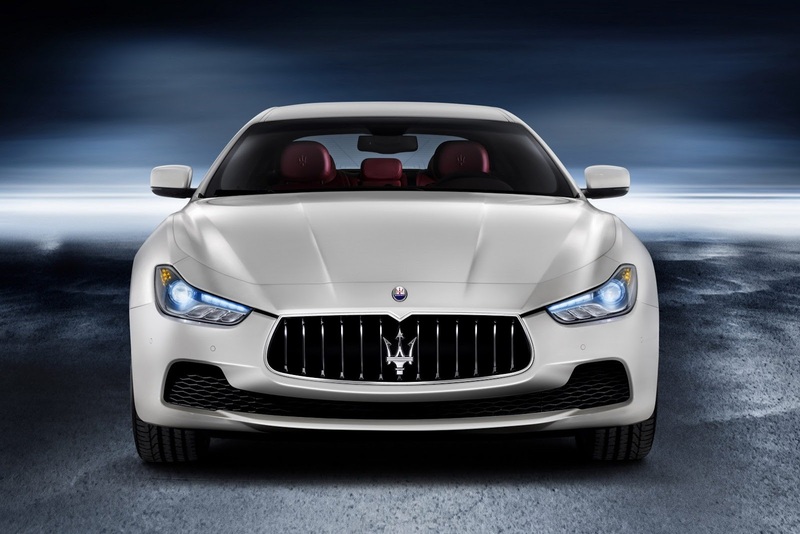 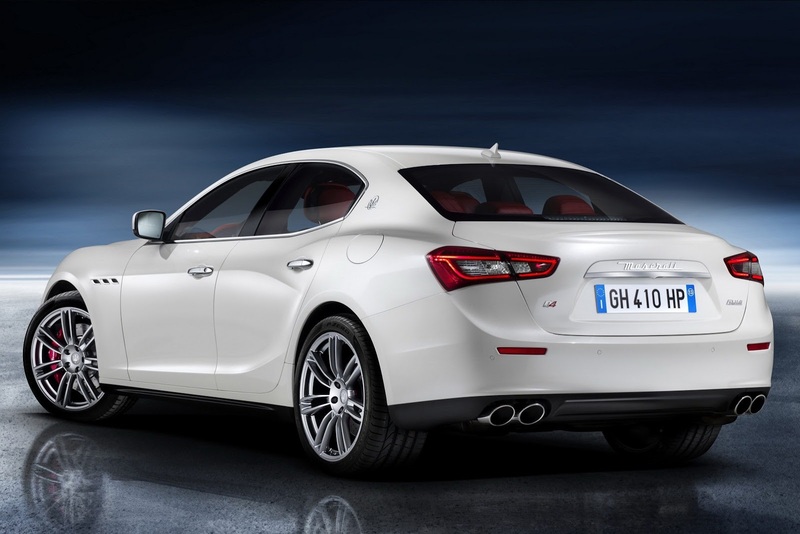 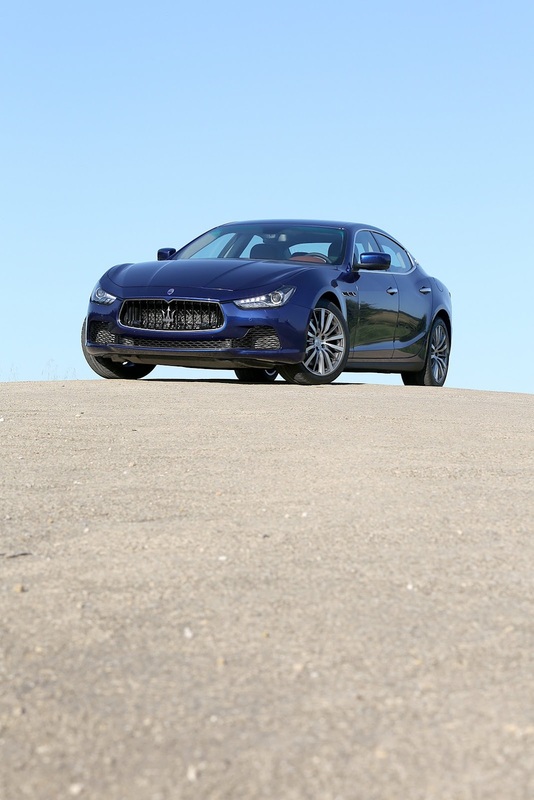 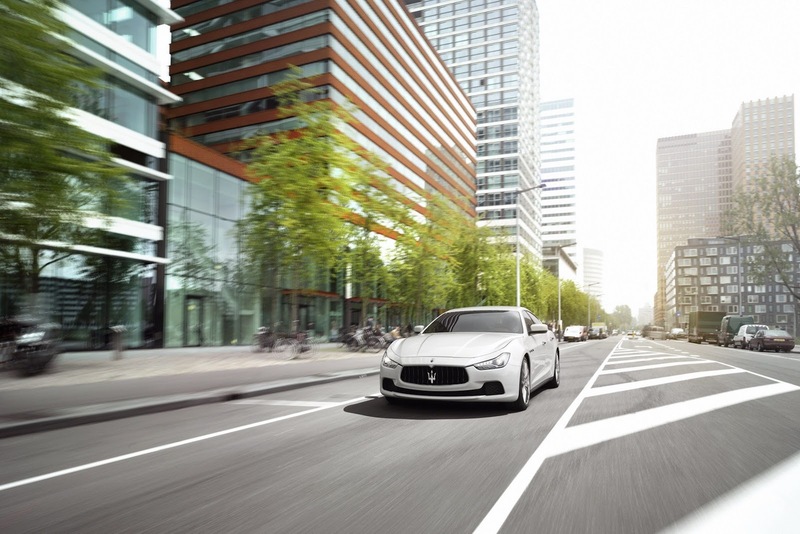 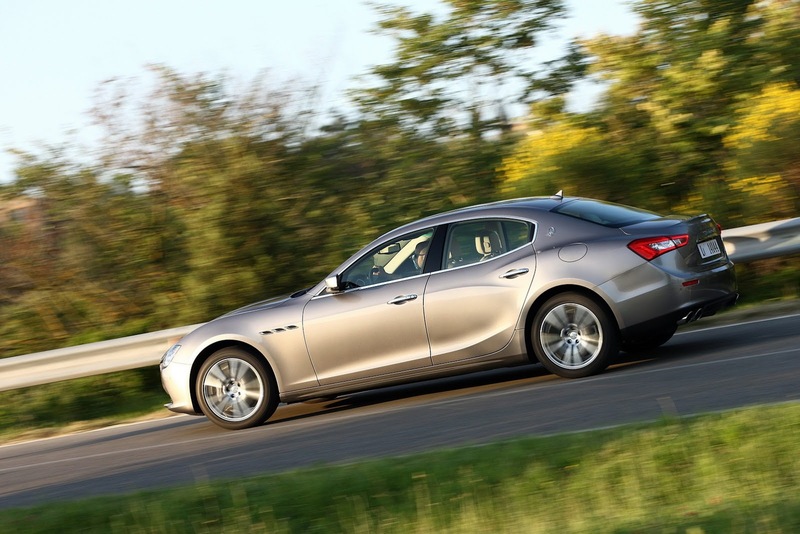 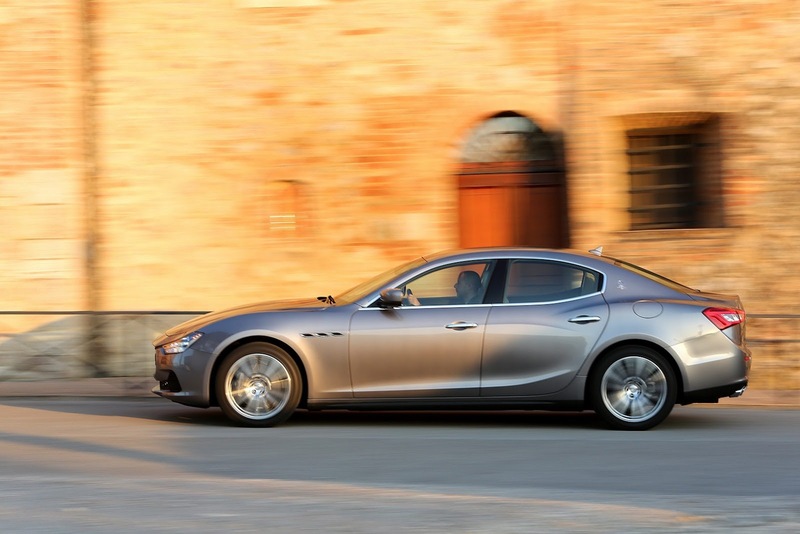 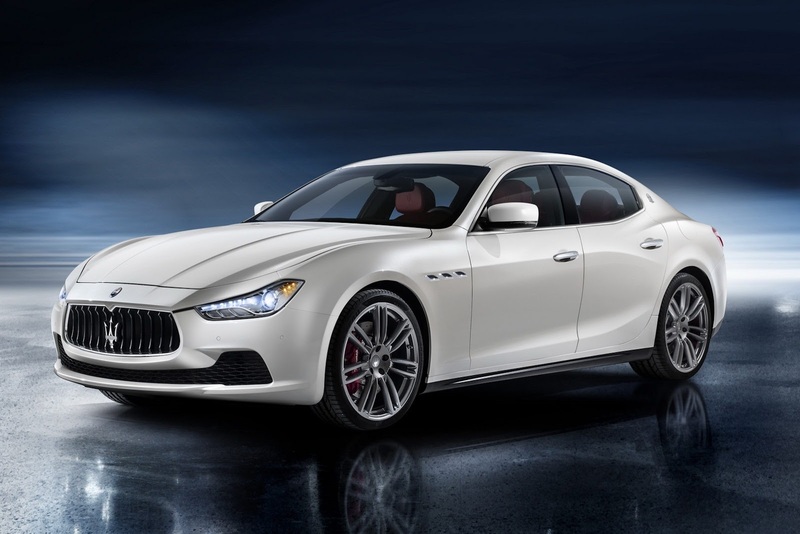 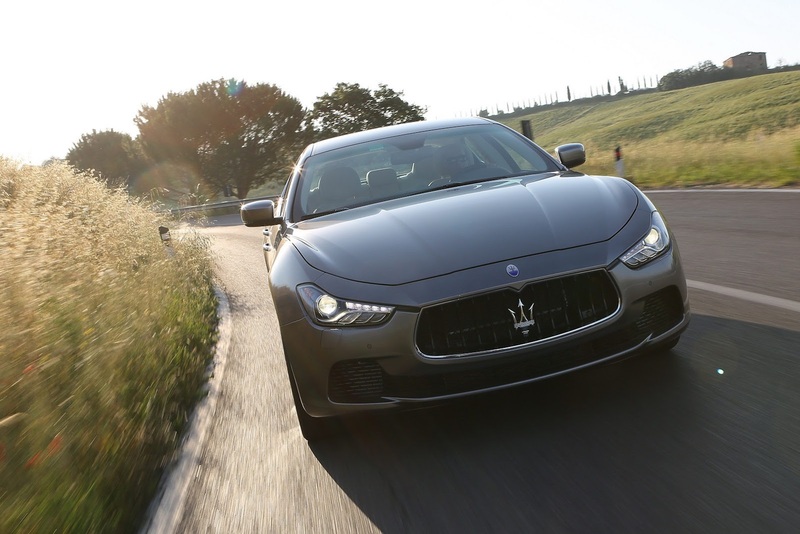 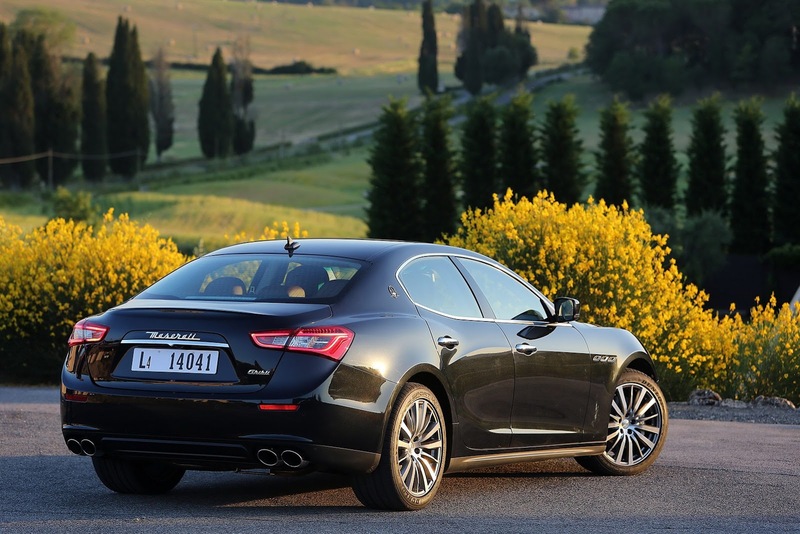 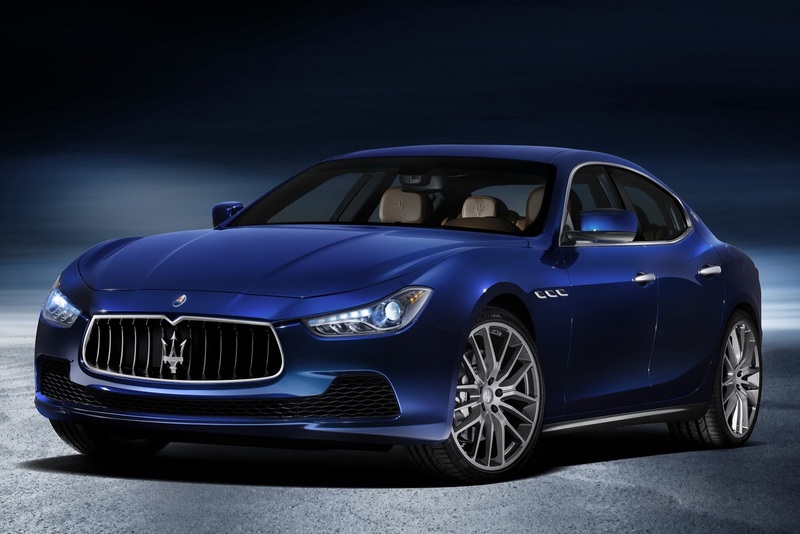 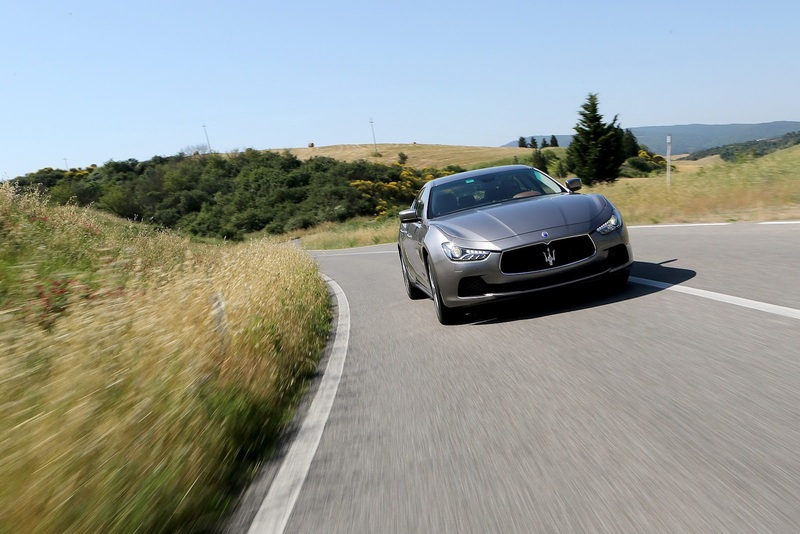 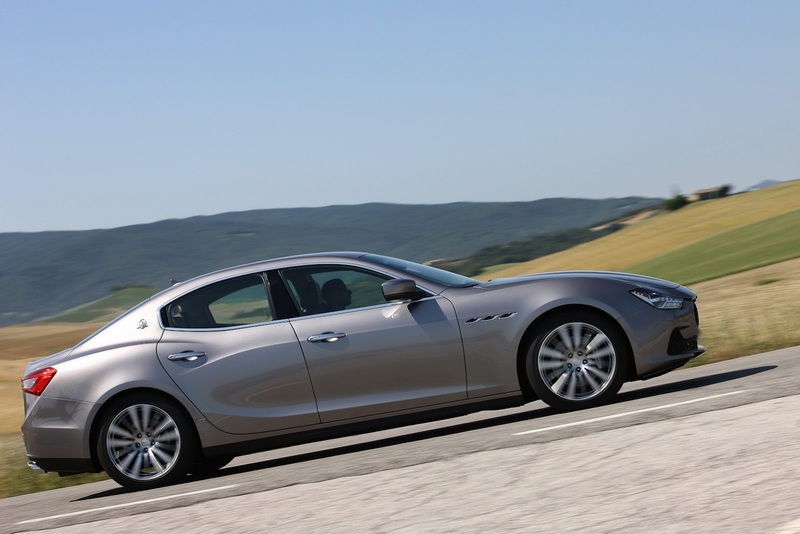 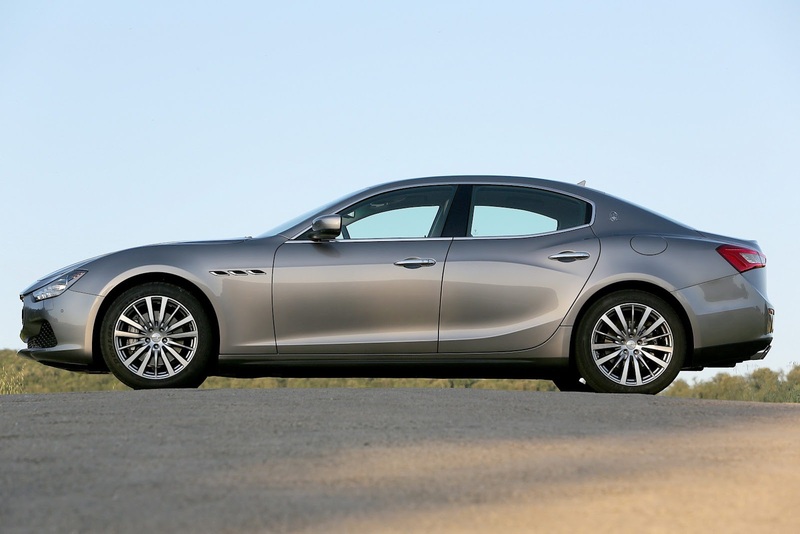 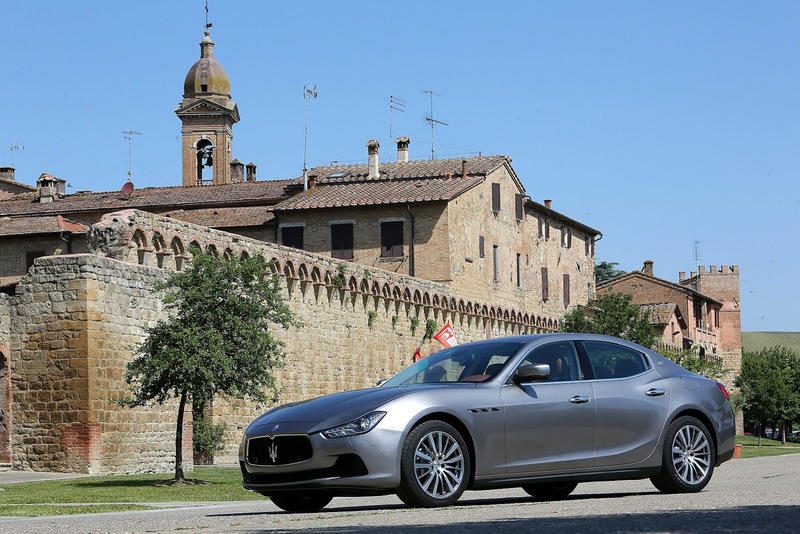 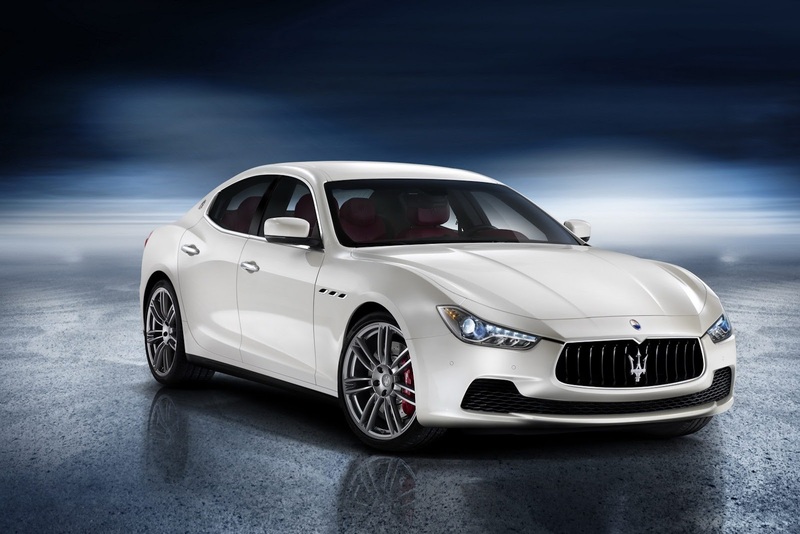 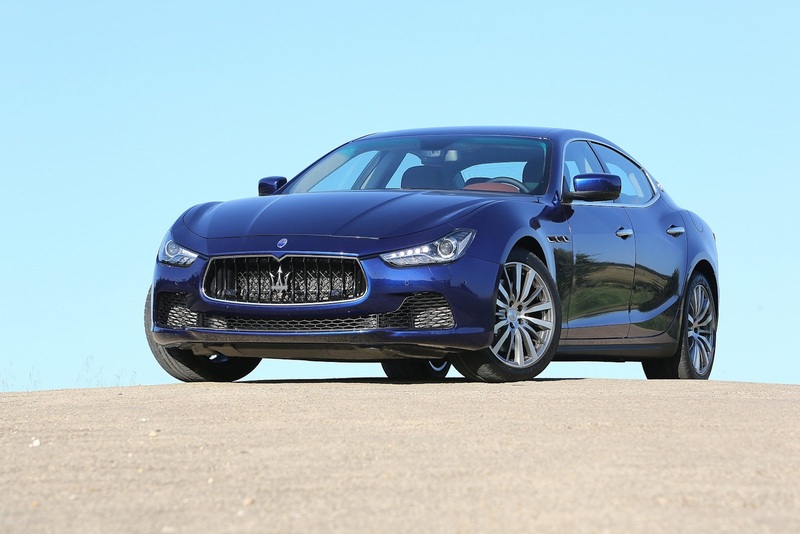 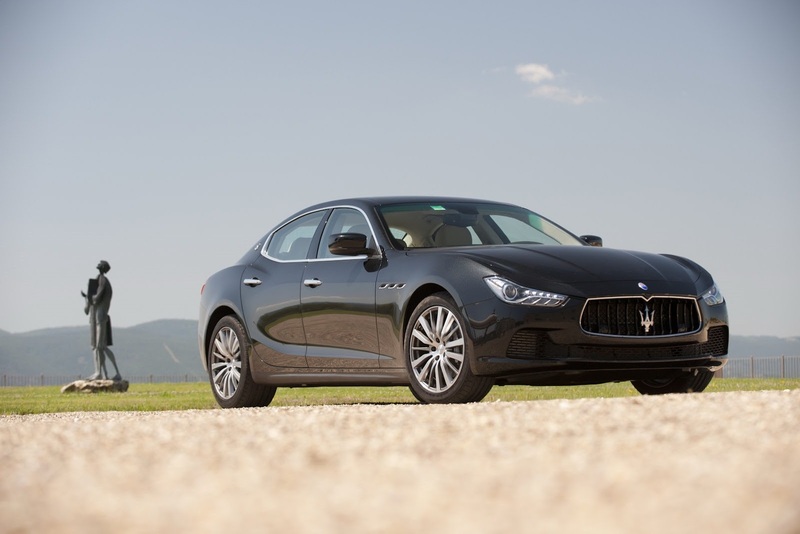 The Ghibli will additionally be offered with the first diesel engine in Maserati’s history. 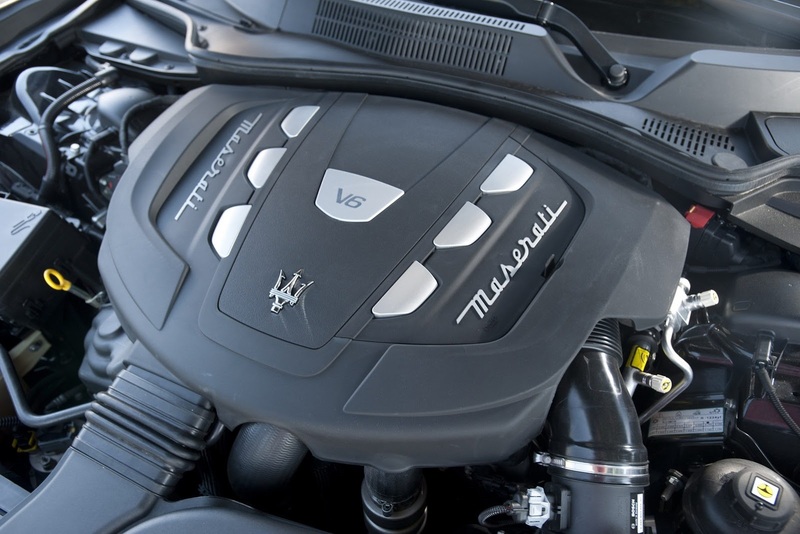 The turbo-diesel 3.0-litre V6, developed by Maserati engineers under the direction of Scuderia Ferrari former Chief Motorist Paolo Martinelli, will deliver traditional Maserati high performance and sound but will use less than six litres per 100 km (more than 47 mpg) on the NEDC fuel economy cycle. 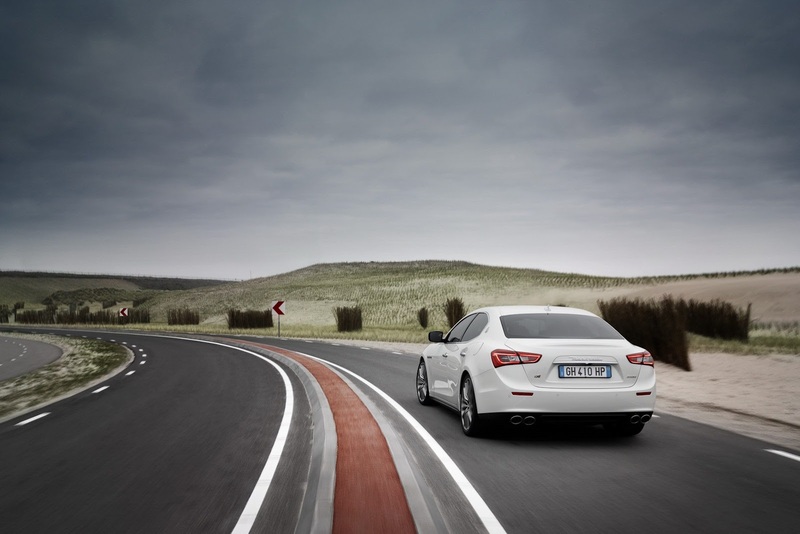 In addition, its CO2 emissions output will be less than 160g/km on the combined cycle. 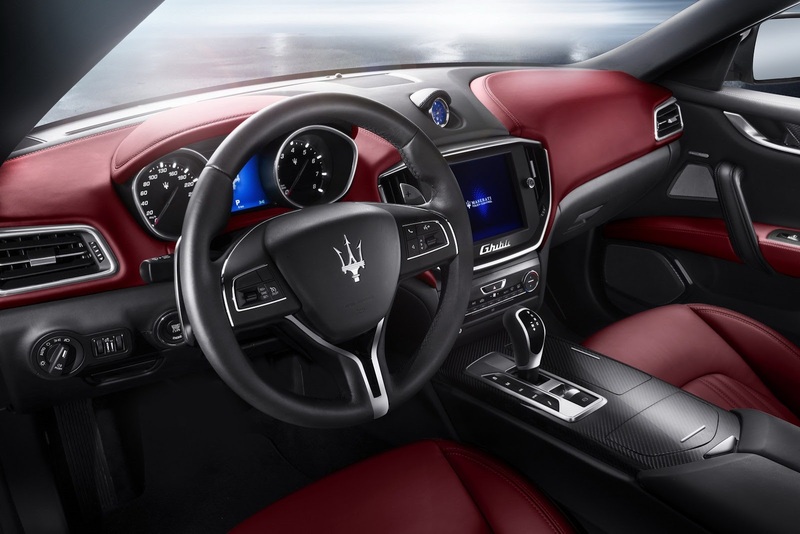 Another Maserati making its world debut in Shanghai is a version of the new Quattroporte equipped with a V6 capable of 330 Hp (243kW) and specifically conceived and developed for the Chinese market. 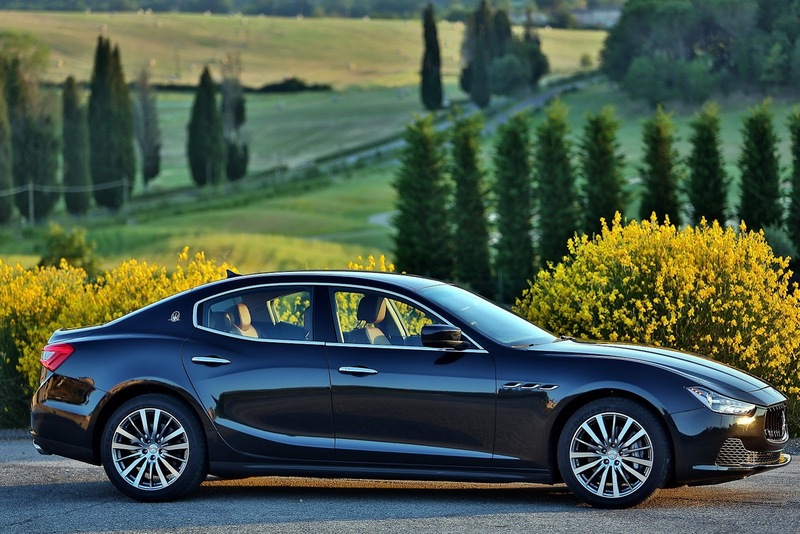 The all-new Ghibli is set to break new grounds for Maserati. 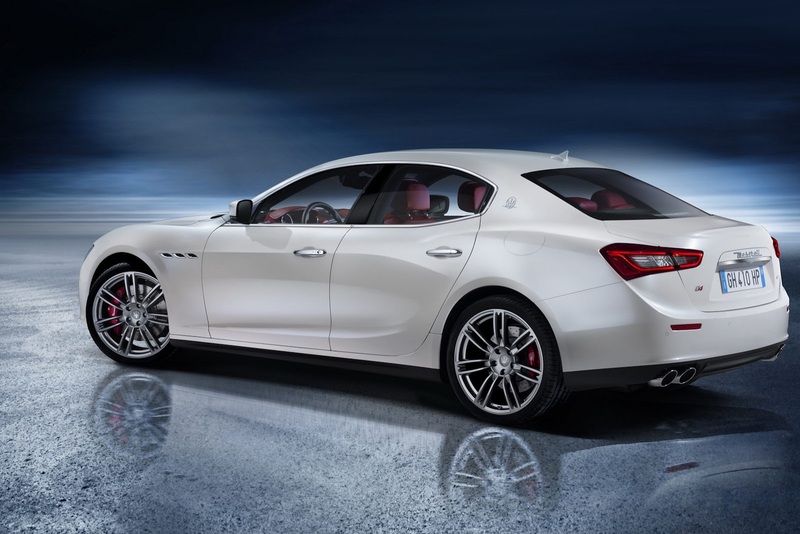 With its debut at the Shanghai Motor Show, it marks the first time in Maserati history that the Italian sports, luxury and prestige maker will have two four-door saloons on sale at the same time. 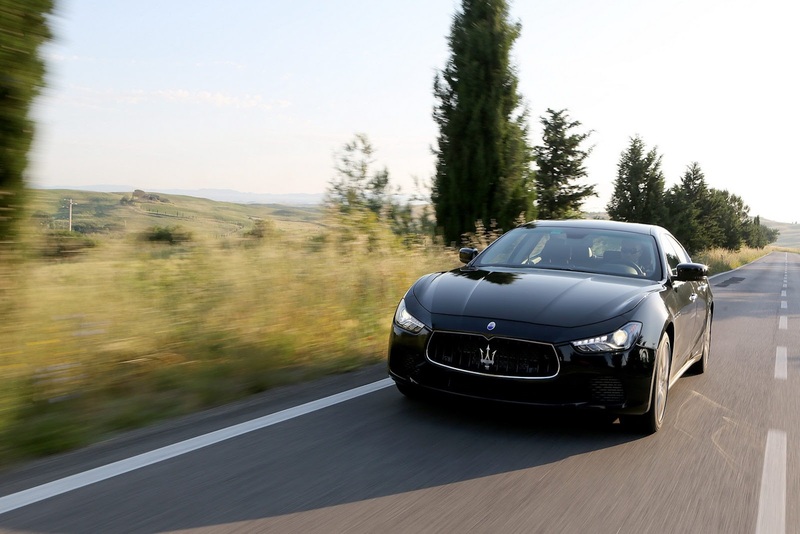 The Ghibli’s design ethos emphasises its more dynamic driving characteristics by maintaining visible links with the larger Quattroporte while delivering a more aggressive visual personality. 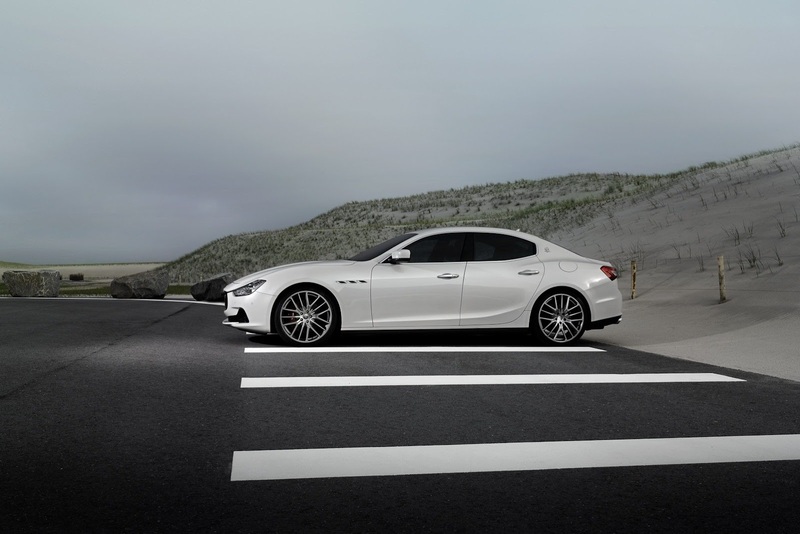 The outline of the body reflects a coupe-like philosophy for the four-door saloon, while there are strong feline hints around the Ghibli’s grille and headlights. 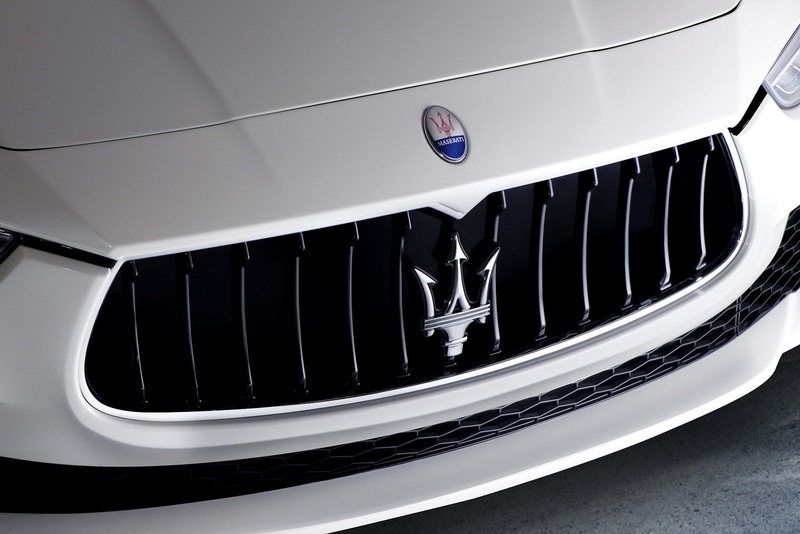 The grille takes its inspiration from the current GranTurismo and it can draw a line back to the classic A6 GCS of the 1950s. 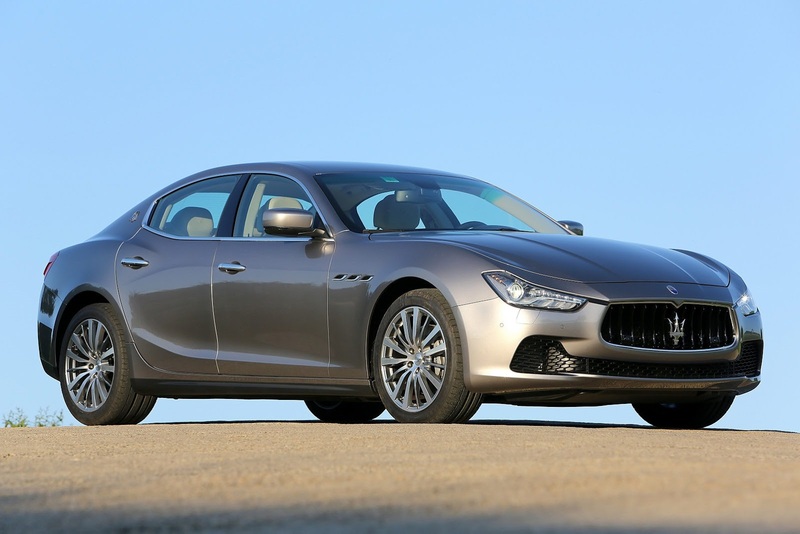 It also maintains Maserati’s distinctive C-pillar treatment, which delivers much of the coupe-like stance and carries the classical Saetta Maserati logo, carrying on a tradition dating back to 1963. 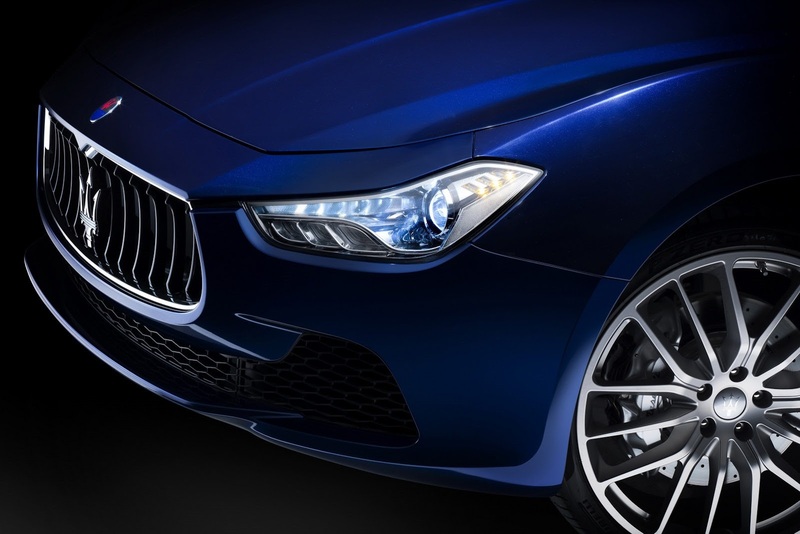 The side profile is dominated by a swage line that runs from the traditional Maserati grille vents behind the front wheels and finishes in the rear lights themselves. 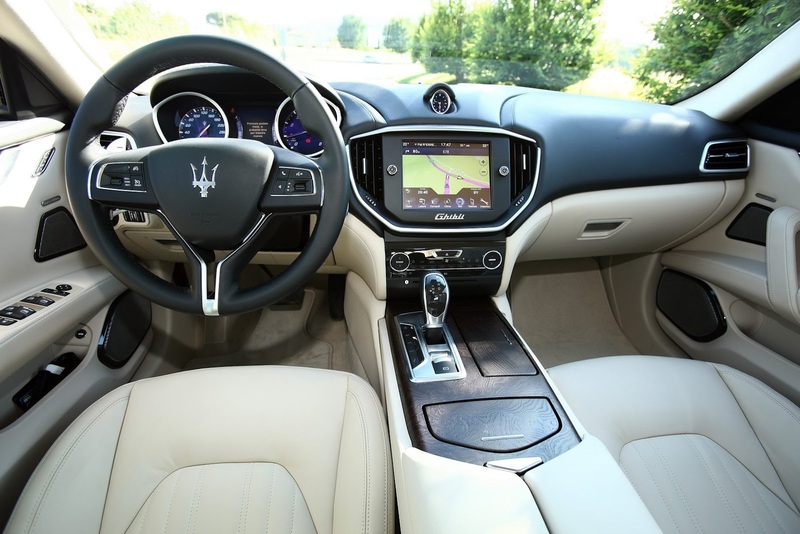 Inside, the Ghibli sets itself apart from the Quattroporte with its own dashboard design that perfectly meets the buyer’s need for a sportier and youthful experience without losing any of the luxury expected in a Maserati. 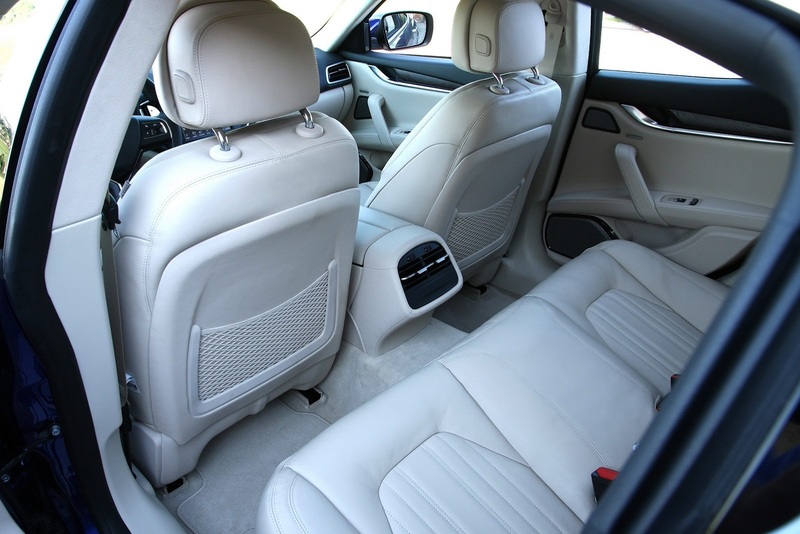 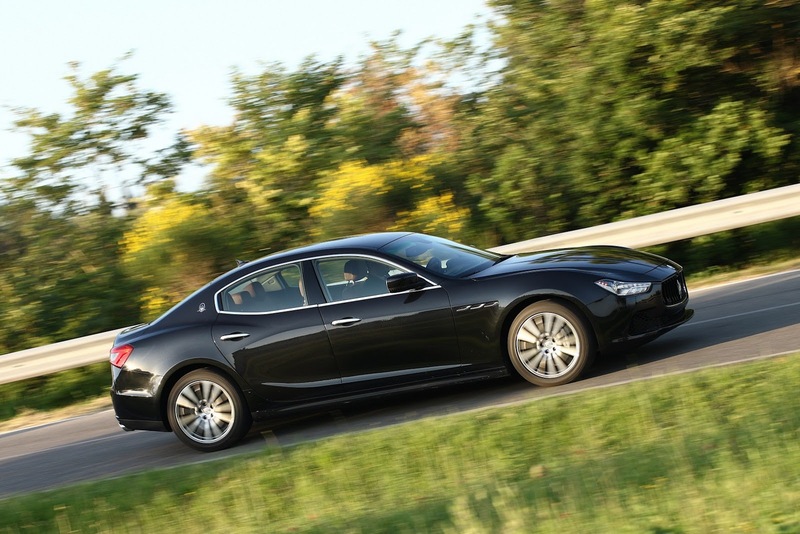 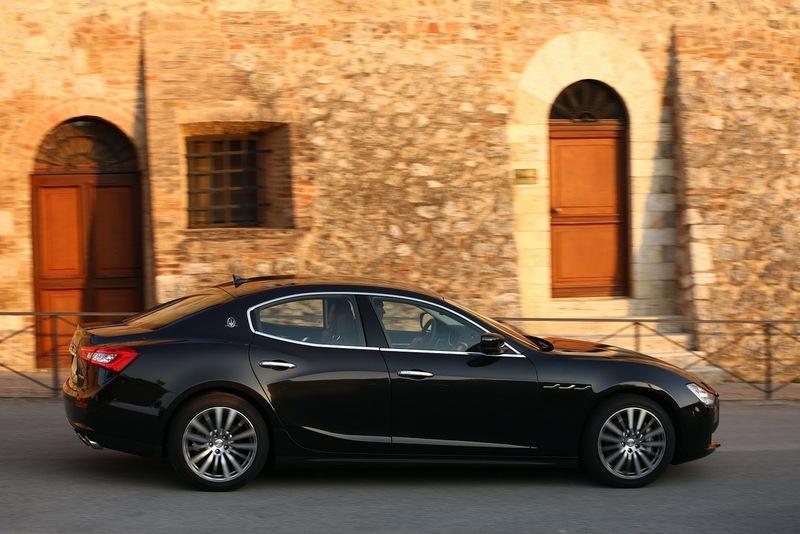 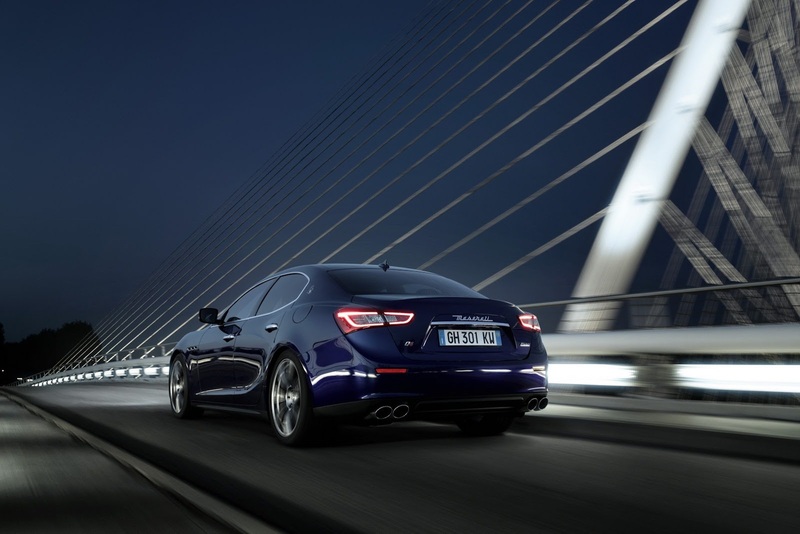 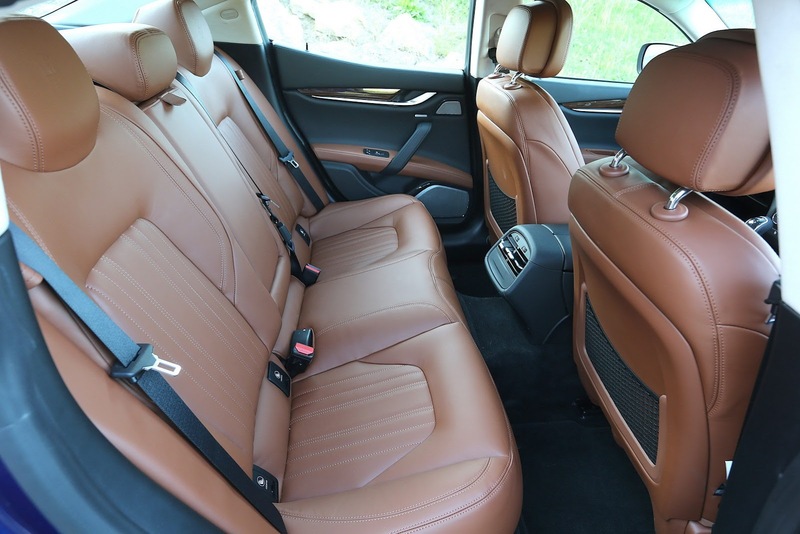 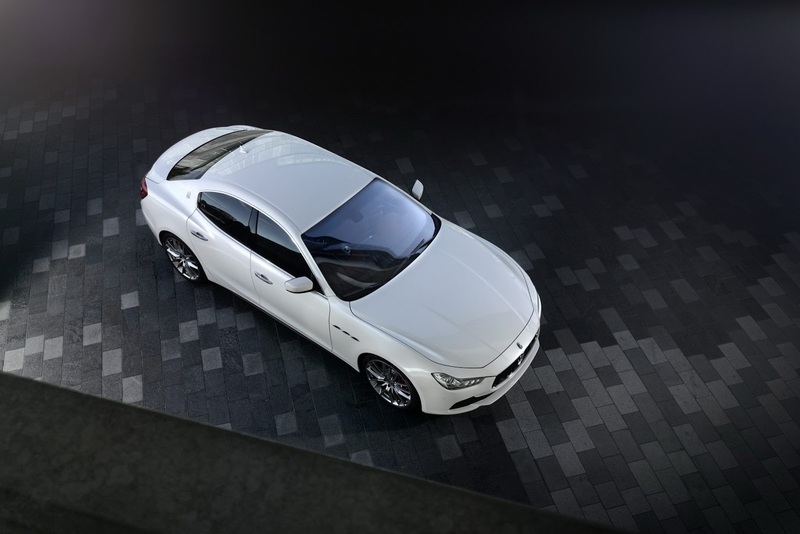 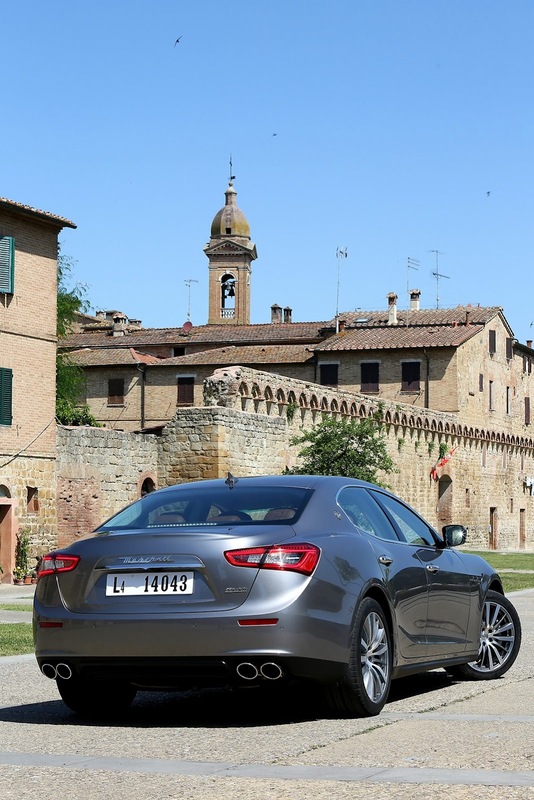 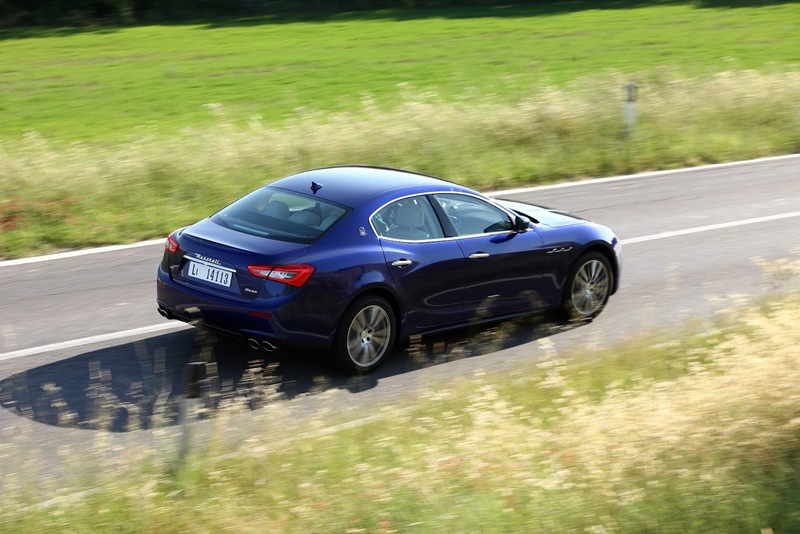 The Ghibli also delivers a sporty design combined with the typical roominess of an executive saloon. 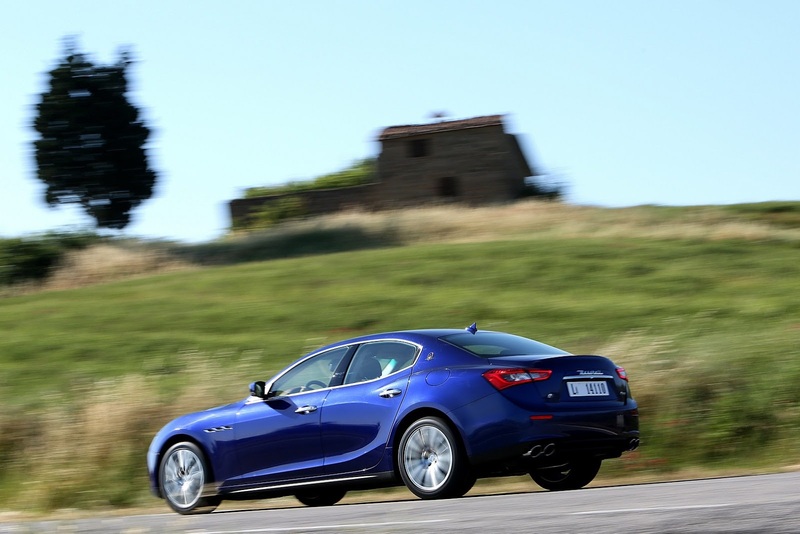 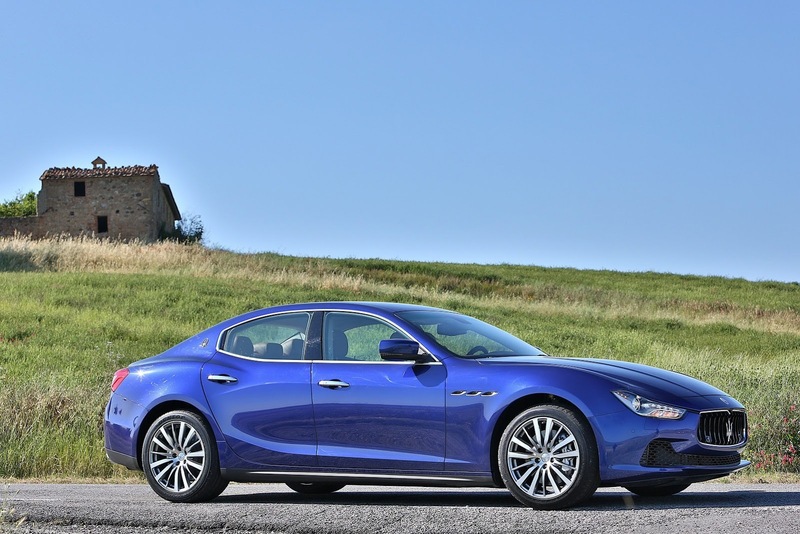 The Ghibli will have a more-focused, sportier philosophy than the larger Quattroporte. 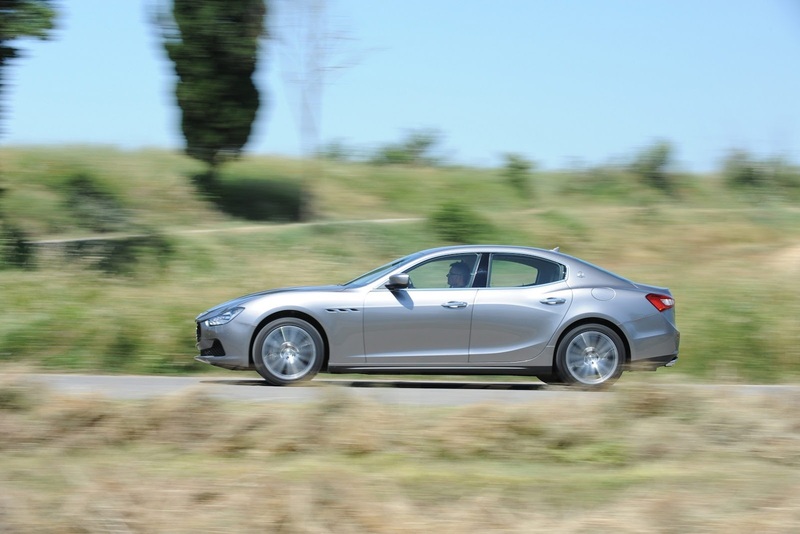 It will be available with two turbocharged 3.0-litre V6 petrol engines, and an eight-speed automatic transmission. 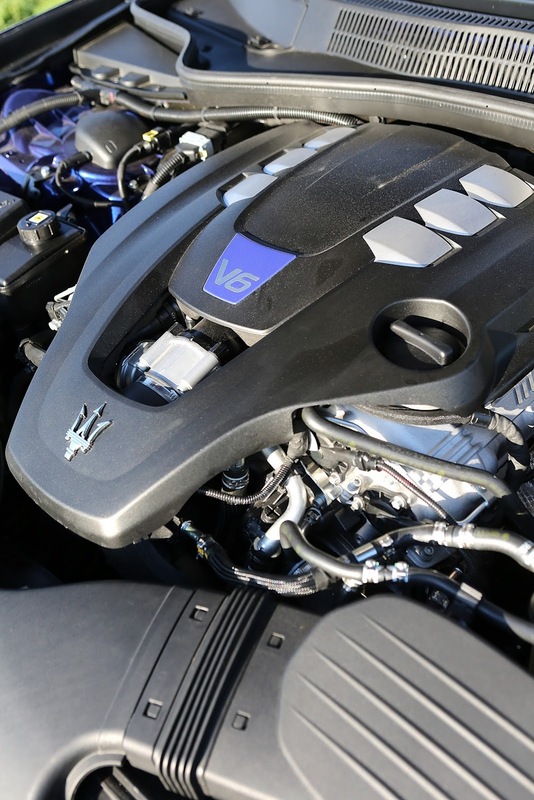 The most powerful of the V6s will be the twin-turbo unit in the Ghibli S, which produces 301kW (410hp) of power at 5500rpm and 550Nm of torque from just 1750rpm. 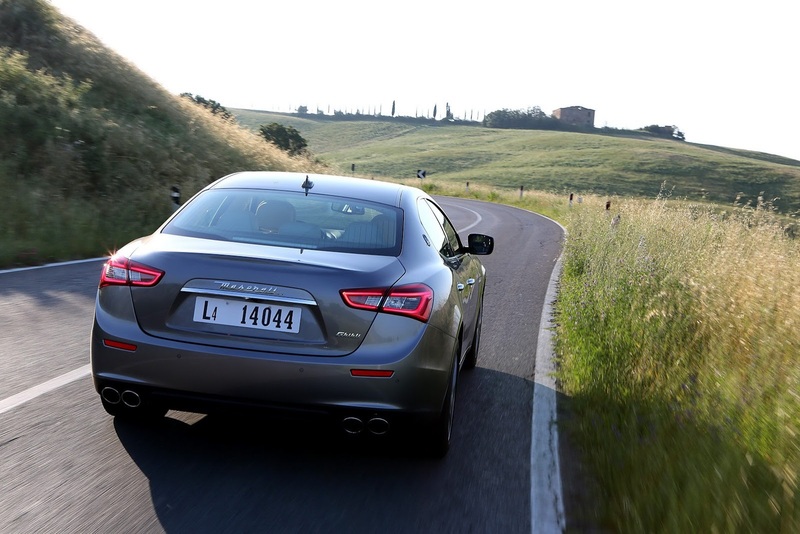 The rear-wheel drive Ghibli S will reach 100km/h in 5 seconds flat, and has a quoted top speed of 285km/h (177 mph). 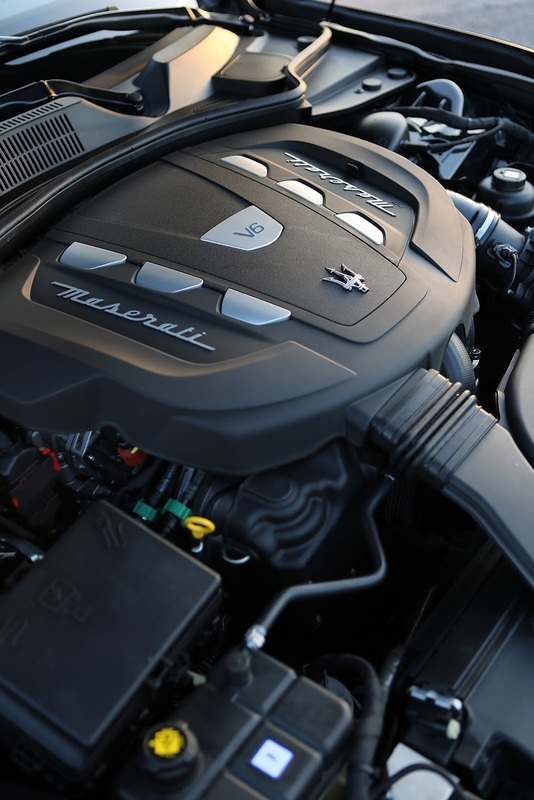 The second turbo-charged 3.0-litre V6 petrol engine available on the Ghibli not only has an impressive power of 243kW (330hp) and 500Nm of torque, but delivers a fuel economy figure of just 9.6 litres/100km (28.8 mpg). 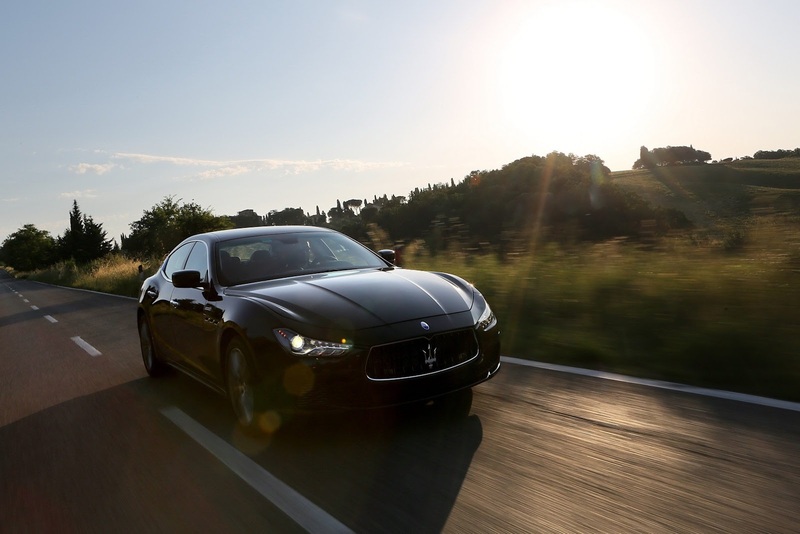 It is much more than a fuel saving car, though, because it is capable of accelerating to 100km/h in just 5.6 seconds. 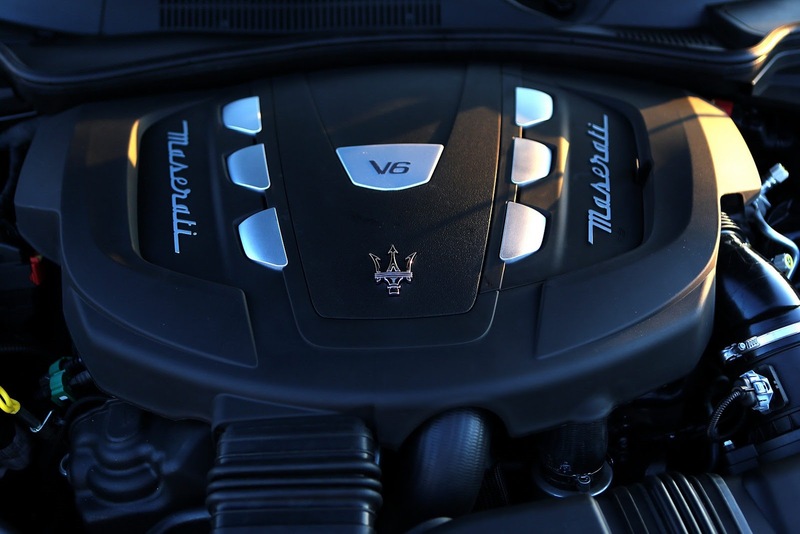 Both of these engines, with their parallel turbochargers, were developed by Maserati Powertrain in partnership with Ferrari Powertrain and will be built by Ferrari in its world-leading engine construction facility in Maranello. 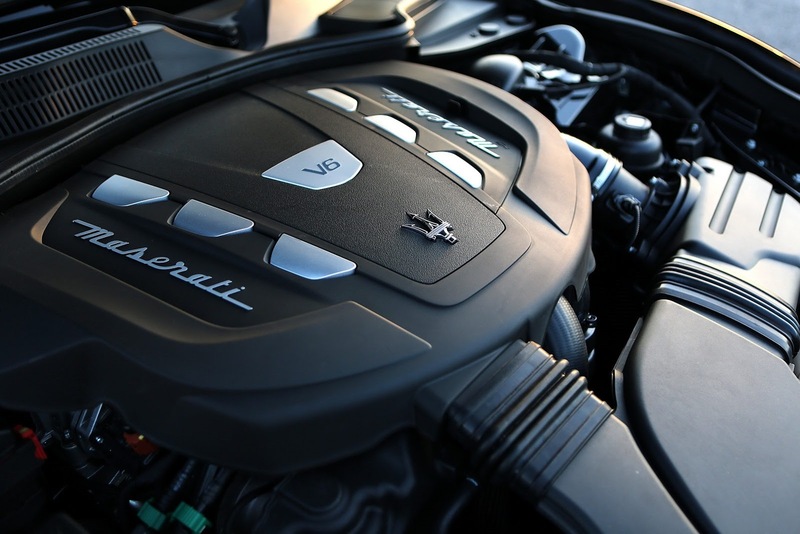 Sharing much of the technology with the Quattroporte’s 3.8-litre V8 engine, the V6 engines use petrol direct-injection technology along with two low-inertia parallel turbochargers, four continuous camshaft phasers and deliver their fuel at around 200 bar of pressure. 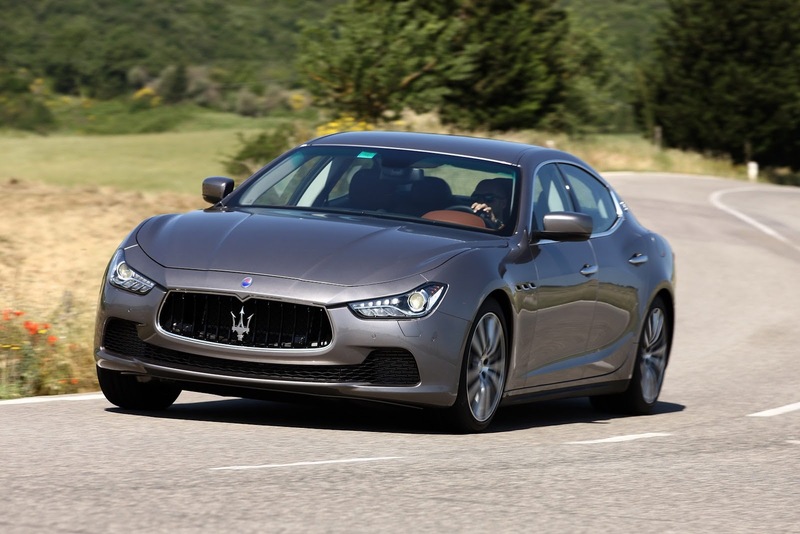 This technology means that while the Ghibli S V6 has a rev limiter at 6500rpm, it still delivers 90 percent of its torque from less than 1500rpm. 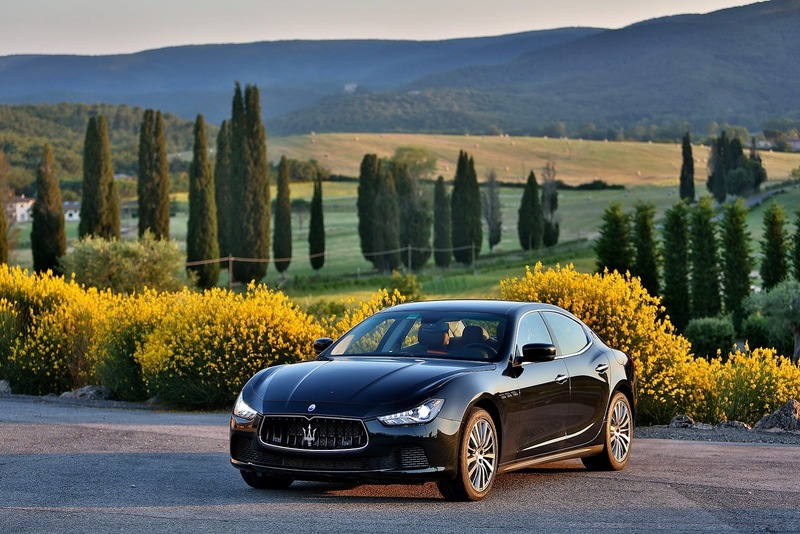 The Ghibli will also become the first Maserati production car in history to be powered by a diesel engine, with a 3.0-litre V6 turbo-diesel. 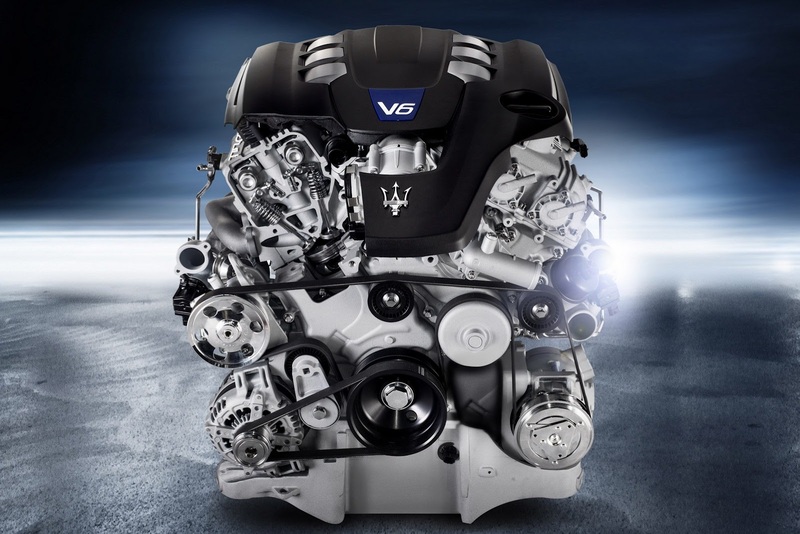 The 3.0-litre turbo-charged V6 develops 202kW (275hp) of power and a crushing 600Nm of torque to deliver 0-100km/h acceleration in just 6.3 seconds. 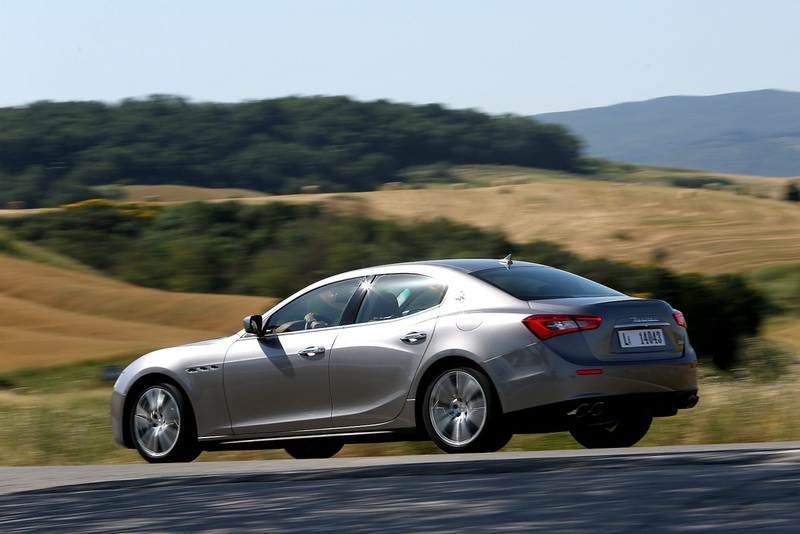 Critically, its NEDC fuel economy figure is less than 6.0 litres per 100km (more than 47 mpg). 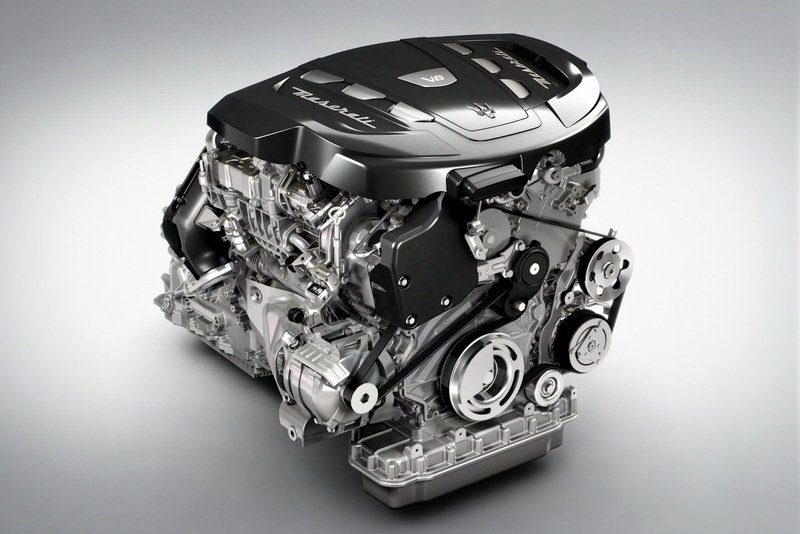 It uses highly advanced Common-Rail direct fuel injection with 2000 bar of injection pressure and it also features reduced-dwell-time injectors. 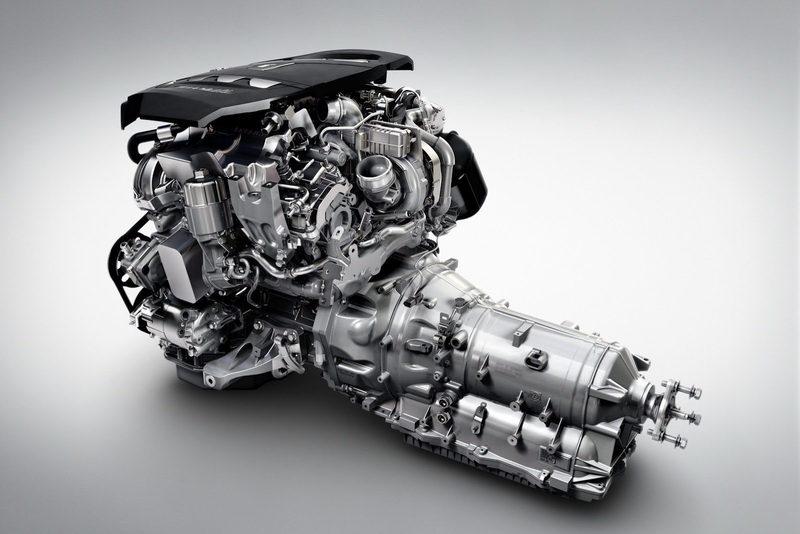 This helps it to deliver sequential multiple injections for highly responsive performance and cleaner emissions with a CO2output of less than 160g/km on the combined cycle. 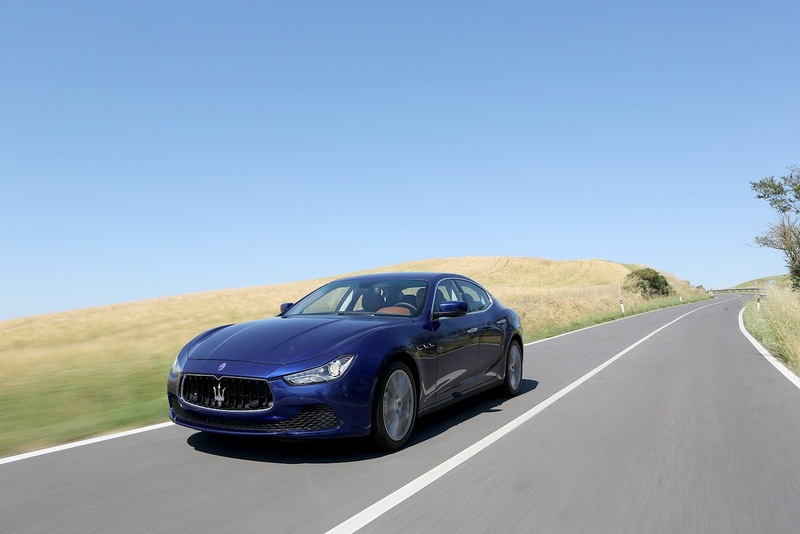 Every Maserati is instantly recognisable by its engine note and the Ghibli Diesel is no different from its petrol ‘sisters’, thanks to the new Maserati Active Sound system. 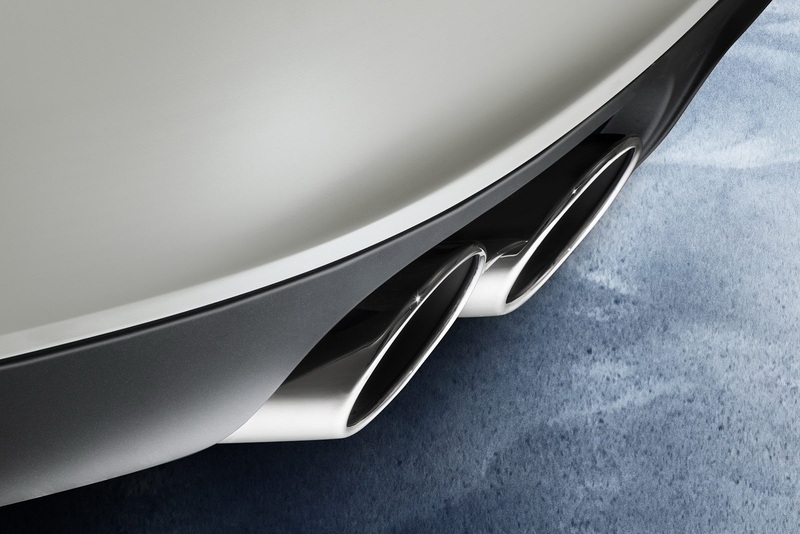 Two sound actuators, fitted near the exhaust tailpipes, accentuate the engine’s most distinctive tones and modulate them precisely to suit the way the car is being driven. 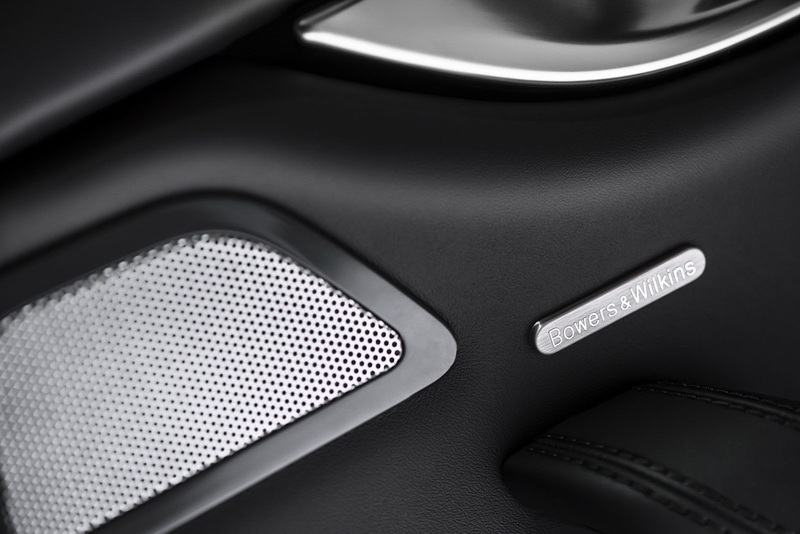 When the driver presses the Sport button on the central tunnel, the sound becomes even more resonant and utterly inspiring. The Ghibli is set to reveal a character all its own thanks to its combination of double-wishbone front suspension and a state-of-the-art, multi-link rear suspension with the option of the active Skyhook system, part-time all-wheel drive, firm suspension damping and a powerful braking system. 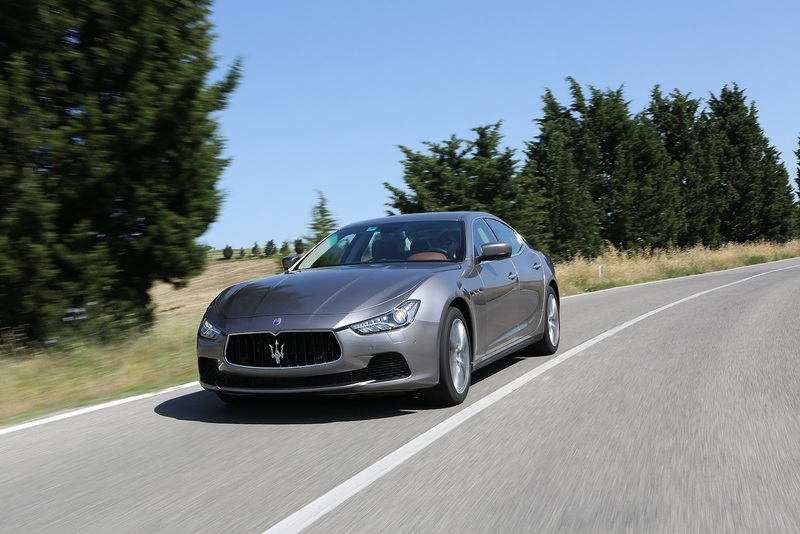 The Ghibli is the only car in its class to use a standard mechanical limited slip differential in all its versions in order to deliver the best inherent traction in all driving situations. 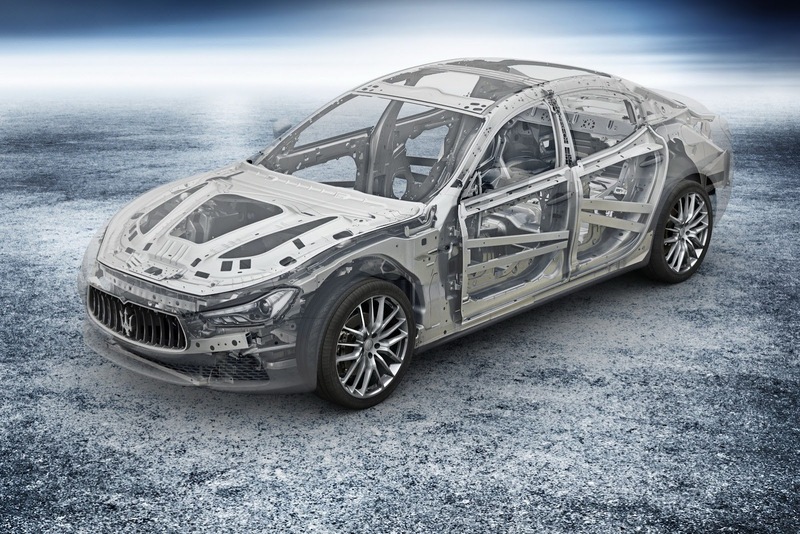 Like the Quattroporte, its chassis design is based around a rigid and extremely secure steel safety cell that employs an array of different steel and aluminium alloys to deliver precise strengths and minimal weight. 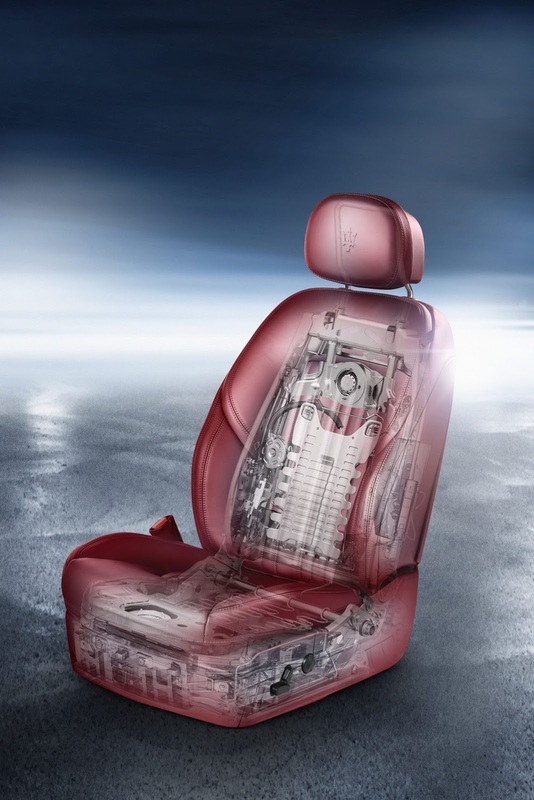 The front of its chassis is based around an aluminium casting with a reinforced cross-strut which helps deliver outstanding rigidity in all directions, while the rear of the chassis is made from rolled steel. 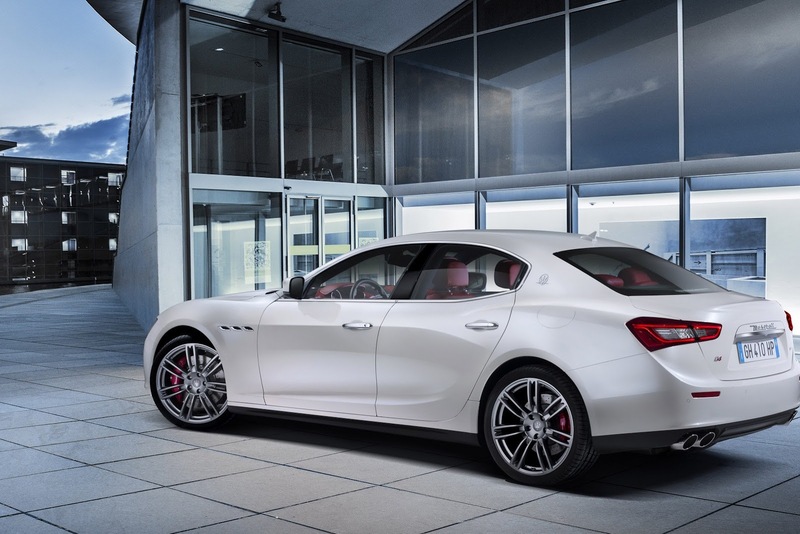 The Ghibli’s three ground-breaking engines will be fitted into a wheelbase that is around 20 cm shorter than the Quattroporte (2.99m) and an overall length that is, at 4.97m, 29cm shorter. 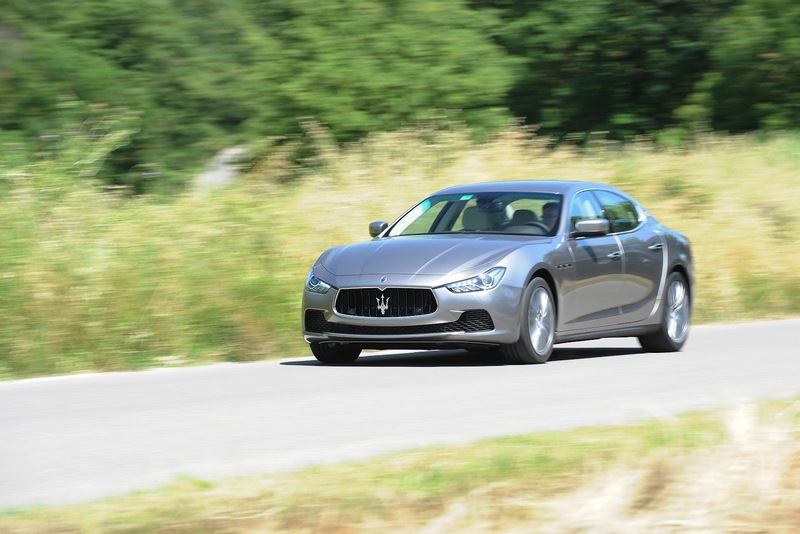 The Ghibli S will boast 360mm x 32mm ventilated and cross-drilled dual-cast front brake discs while it has 350mm x 28mm ventilated rear discs. 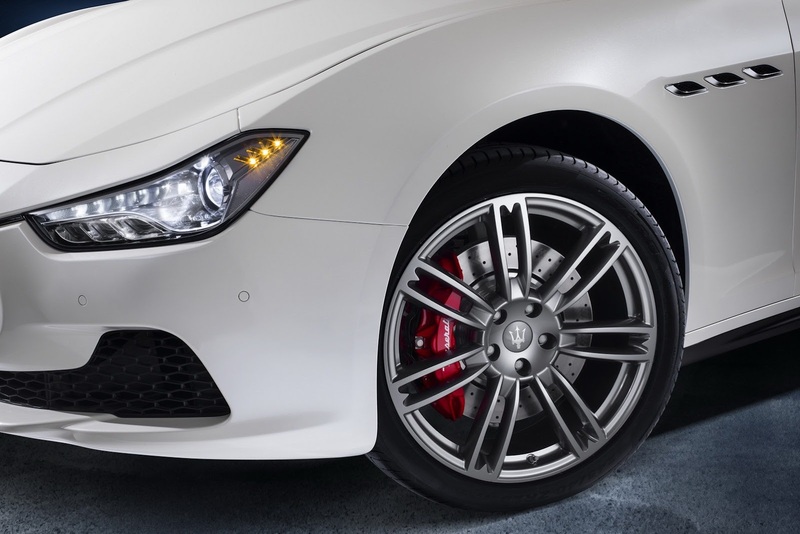 It uses six-piston Brembo fixed brake callipers on the front and four-piston units at the rear to help it stop from 100km/h to zero in just 36 m.The Ghibli sits on 18-inch wheels and tyres, while the Ghibli S models ride on 18-inch staggered tyres; 19-inch, 20-inch and 21-inch wheels are available as optional extras. 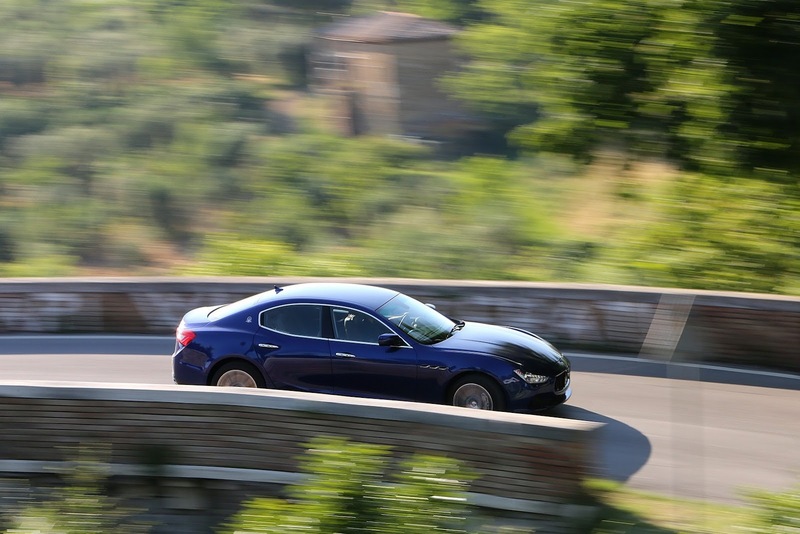 With the Q4 all-wheel drive system both Ghibli and Quattroporte are capable of finding traction on the slipperiest surfaces thanks to its state-of-the-art, on-demand engineering. 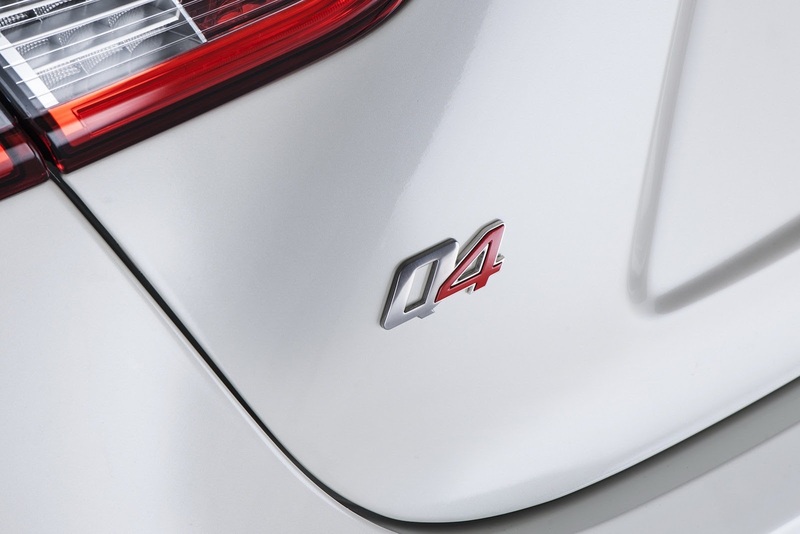 The Q4 system delivers the responsiveness of a rear-wheel drive combined with the added security that only an all-wheel drive can bring in critical situations, without creating extra fuel consumption. 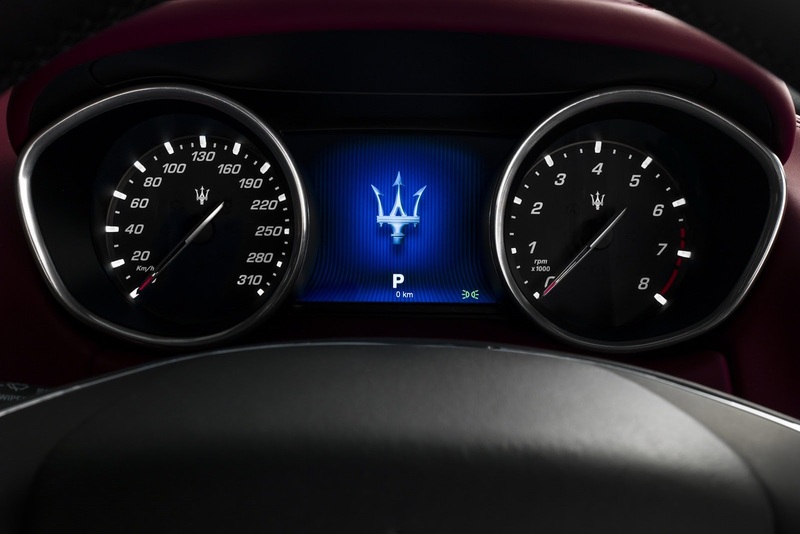 That is what Maserati has achieved with the Q4. 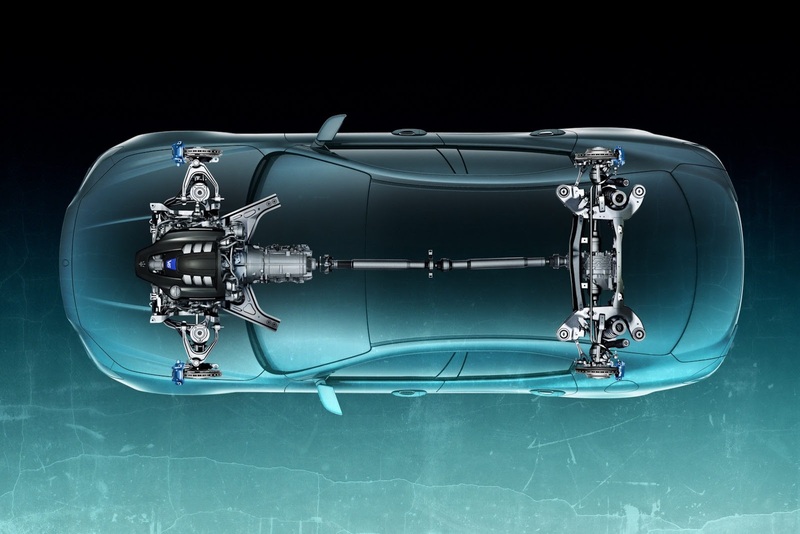 The system leaves the front wheels passive until they are needed to help with traction and then they are instantly and intelligently engaged. 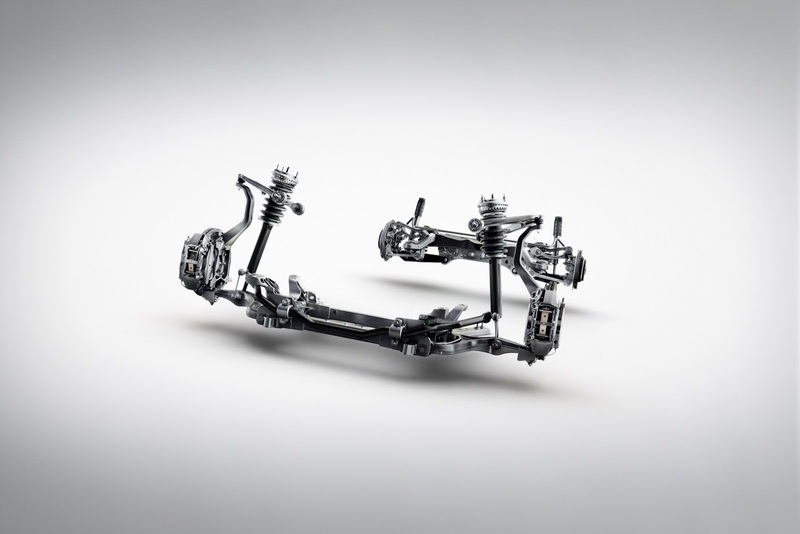 The system architecture is based on an electronically controlled multi-plate wet clutch, installed into a transfer case linked by a drive shaft to the front axle. When grip is lost through excessive cornering speeds, hard acceleration or very low grip at the rear axle, the system takes just 150 milliseconds to change from delivering 100 percent of the drive to the rear wheels to an equal, 50%-50% split between the axles. 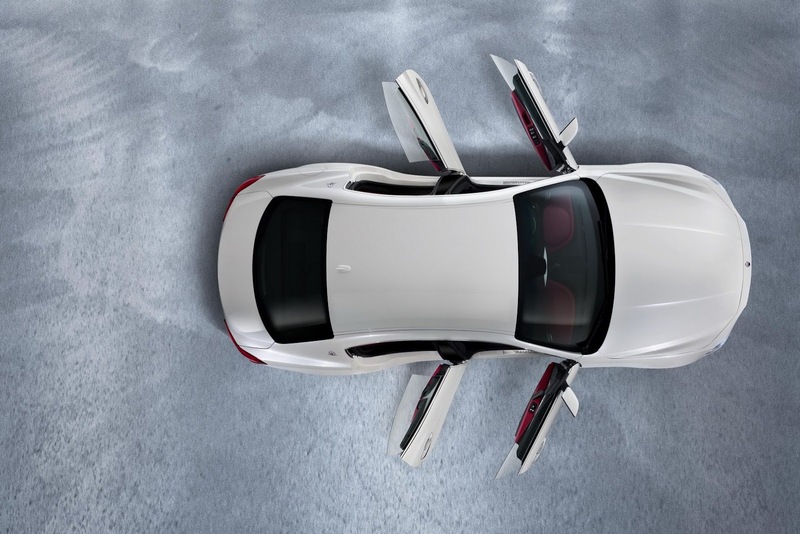 The multi-link rear suspension provides so much rear traction, though, that the Q4 rarely needs to send more than 35 percent of the drive to the front wheels. 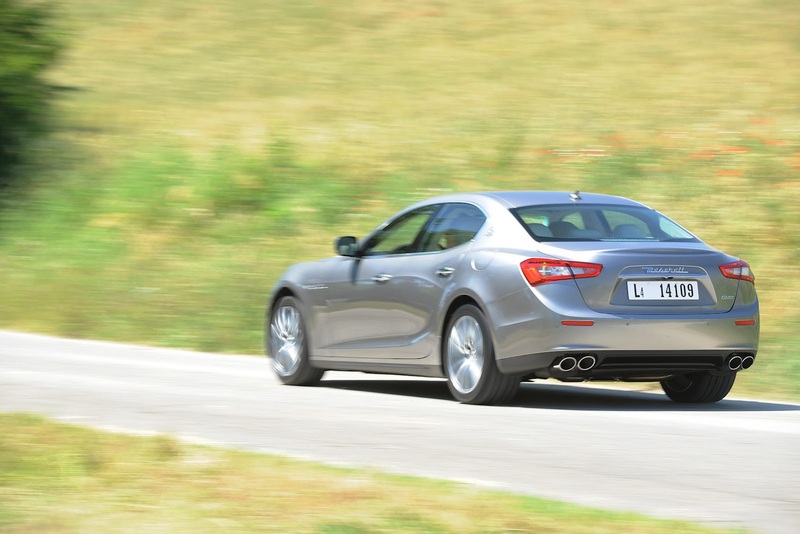 It is also capable of returning to rear-drive status just as quickly, ensuring at any time the best possible traction without the traditional all-wheel drive penalties of added fuel consumption and poor responsiveness. 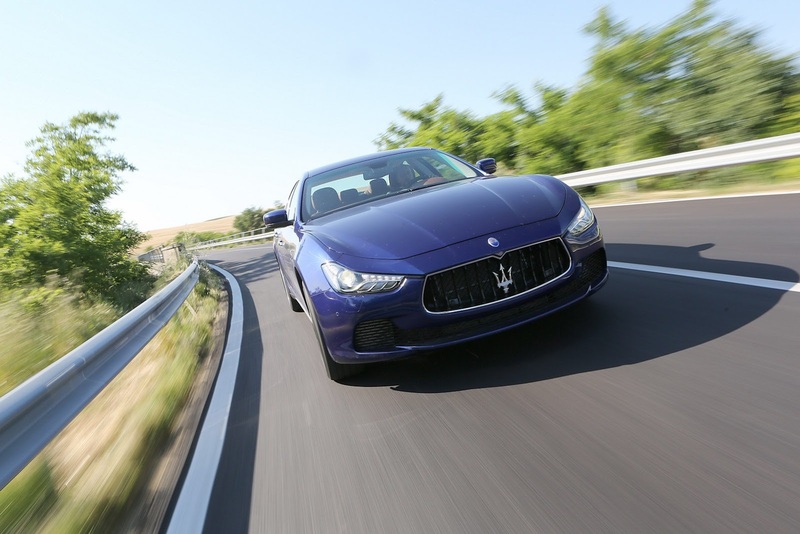 Maserati developed its own sophisticated algorithm to oversee in real time an enormous array of vehicle parameters (such as wheel slip, steering and yaw angle, power output, speed, braking action, ESP) as well as wheel grip versus driving style. 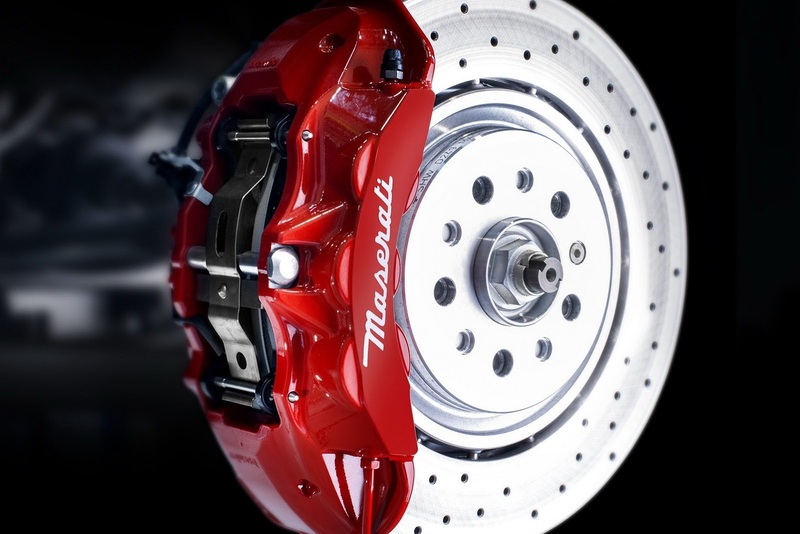 By processing this data, the Q4 system can maximise a dedicated grip profile for each wheel, creating the optimal vehicle dynamic management to suit any given road condition, at any time. 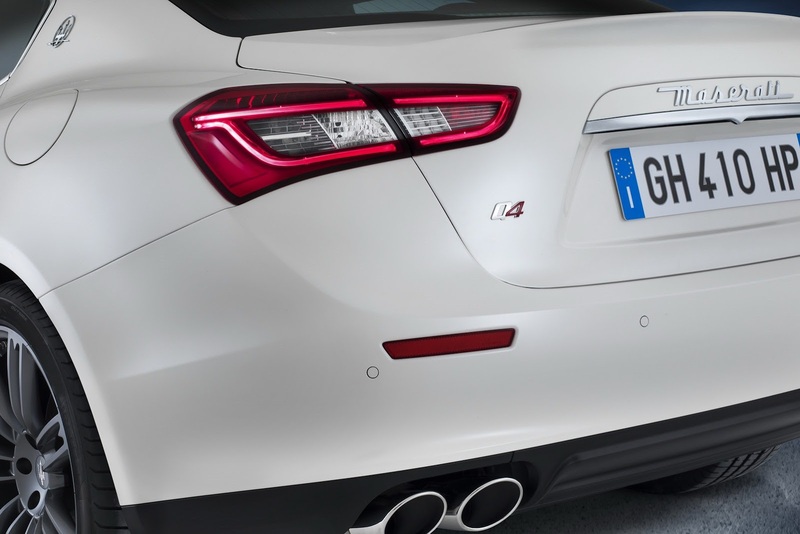 The Maserati Q4 all-wheel-drive system is available with the new V6 410hp engine and perfectly matches the grand touring qualities expected of a high performance Maserati saloon, whatever the road conditions. 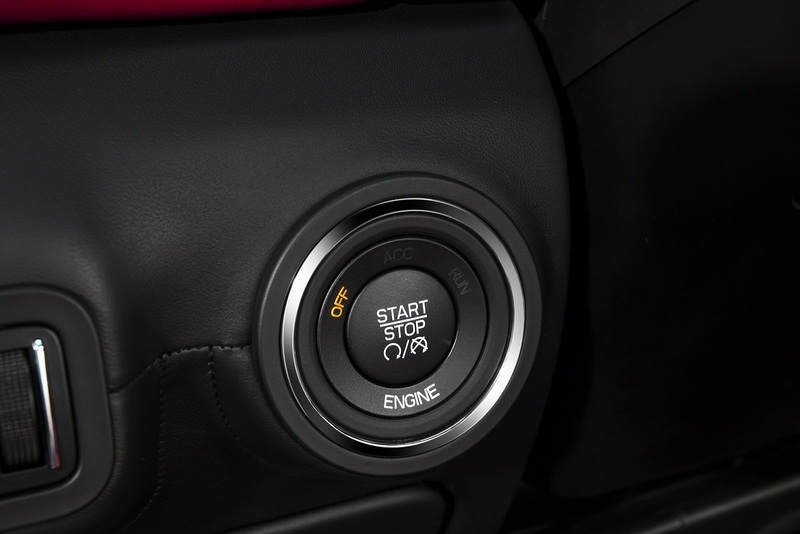 Please note that the Q4 all-wheel-drive system won’t be available on RHD models. 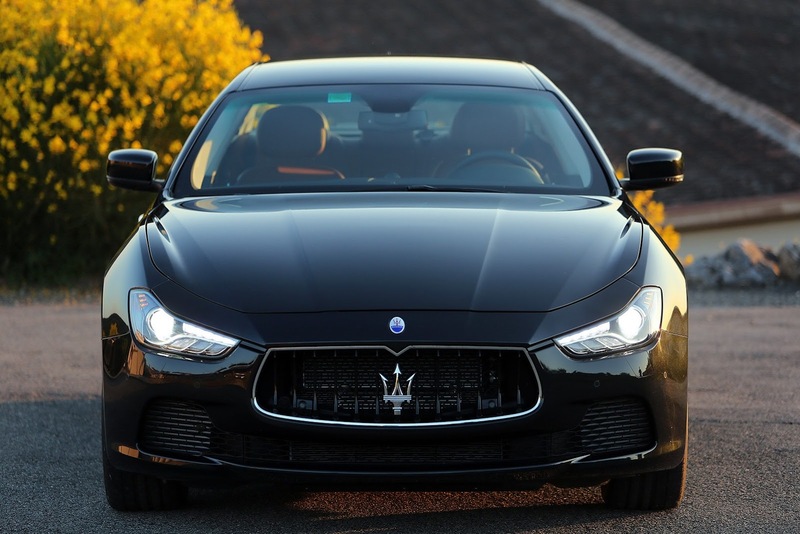 While the flagship of the Maserati product range became larger, lighter, more luxurious and more practical with the new Quattroporte model late last year, Maserati always planned to offer more variety and a wider price range. 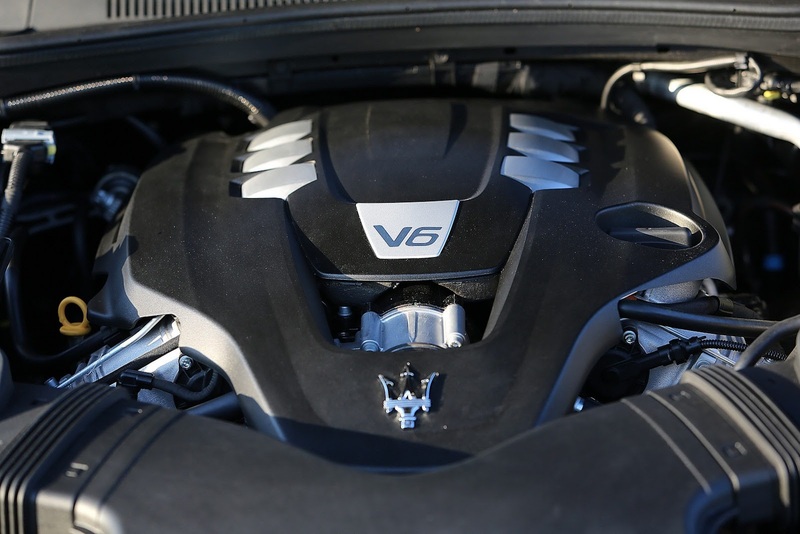 While the 3.8-litre V8 twin-turbo powerhouse will remain as the Quattroporte flagship, Maserati is about to supplement it with a 3.0-litre, 330 HP V6 twin-turbo engine variant. 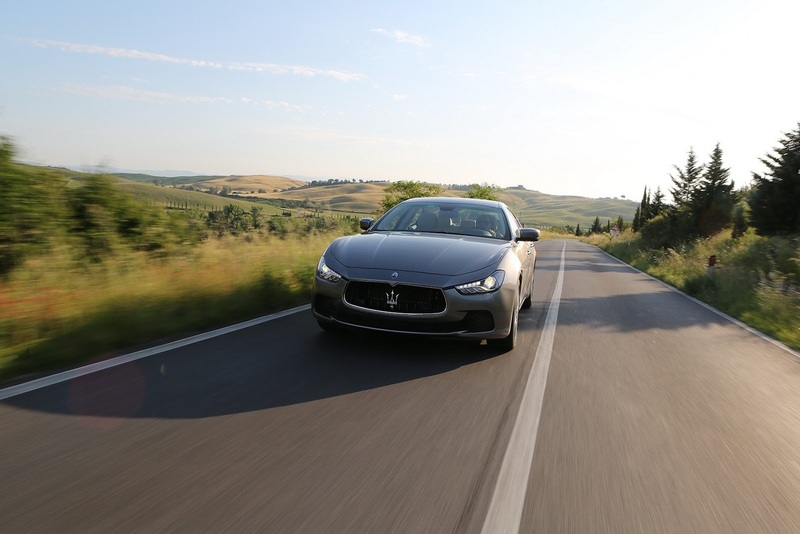 With 500Nm of torque arriving as early as 1750rpm, the new Quattroporte V6 will accelerate to 100km/h in less than six seconds and will deliver an NEDC combined fuel consumption of 9.8 litres/100km (28.8 mpg), creating the most efficient Quattroporte in history. 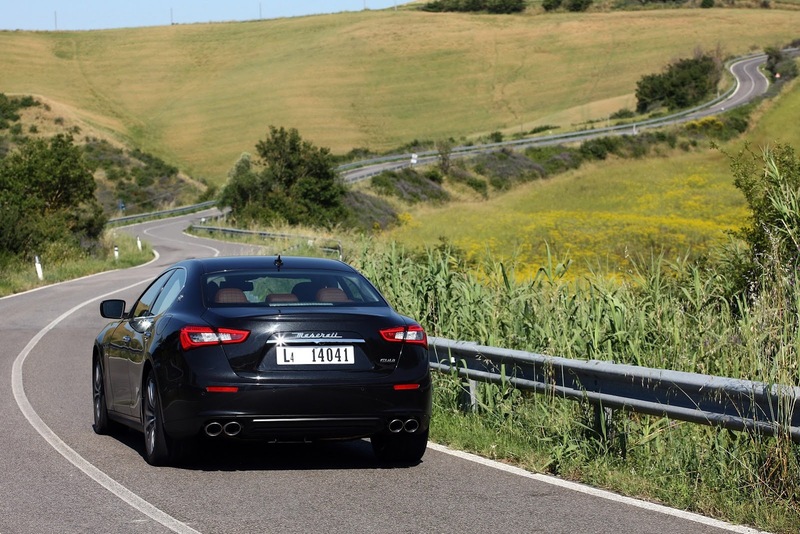 Confirming its best-in-class performance, the Quattroporte V6’s lighter V6 engine and rear-wheel drive configuration help it to top out at 263km/h (163 mph). 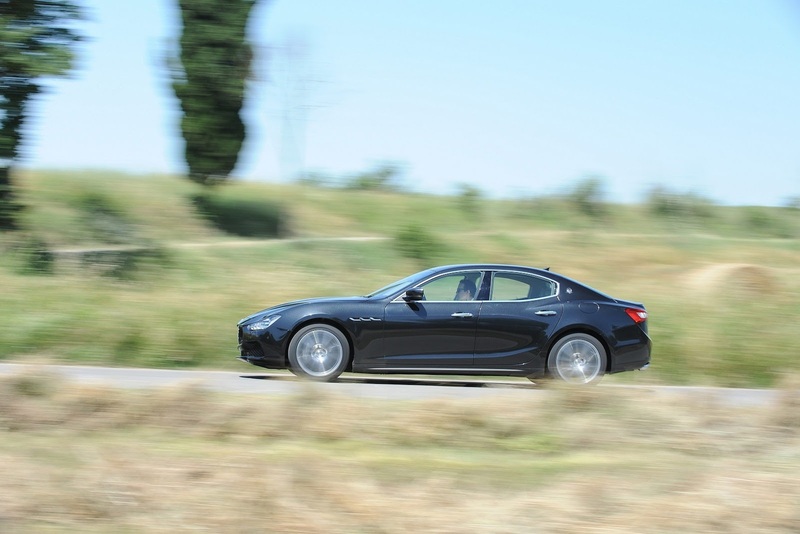 Based on the architecture of the Ghibli V6 twin turbo, the Quattroporte’s 3.0-litre V6 generates 243 kW of power in a flat plateau between 1750rpm and 4500rpm. 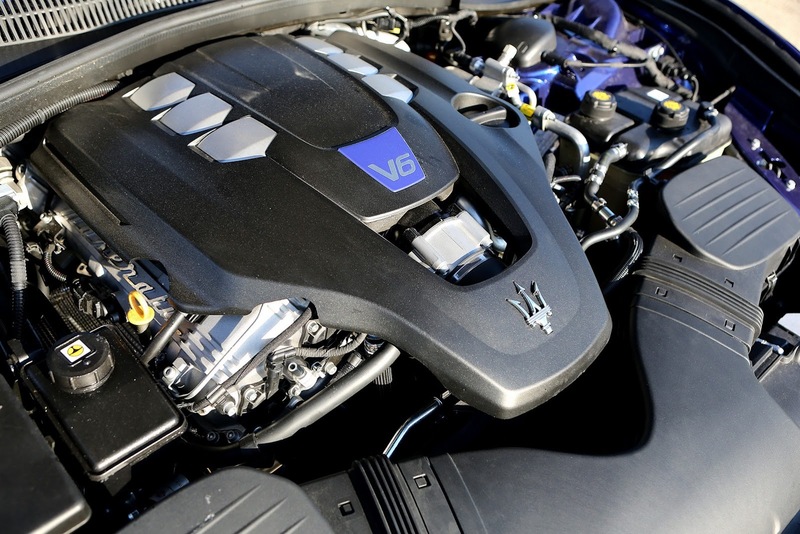 The engine was developed alongside the V8 by Maserati Powertrain and Ferrari Powertrain engineers. 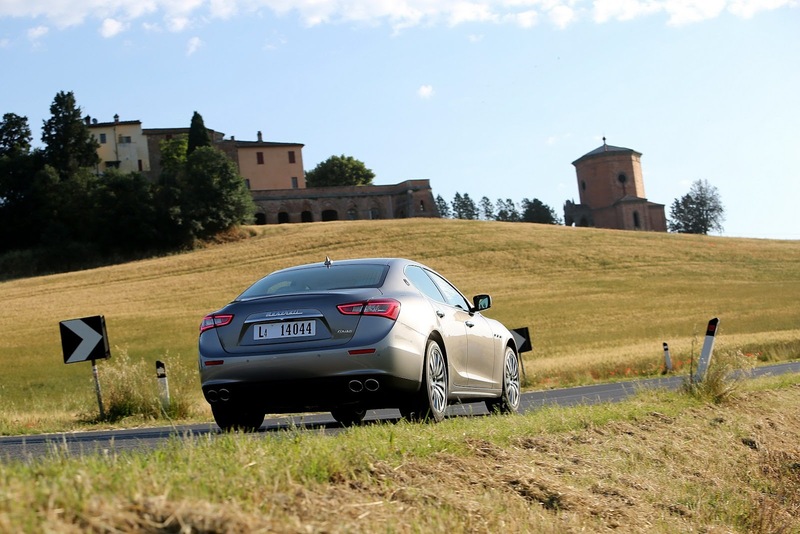 It is notable for its tremendous specific torque figure of 167Nm/l and provides enough energy to accelerate the Quattroporte to 100km/h in just 5.6s. 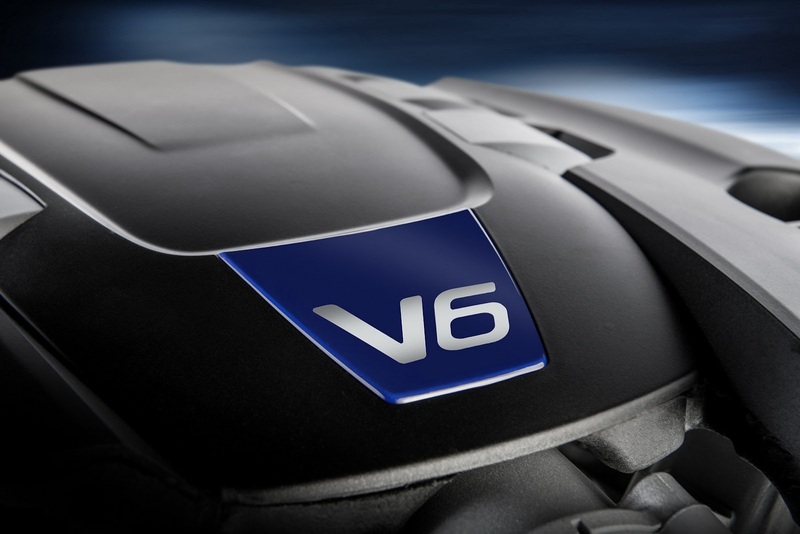 The engine shares the V8’s bore dimensions, the same variable valve technology, the same engine block technology and almost the same manifold technology, though it has its own specific turbocharging and ECU tuning. 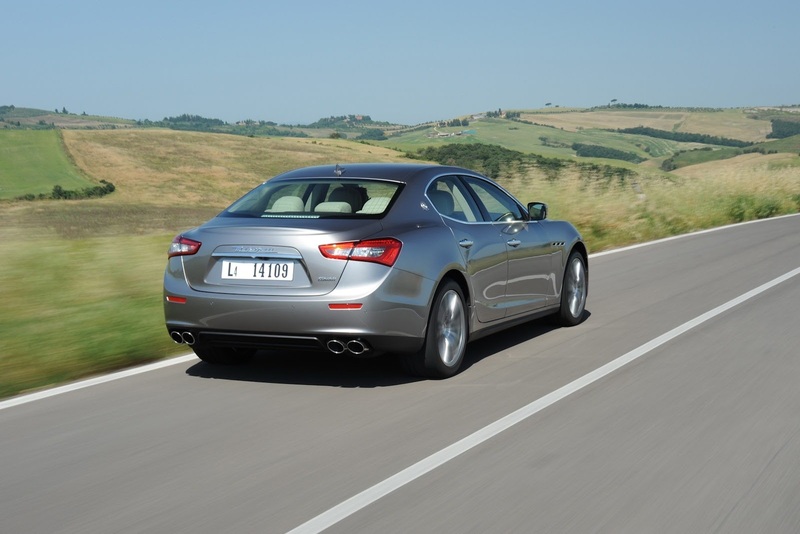 As with the V8, the 3.0-litre V6 is attached to an eight-speed automatic transmission that delivers increased comfort, faster gear shifting, reduced fuel consumption and reduced NVH compared to the previous Quattroporte. By delivering two over-driven gears, the transmission alone delivers a six percent fuel economy benefit and also weighs 6kg less than the outgoing six-speed transmission. 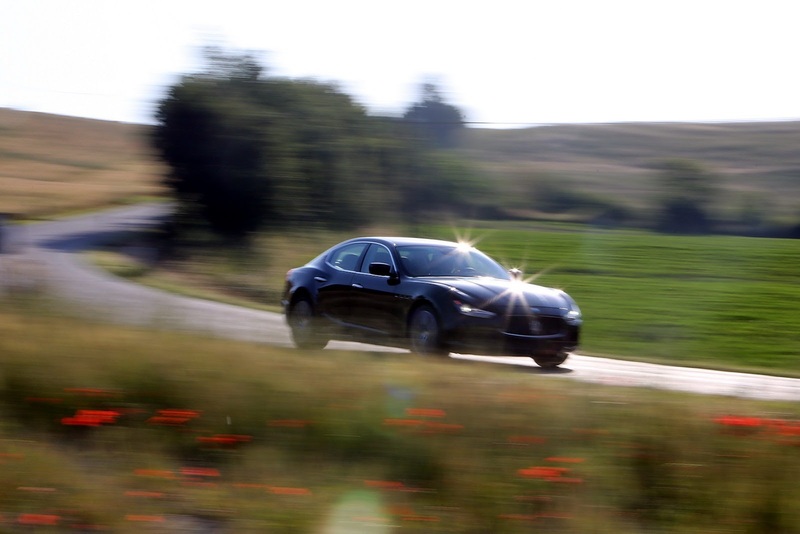 This helps to post efficient fuel consumptions, though the rear-wheel drive car claims 228 grams of CO2/km in the combined cycle. 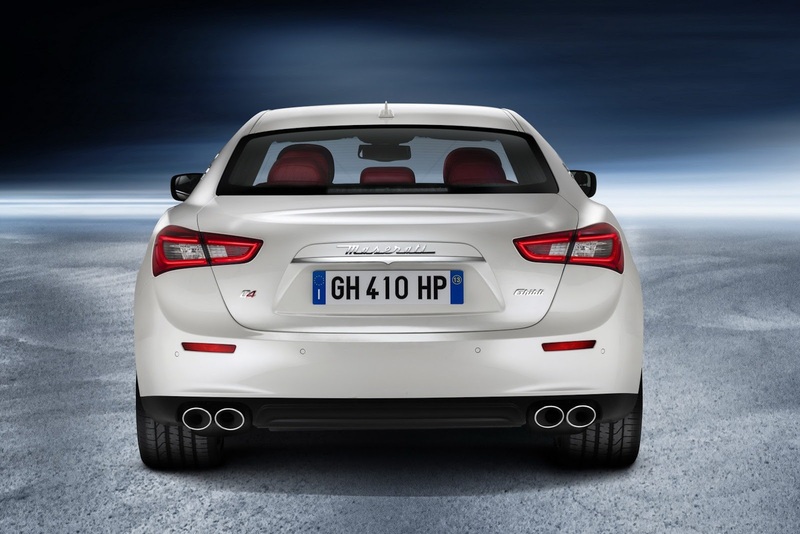 It is also a lighter car than the V8 twin-turbo, weighing 1860kg in its rear-wheel drive configuration. 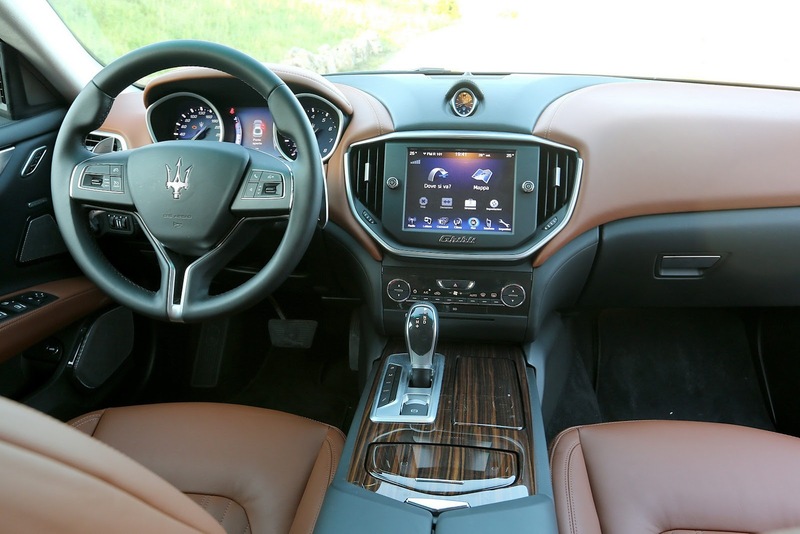 As befitting Maserati tradition, it is capable of being driven in five dedicated shift modes: Auto Normal, Auto Sport, Manual Normal, Manual Sport and the I.C.E. 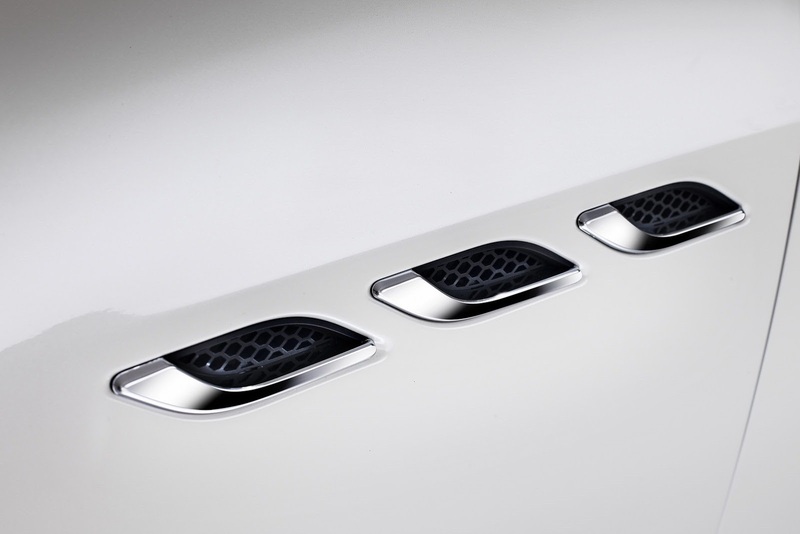 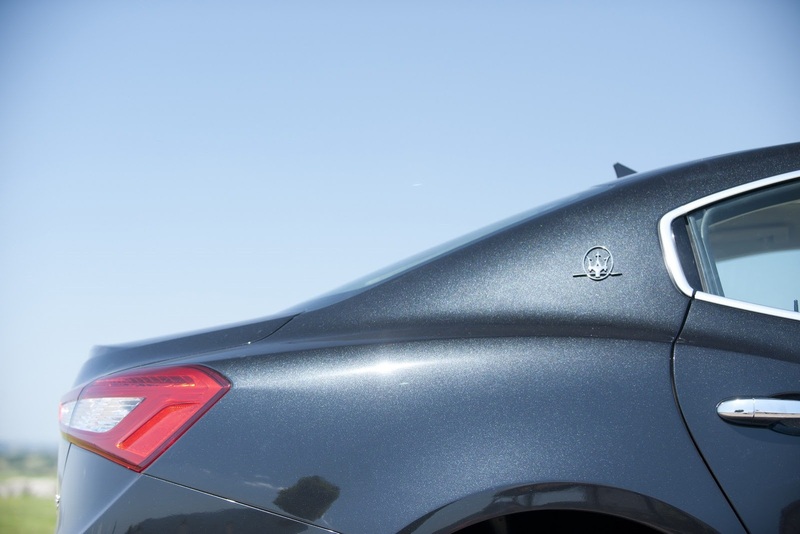 mode (Increased Control & Efficiency), a strategy that activates a series of functions aimed at reducing consumption, emissions and noise in all driving conditions by damping the car's response also when driving on low grip surfaces. 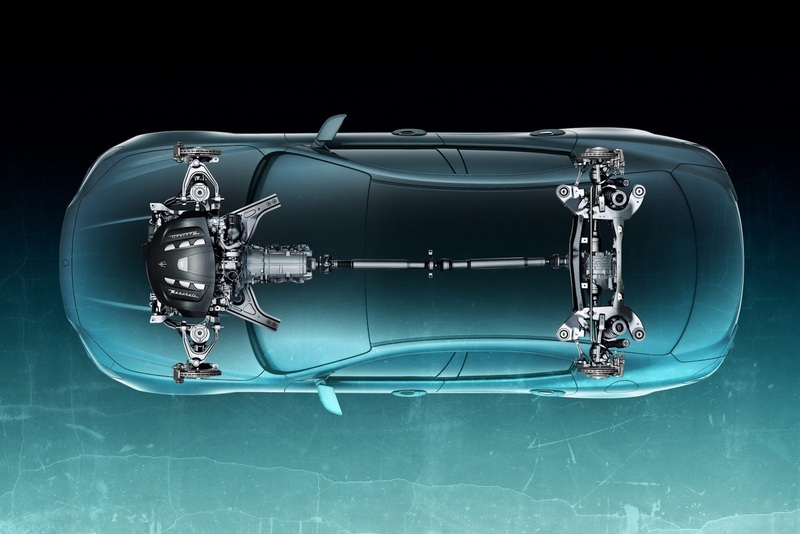 All Quattroportes have a limited-slip differential fitted as standard, with 35% of torque in traction and 45% in release. 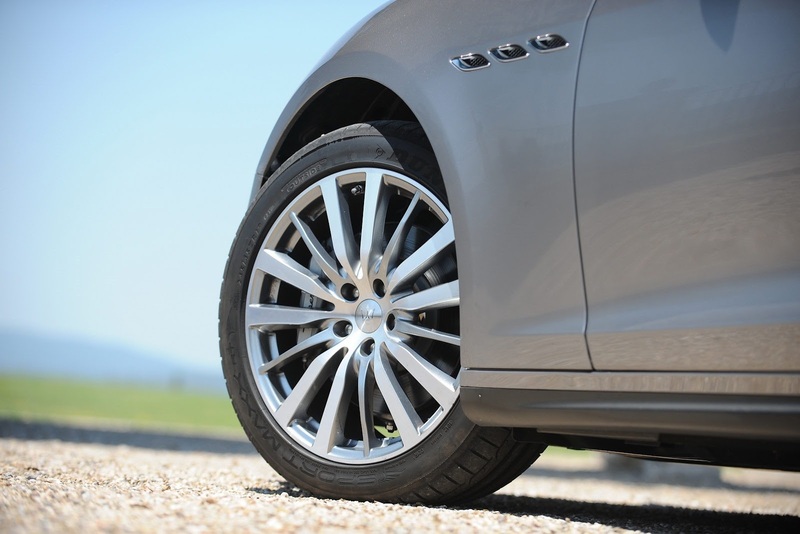 The all-new architecture retains the Quattroporte’s traditionally exquisite handling thanks to its 50:50 weight distribution, a double-wishbone front suspension and a state-of-the-art five-link rear suspension, equipped on both axles with Skyhook system (electronically controlled suspensions). 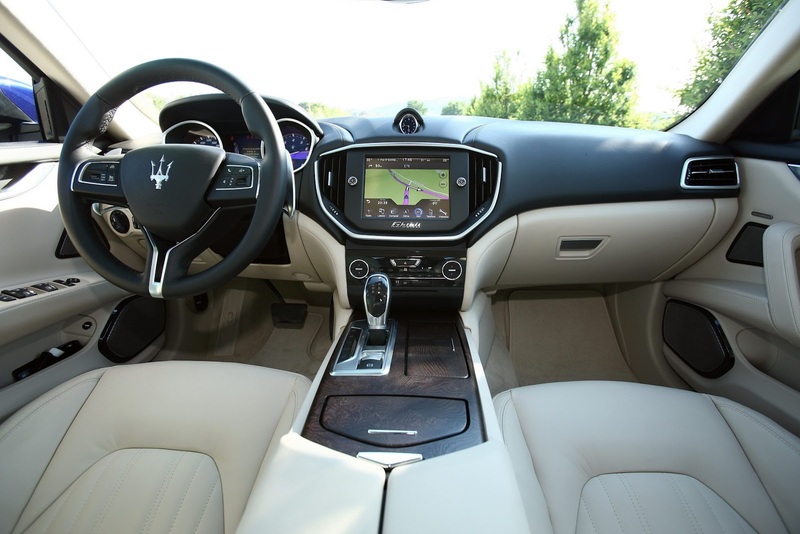 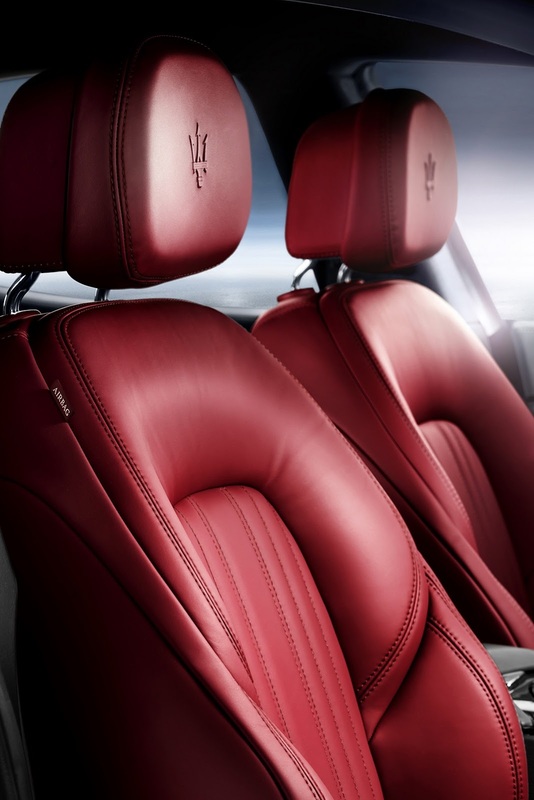 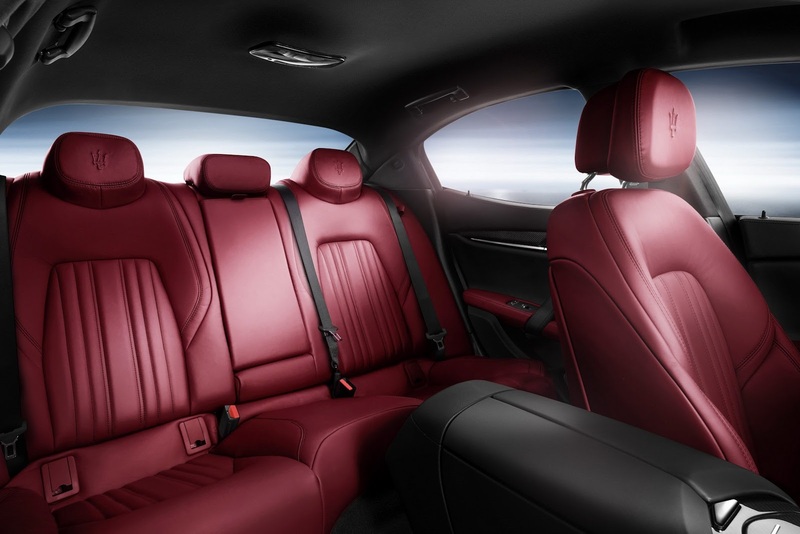 With the longest wheelbase in the class at its core, the Quattroporte’s architecture lends itself both to extreme interior comfort and an exciting handling performance, maintaining in each detail the expected luxury mood. 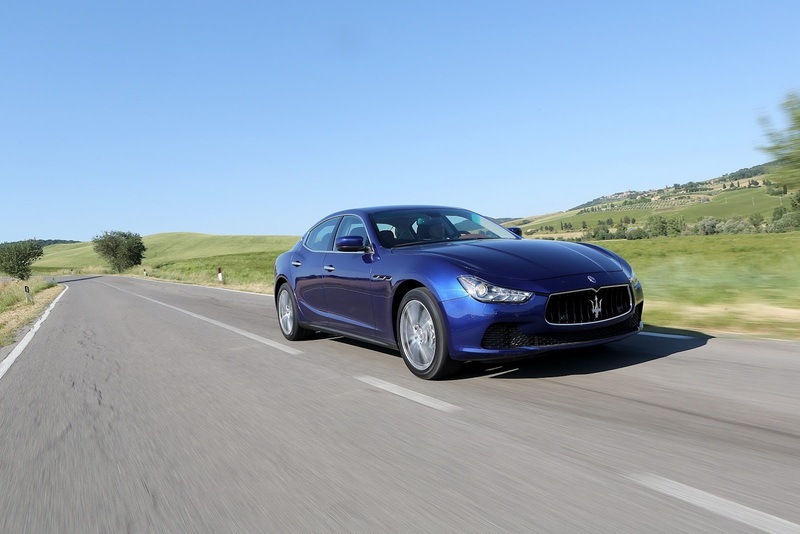 In 2012, Maserati shipped a total of 6,288 cars, a 2% increase over 2011. 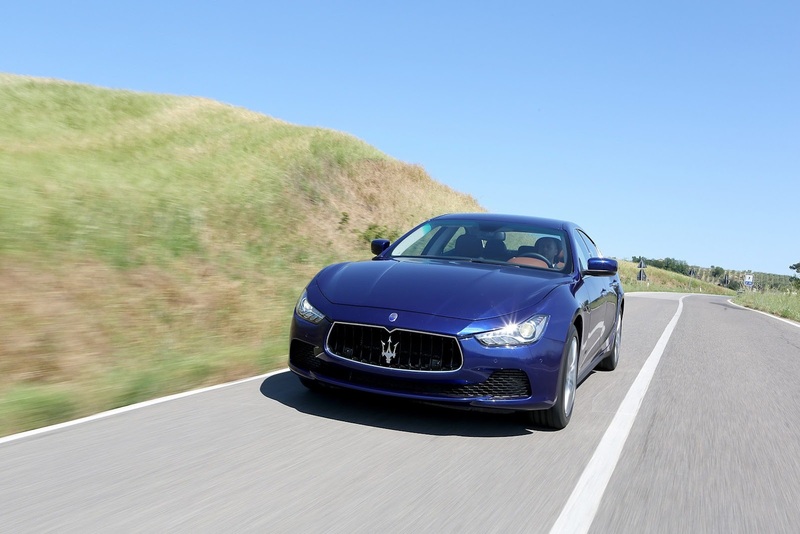 In the U.S., shipments totalled 2,904 vehicles, representing the brand’s best volume performance in 8 years and confirming the U.S. as the brand’s number one market. 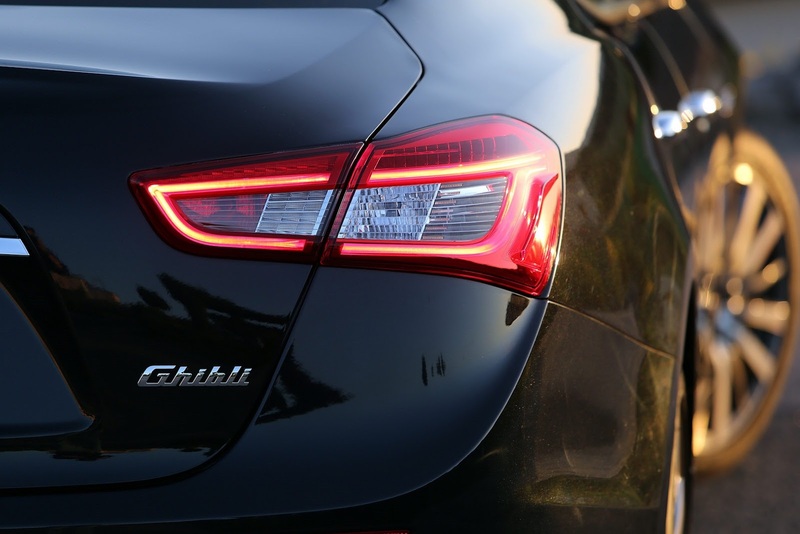 For the second year, China ranked as the brand’s second largest market with shipments increasing more than 10% over the prior year to 930 vehicles. 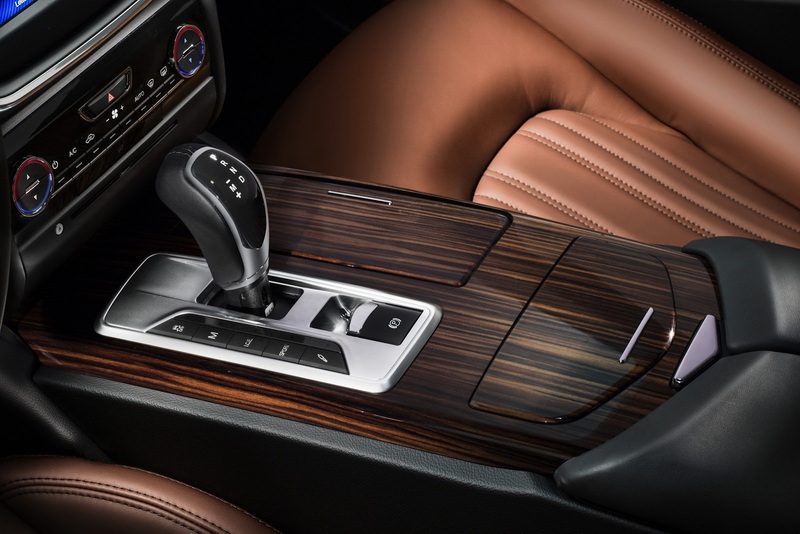 Excluding China, shipments in the Asia Pacific region were up 21% to 861 units. 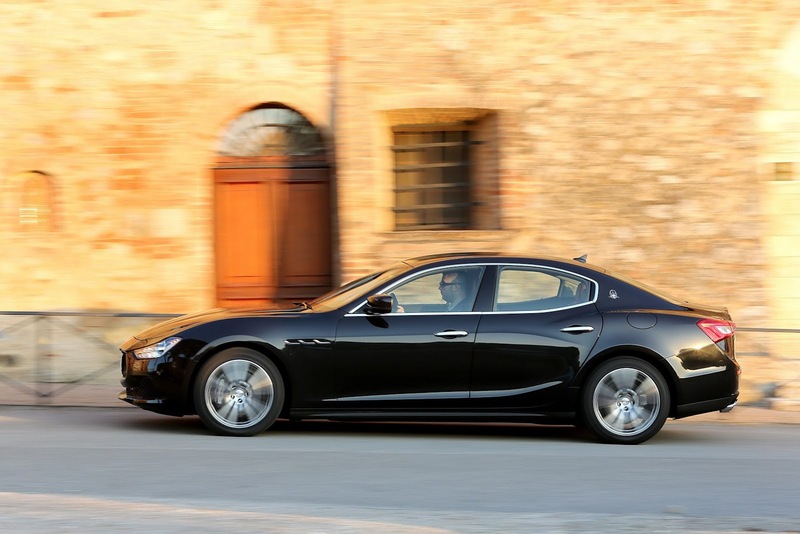 The Middle East registered the highest percentage increase, with shipments up 37% to 417 vehicles (304 in 2011). 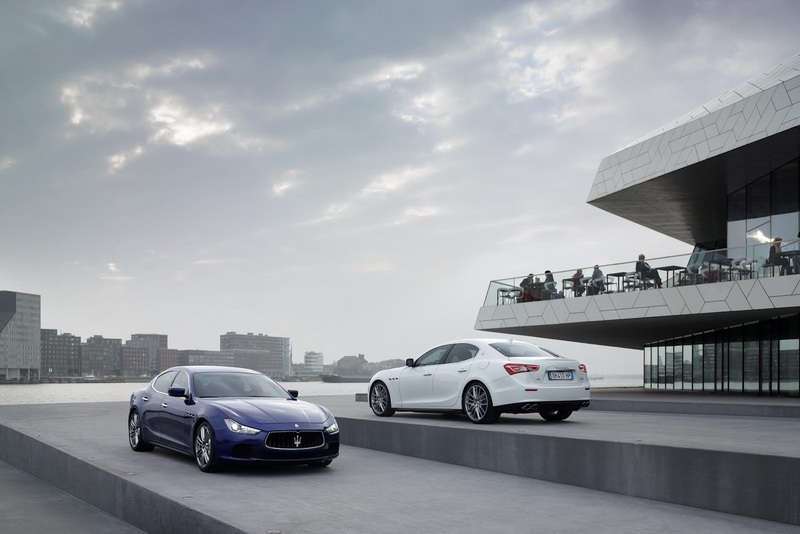 Revenues totalled €634 million for the year, up 8% over 2011 primarily due to higher sales volumes. 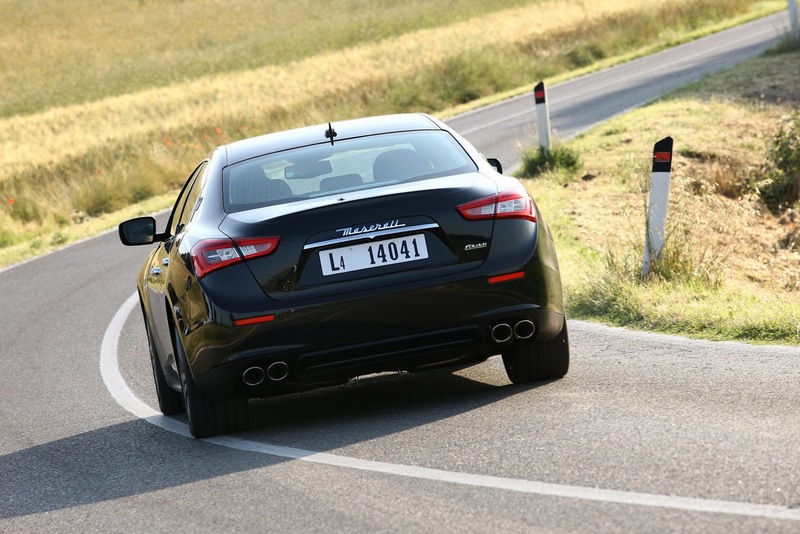 Maserati closed the year with trading profit and EBIT of €42 million (trading margin: 6.6%), in line with results for 2011. 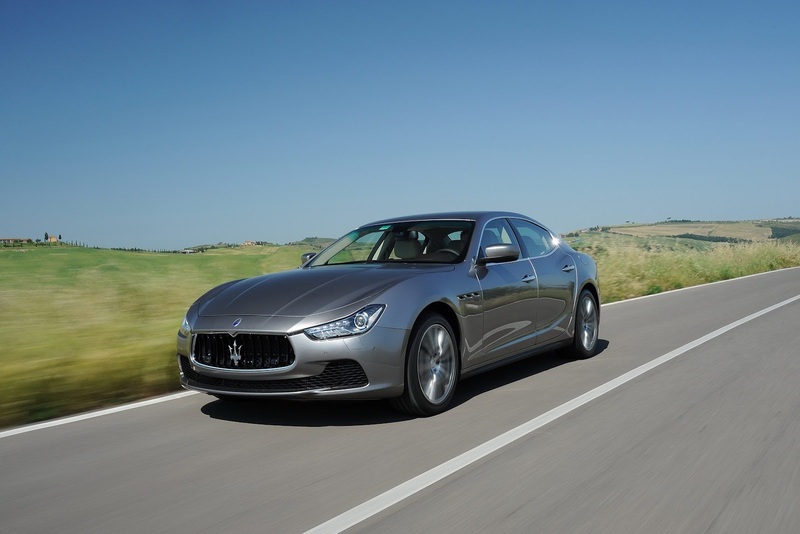 The positive impact of higher volumes and continued improvements in operating costs were offset by significant costs incurred during the year in connection with the production start-up of new models in 2013. 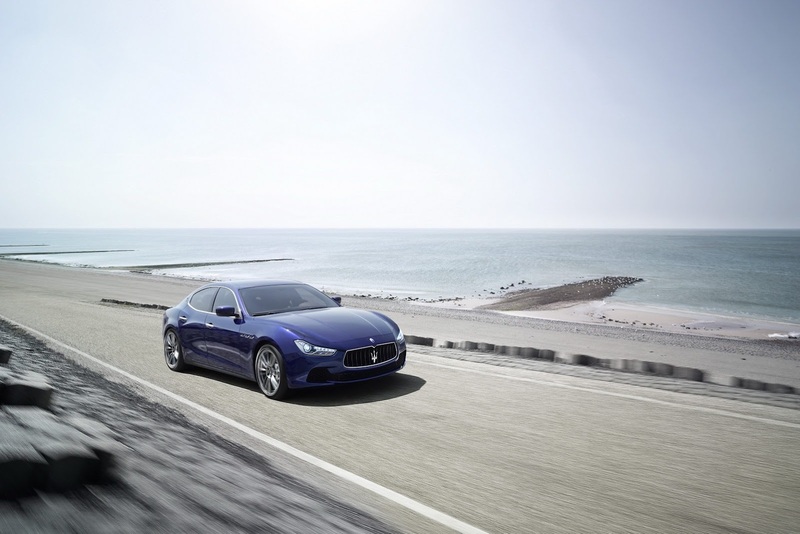 The fourth season of the Trofeo Maserati is around the corner, the second to boast a global character, thanks to an increasingly international calendar that includes six rounds in three different continents: Europe, America and Asia. 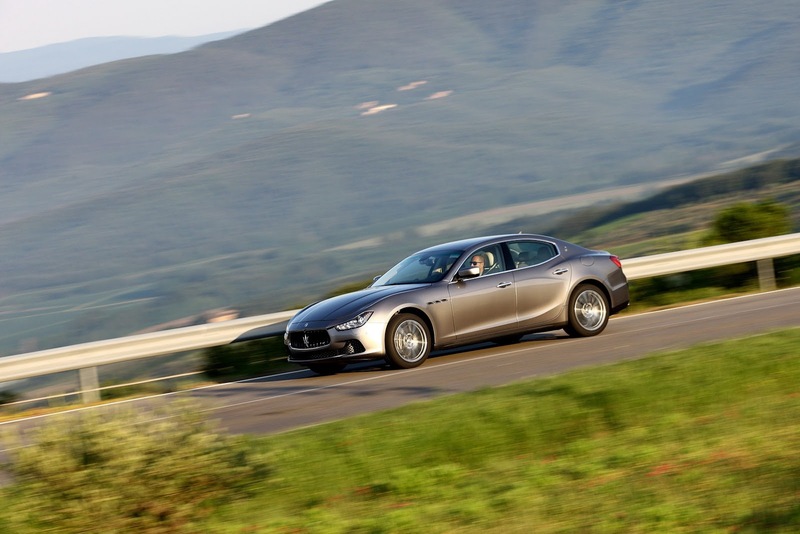 The début is set for the Paul Ricard circuit in France on 28 April with a prologue dedicated to the tests held at the Misano track in Italy on 13 and 14 April. 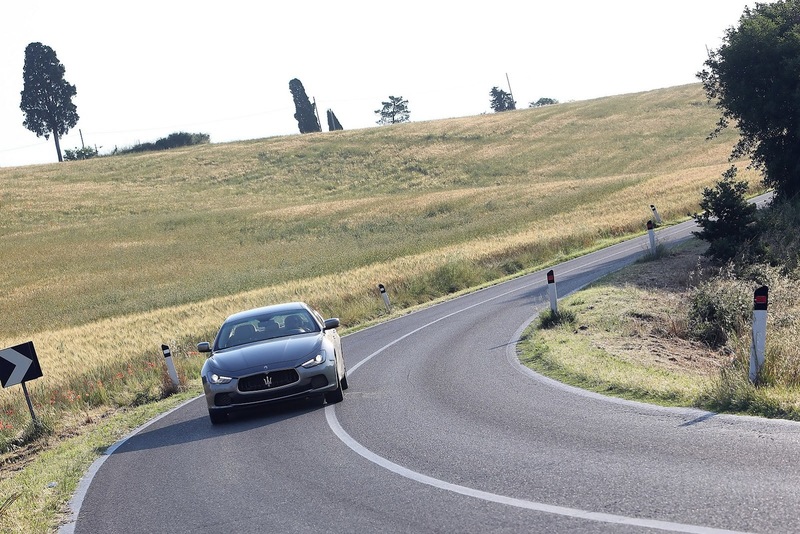 The legendary Nürburgring in Germany will take its turn on 2 June, while the first part of the season will conclude at Silverstone in England on 14 July and the first title will be awarded: the Trofeo Europa, last year earned by the Belgian Renaud Kuppens, who went on to win in the final ranking as well. 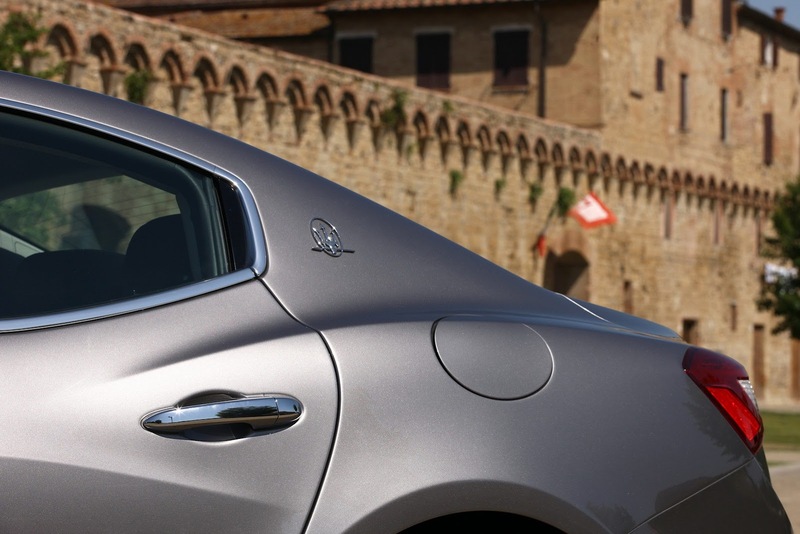 The fourth round will open the competition to circuits beyond Europe. 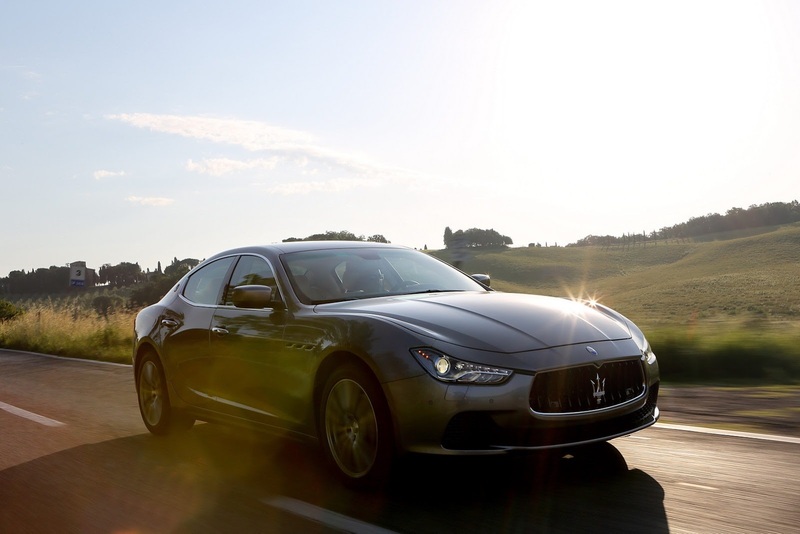 It will begin on 8 September in Sonoma in California, near San Francisco. 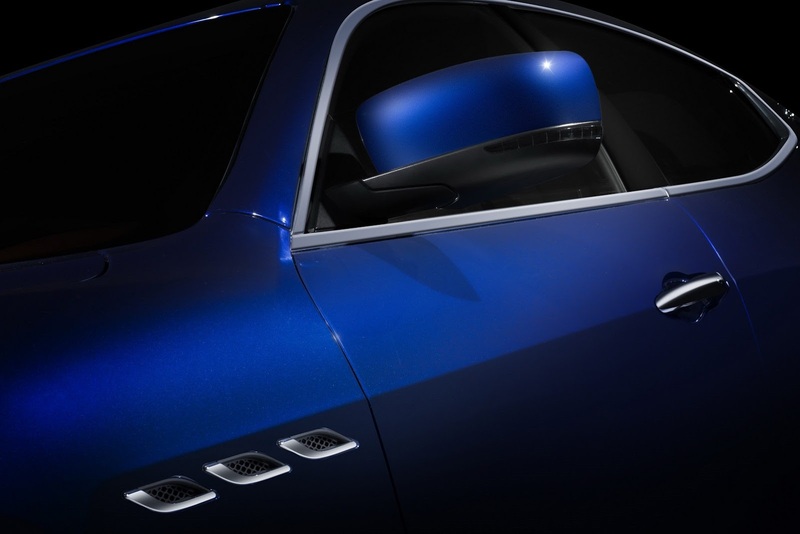 In 2012, this date represented Maserati’s return to racing in America, after the triumphs of the past. 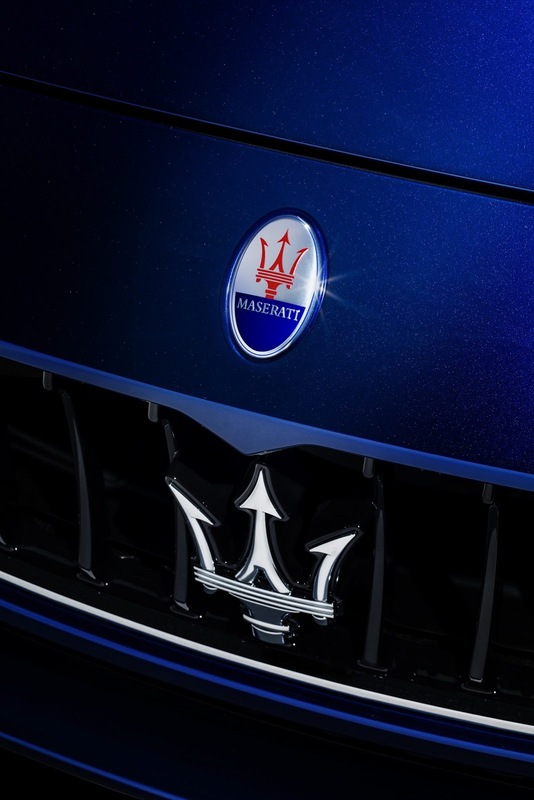 It will then be Asia’s turn, on 27 October, in Shanghai, China, which hosted the grand finale of the Trofeo Maserati last year. 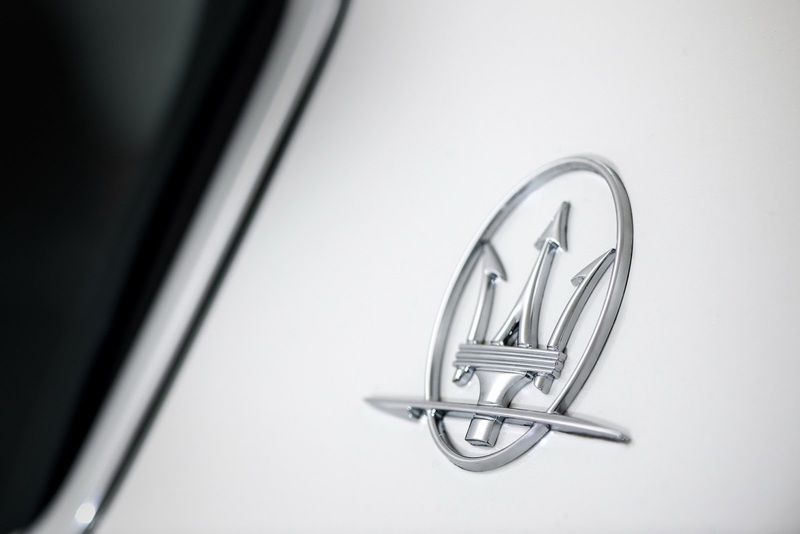 The 2013 title, on the other hand, will be awarded at the Abu Dhabi circuit in the United Arab Emirates, concluding the season on 7 December. 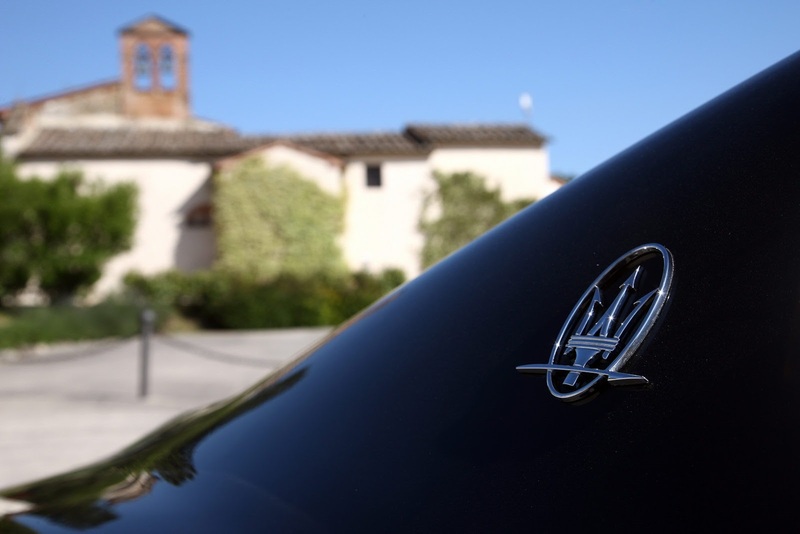 In fact, the Middle East has already hosted the Trofeo, thanks to the winter championship: the Maserati Trofeo JBF Rak, held from 2011 to 2012. 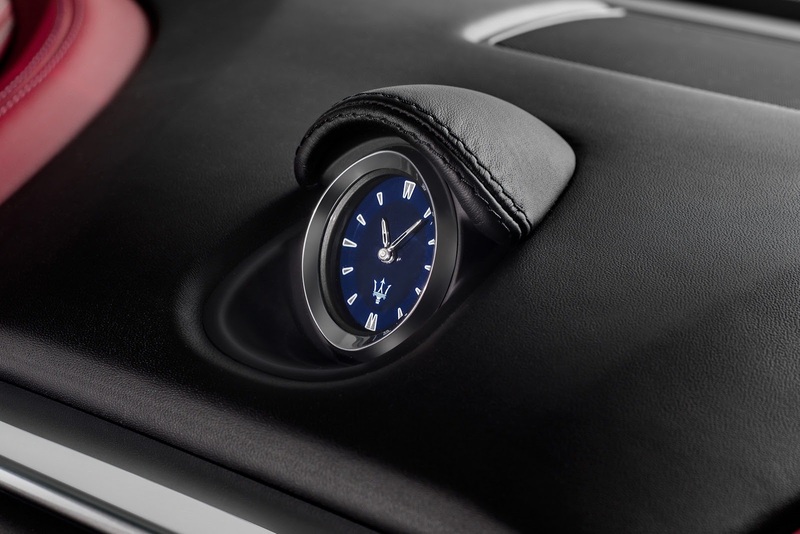 Timed to coincide with the release of its first official images, the mini-site dedicated to the new, top-of-the-range Maserati saloon has made its web debut. 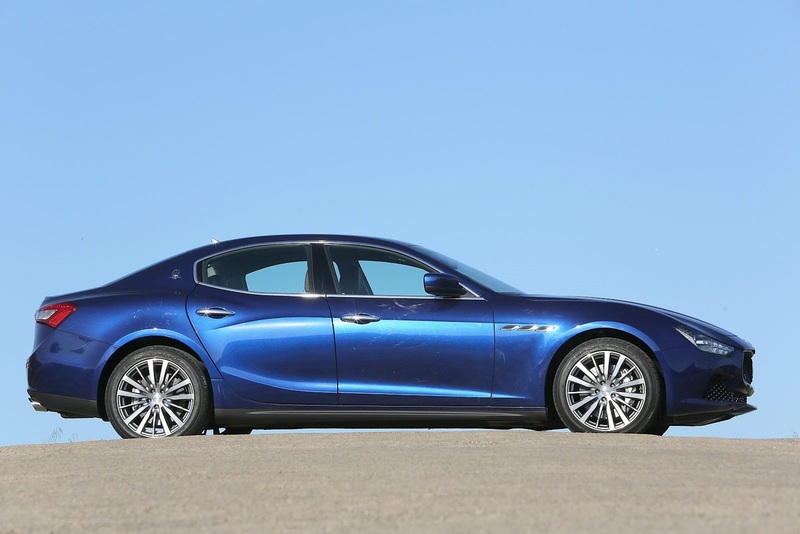 This latest web special differs from recent mini-sites with its eye-catching cityscape theme that accentuates the car’s overall presentation. 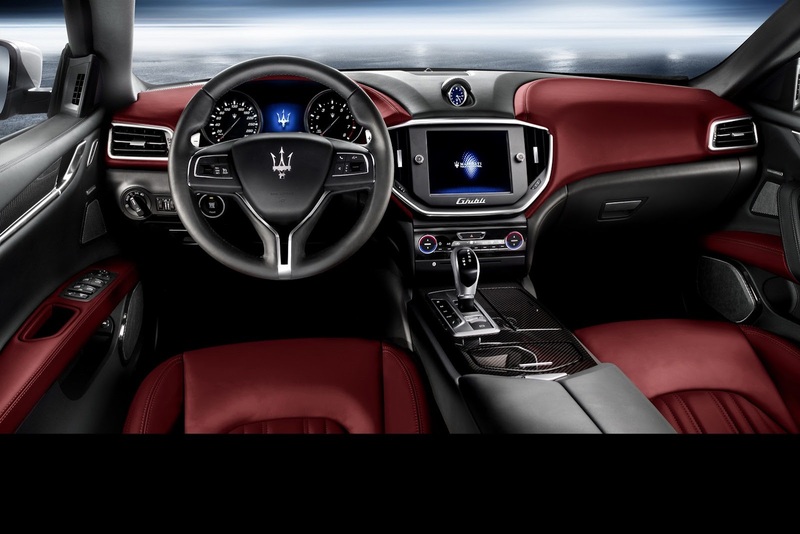 The vertical scroll makes the site a pleasure to use on any type of device and presents the content intuitively and engagingly. 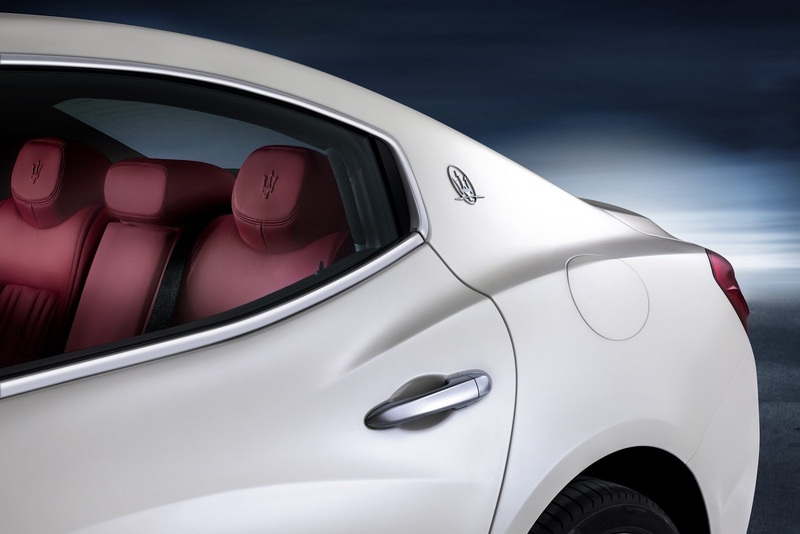 Registering to the site will enable users to download exclusive content from the reserved area and stay up-to-date with all the news on Maserati’s top-drawer saloon. 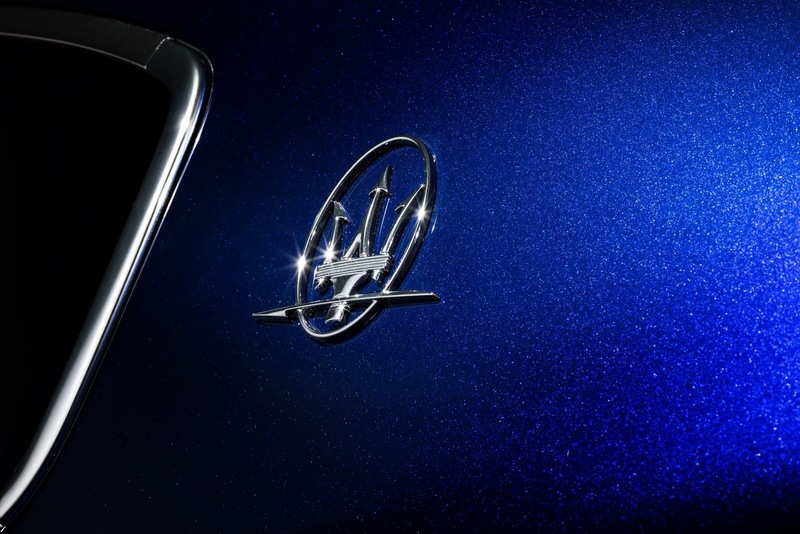 The mini-site can be accessed from any kind of device by using the special mobile version; over the coming months the web special, found atwww.ghibli.maserati.com, will be added to with new content focused on Maserati’s latest creation. 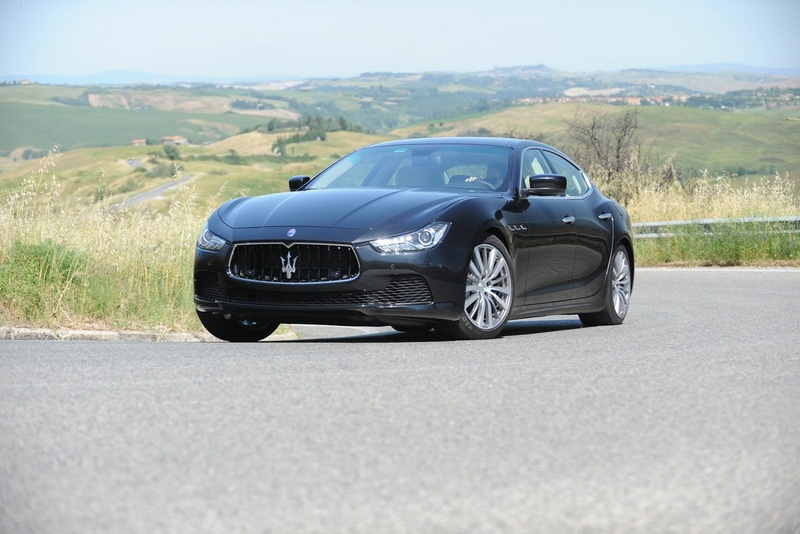 A volerle proprio trovare un difetto non mi piace granché il cofano posteriore. 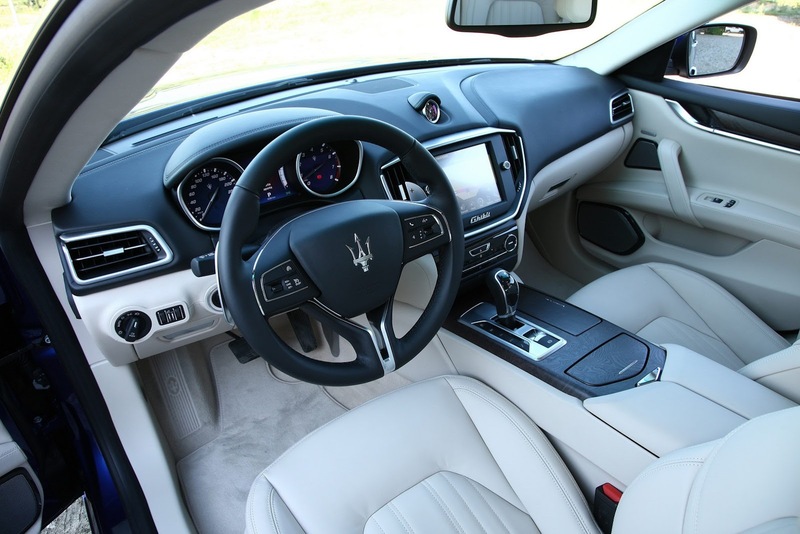 Ma quel muso.. Anche gli interni mi piacciono molto! 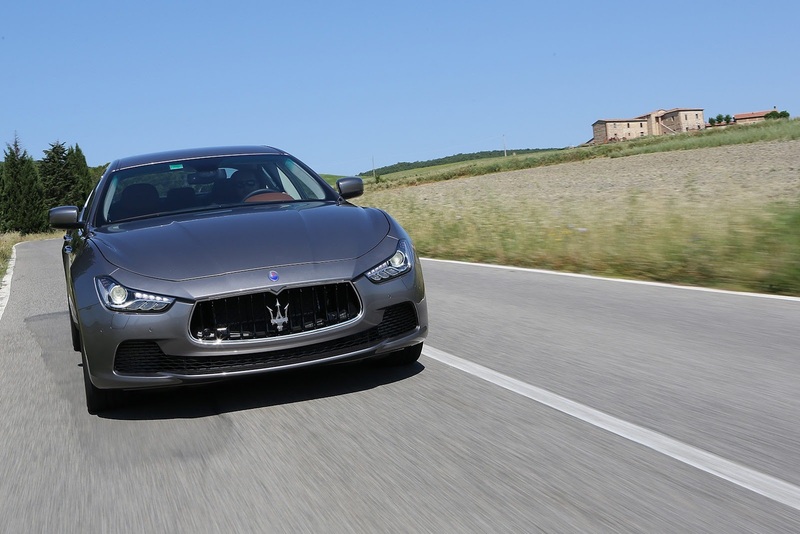 Questa potrebbe davvero fare successo! 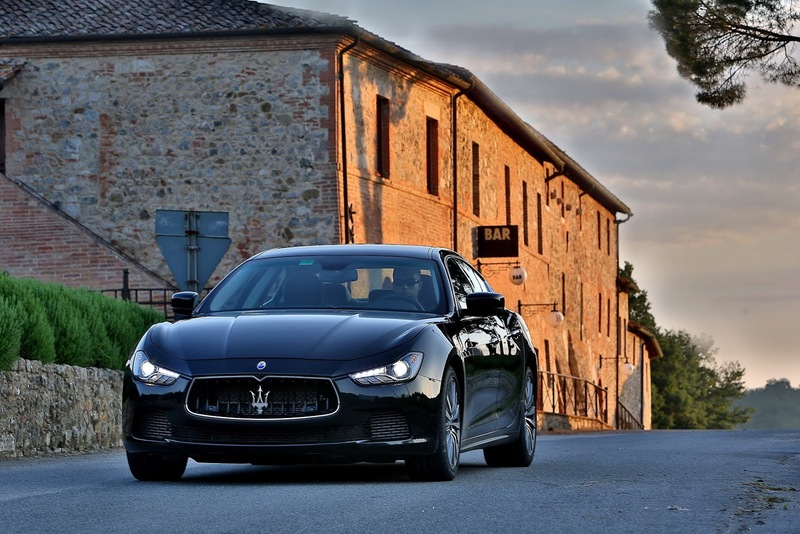 Peccato per il posteriore un po' anonimo perché per il resto é bellissima. 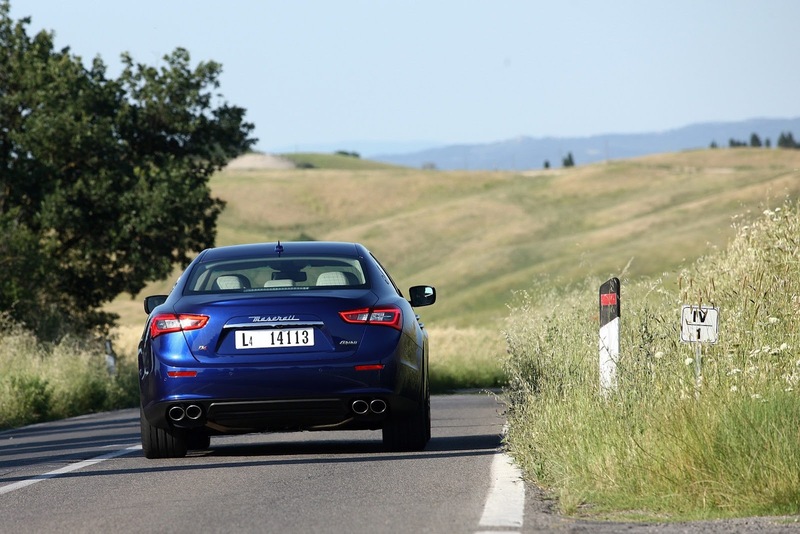 Il frontale poi é da sbavo. 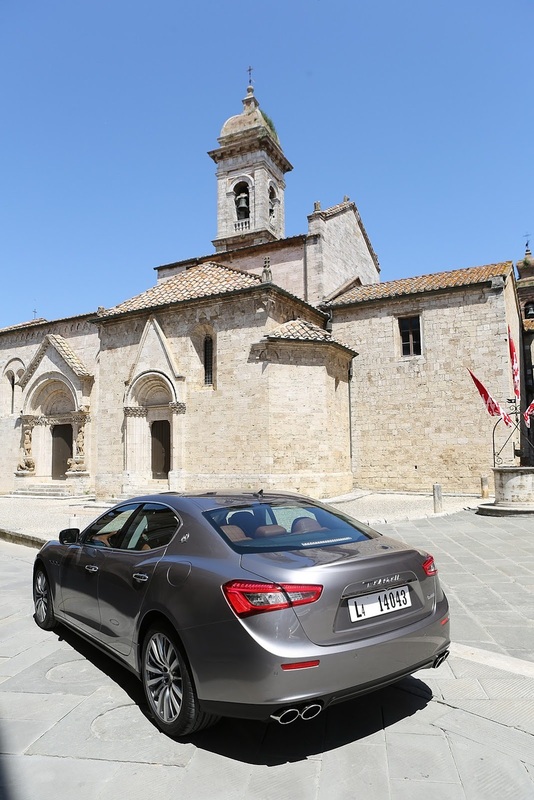 Bella, il de drio è da vedere dal vivo. 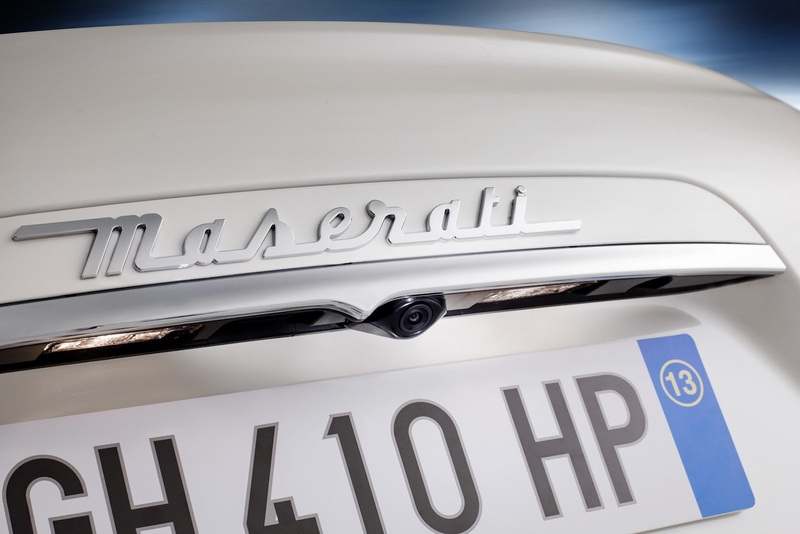 Il cruscotto è quello Chrysler "ricarrozzato", abbastanza palese, ma sta bene (forse il plasticone intorno al navi postava essere migliore). 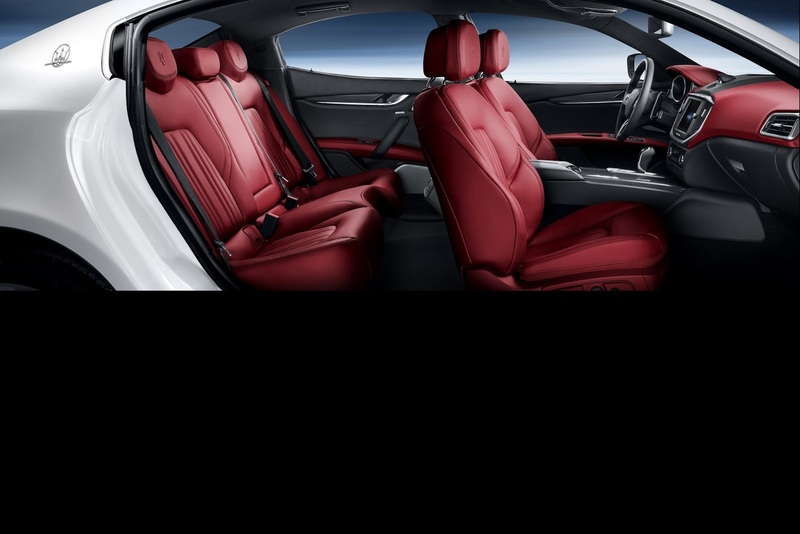 Chi ha photoshoppato i sedili e le parti "rosse" del cruscotto?! 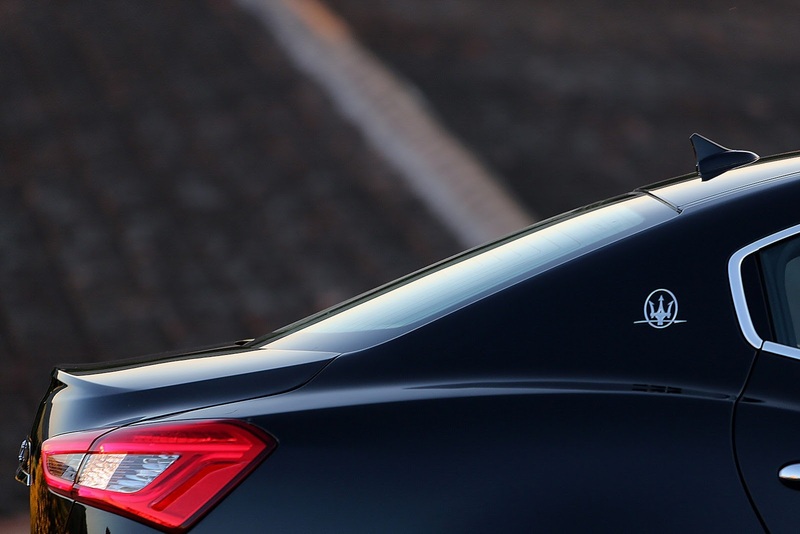 Merita la galera!!!! 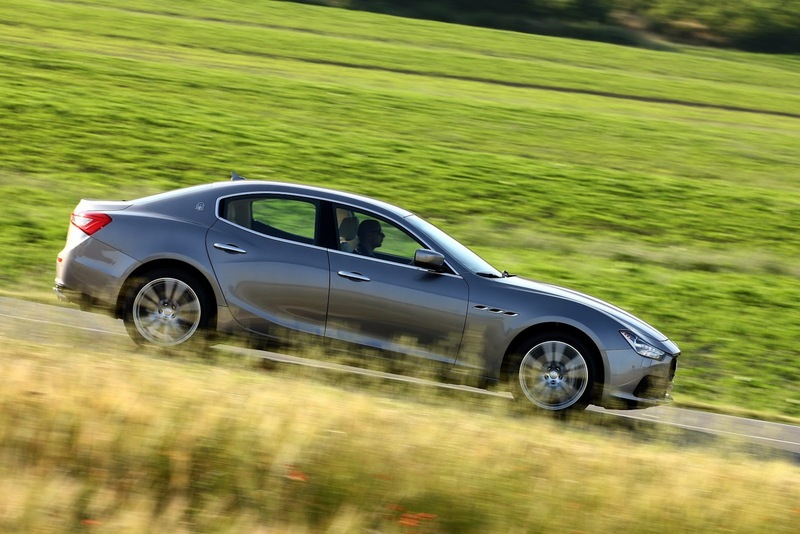 Anzi, in generale mi puzza ancora di render a manetta, quindi o spoof ben riuscito, o foto ritoccate alla membro di canino come per la 4C. 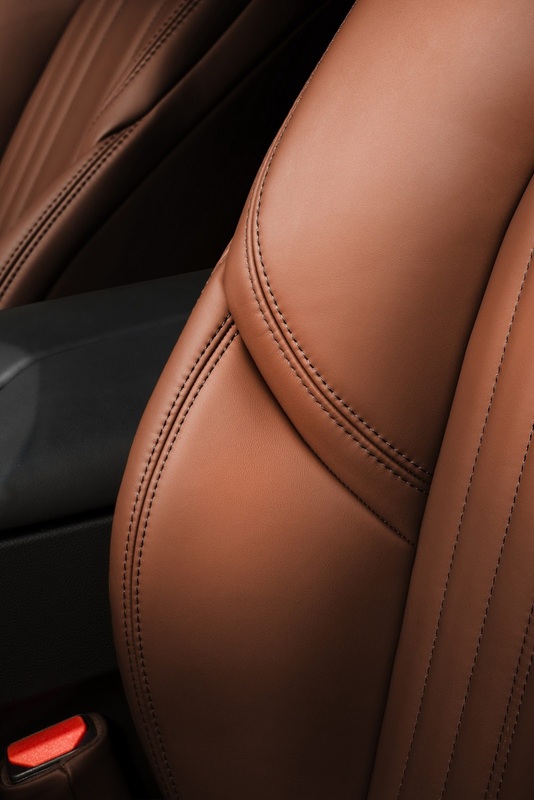 Ford presenta la nuova Kuga in una veste completamente rinnovata e basata sulla piattaforma della Ford Focus. 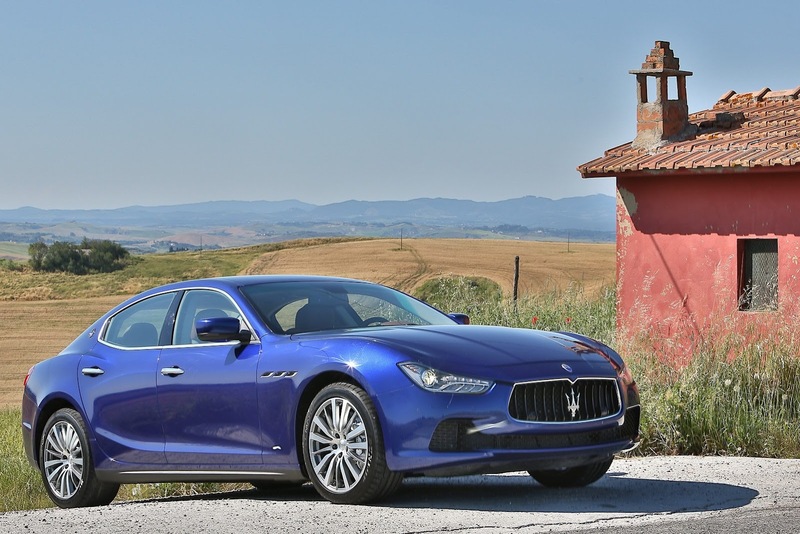 Partiamo dalle cose che ci fanno piacere: la massa complessiva cala - in media - di 90 kg rispetto al modello uscente. 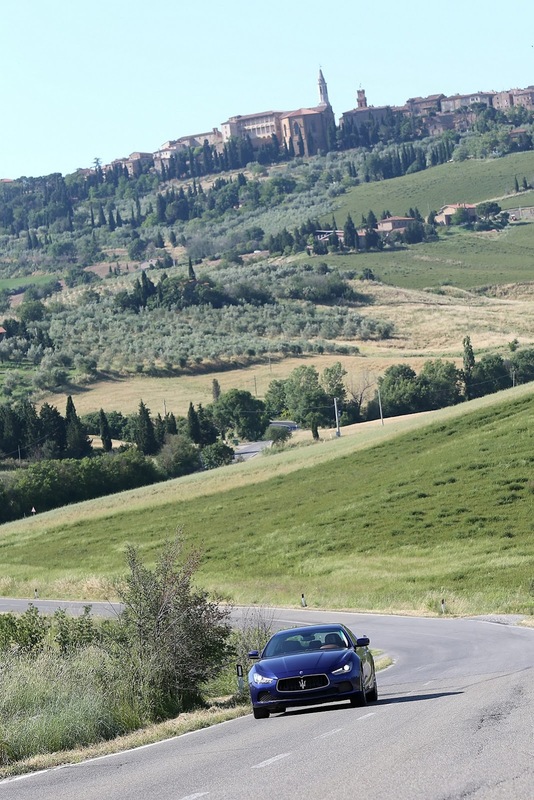 La vettura è più lunga e larga della precedente, il passo arriva a 2.7 metri. 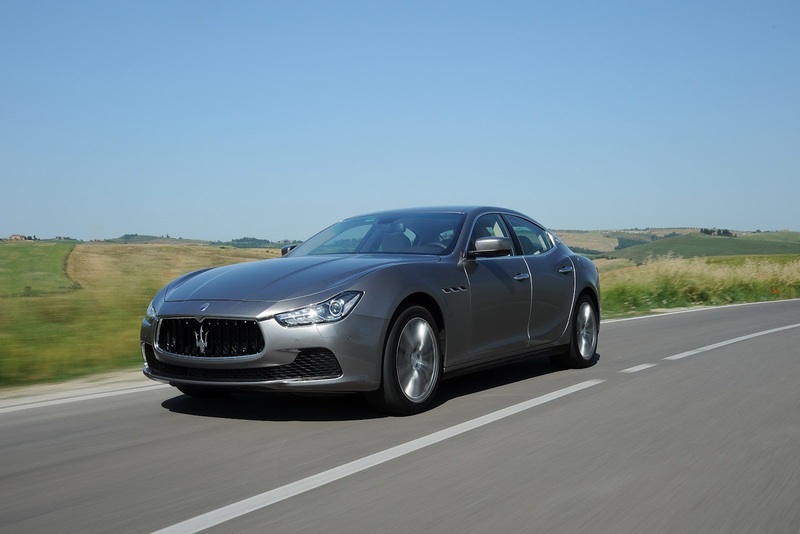 Lunga 4.58 metri, Larga 1.88 ed alta 1.74 metri. 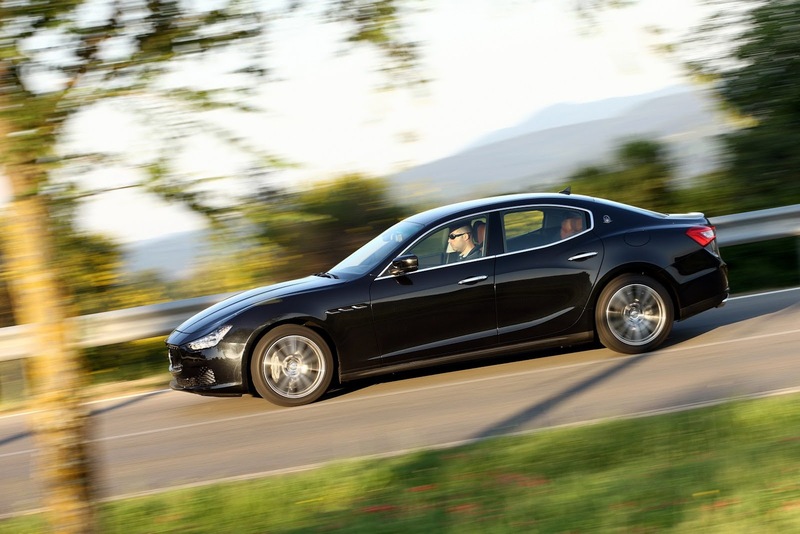 La gamma sarà caratterizzata da modelli a ciclo otto, diesel, ibridi, mild-hybird e plug-in-hybrid. 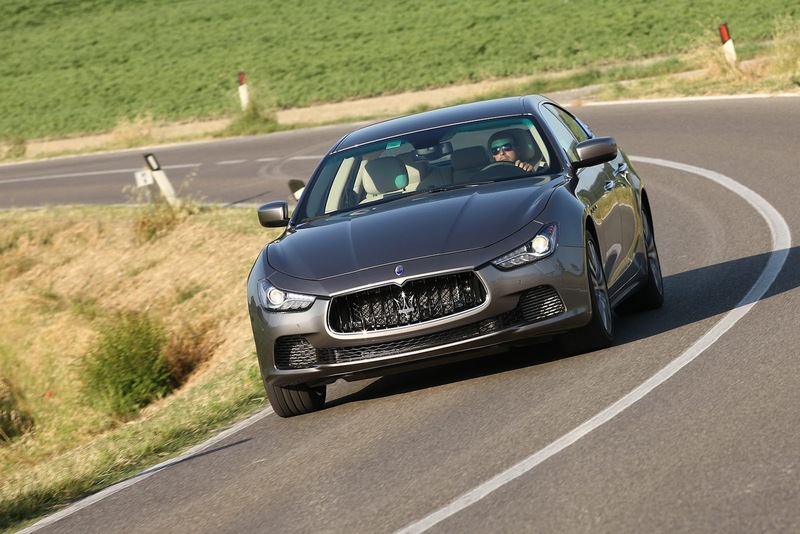 Gli allestimenti saranno pantografati a quelli di Focus, quindi troveremo ST-Line e Vignale, che avranno dei frontali specifici. 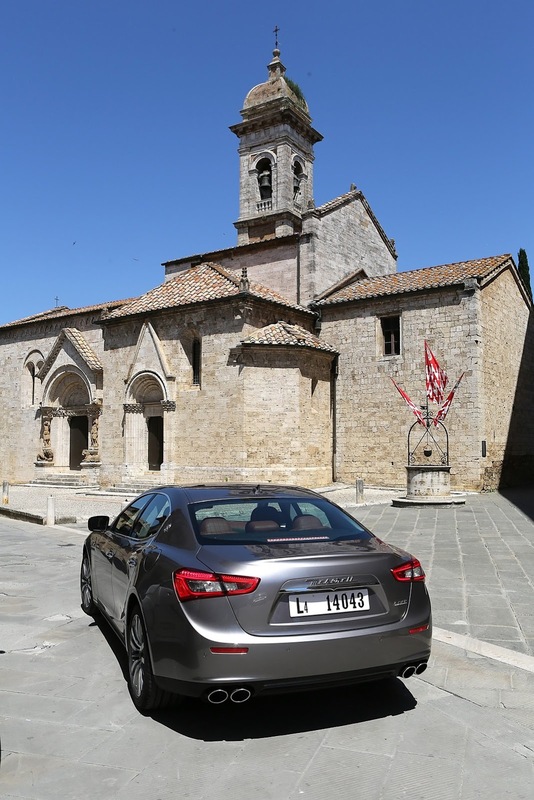 Due motori a ciclo otto , entrambi 3 cilindri 1.5 EcoBoost, che sono declinati in 120 e 150 CV. 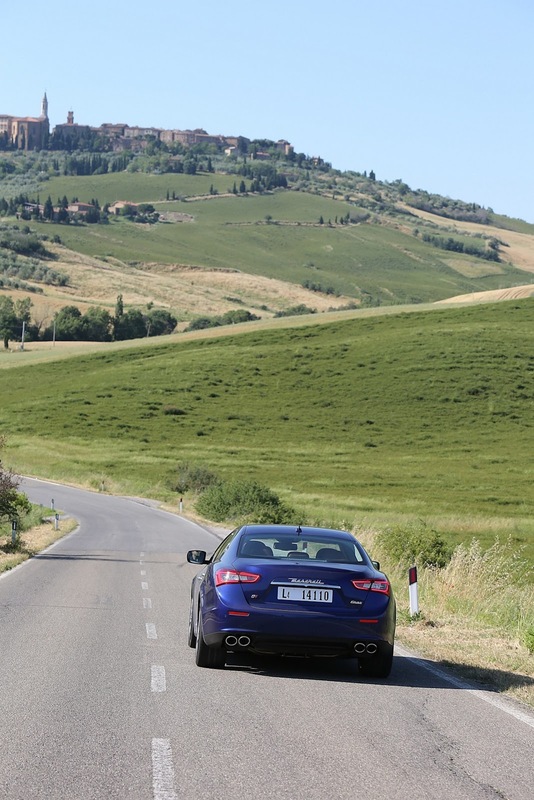 Sul fronte diesel abbiamo il 1.5 EcoBlue da 120 CV a cui si affianca un 2.0 diesel da 190 CV. 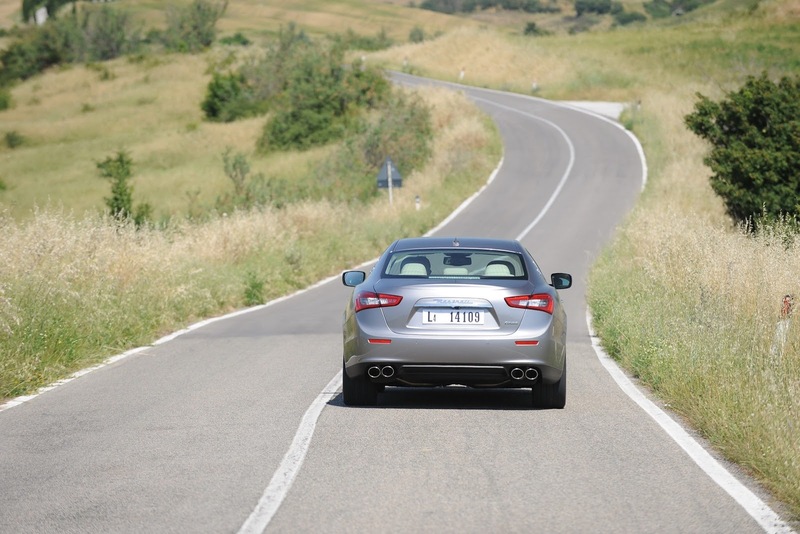 Andiamo nel dettaglio delle ibride. 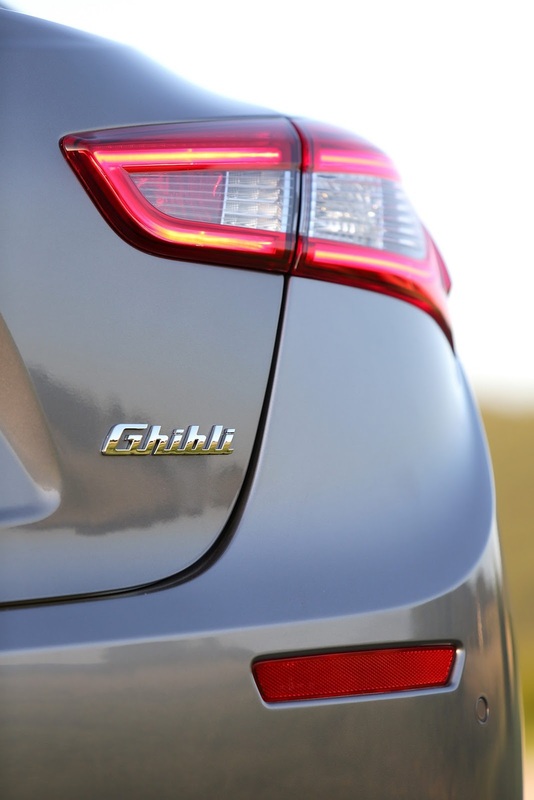 Ford Kuga EcoBlue Hybrid . 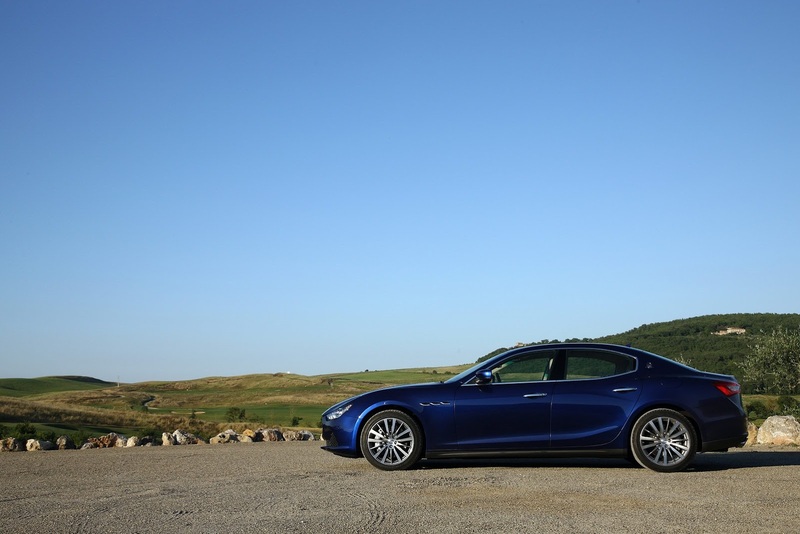 Questa è la versione semi-ibrida (Mild Hybrid) con tecnologia 48 volt ed utilizza un motore diesel 2.0 EcoBlue da 150 CV. 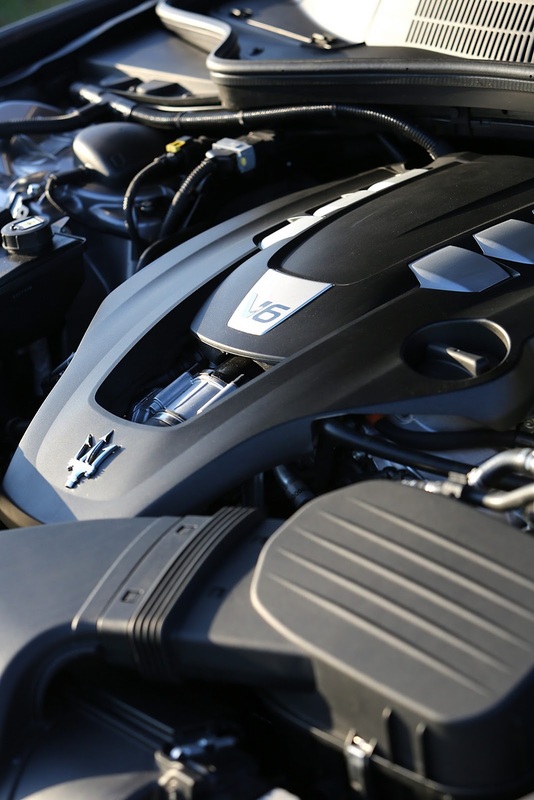 La tecnologia Mild Hybrid utilizza un moto-generatore collegato alla cinghia dei servizi (BISG) che sostituisce l'alternatore standard, consentendo il recupero e lo stoccaggio di energia durante le decelerazioni del veicolo e la ricarica di una batteria a ioni di litio da 48 volt raffreddata ad aria. 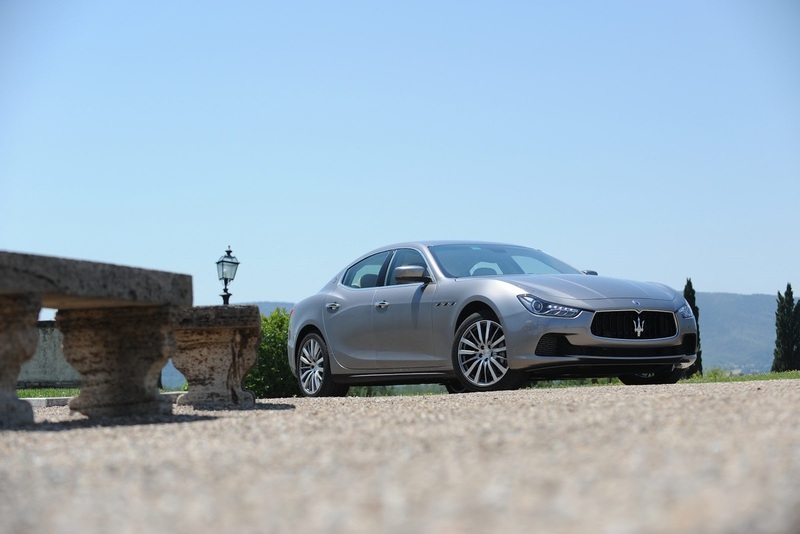 Il consumo medio registrato secondo ciclo WLTP è di 5,0 litri per 100 chilometri ed emissioni di CO2 di 132 g / km. 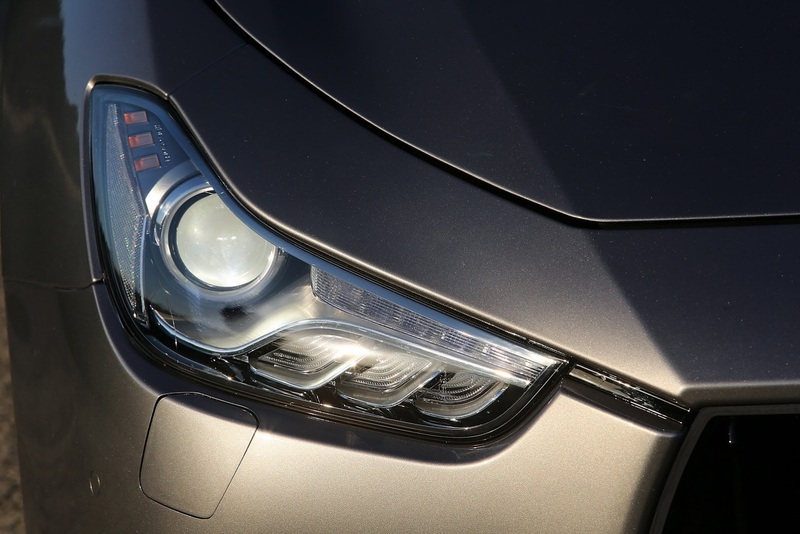 Ford Kuga Hybrid. 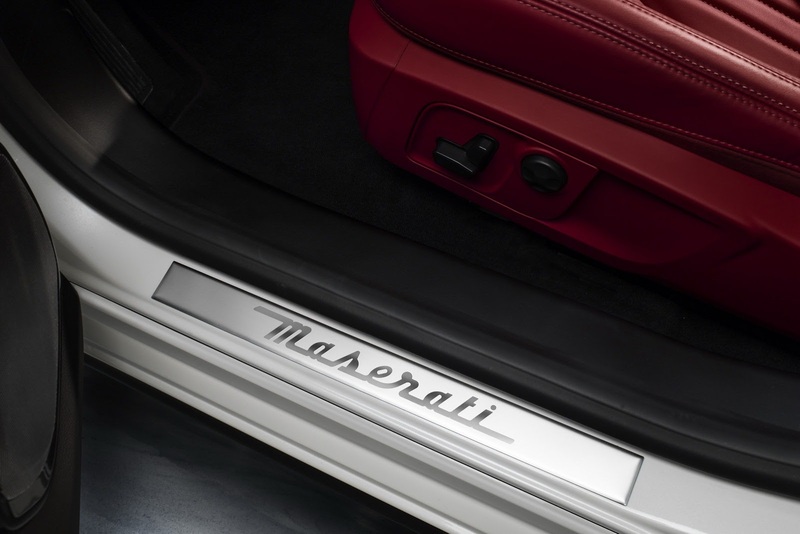 Passiamo alla versione ibrida convenzionale. 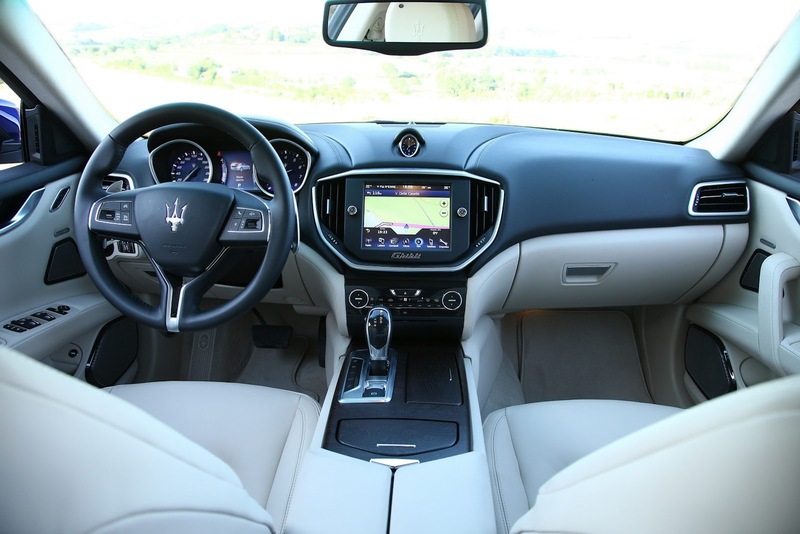 Utilizza un sistema di propulsione completamente ibrido e auto-ricaricabile. 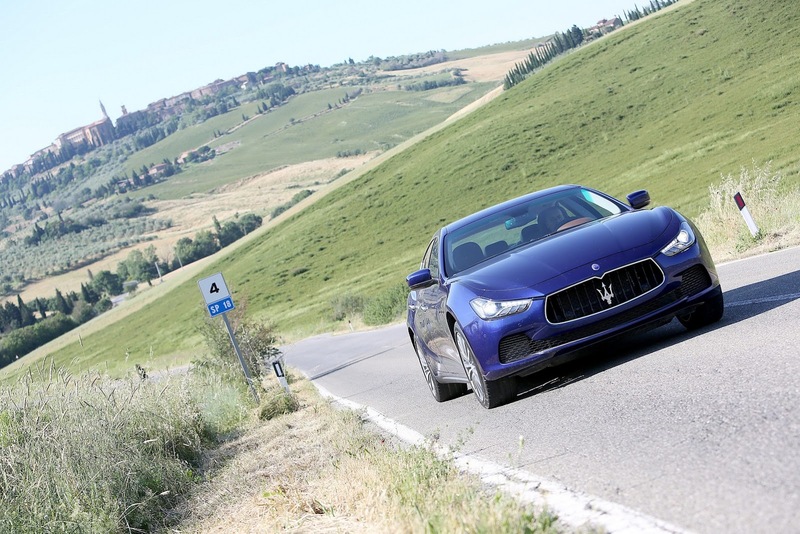 Permette di circolare in modalità puramente elettrica per un piccolo numero di chilometri ed a bassa velocità. Sotto il cofano è presente un motore a benzina da 2,5 litri a ciclo Atkinsosn che è accompagnato da un piccolo motore elettrico, un generatore ed una batteria. 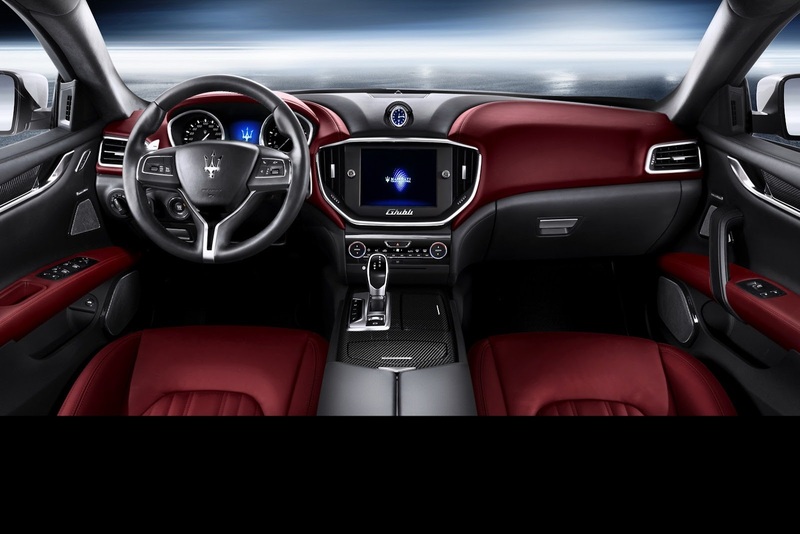 Questa versione arriverà nel 2020 e sarà disponibile sia in configurazione trazione anteriore sia trazione integrale. 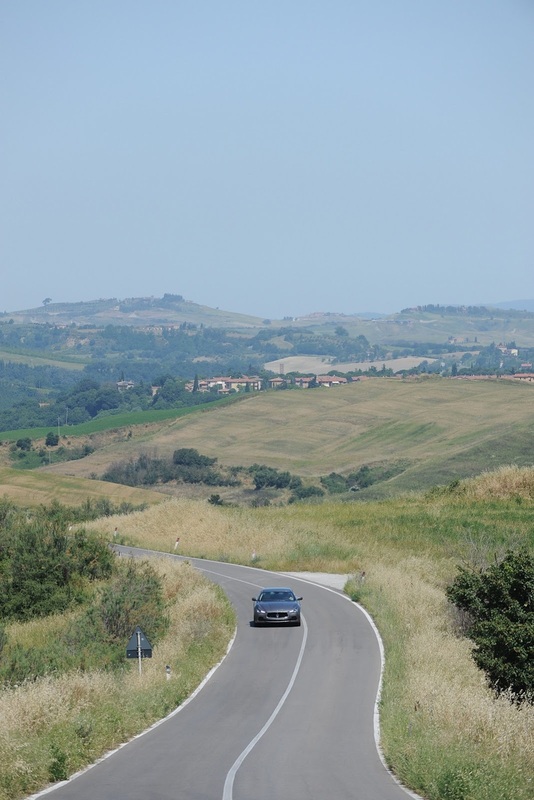 Il consumo medio registrato è di 5,6 l / 100 km ed emissioni di CO2 di 130 g / km. 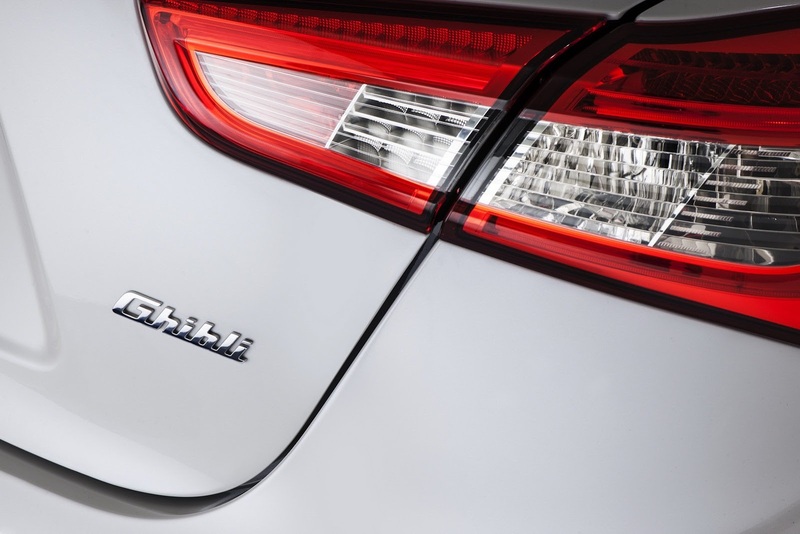 Ford Kuga Plug-in-Hybrid. 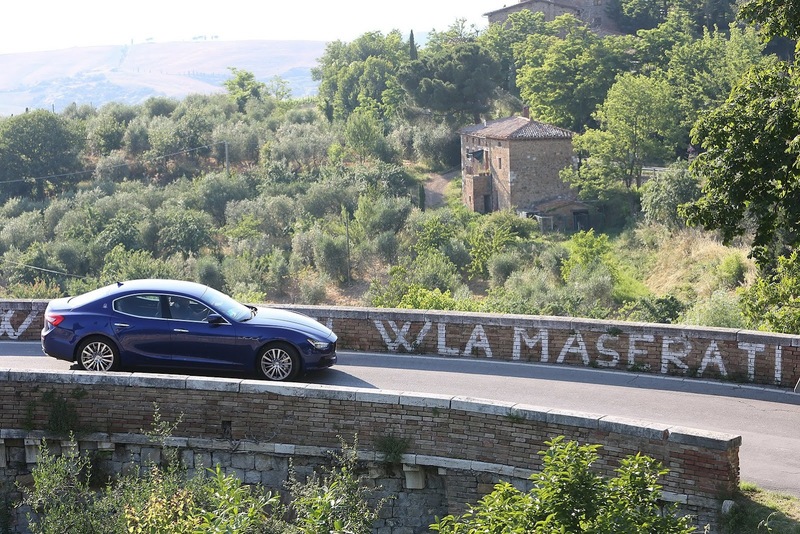 Sarà il massimo esponente dell'elettrificazione che possiamo trovare nella gamma. 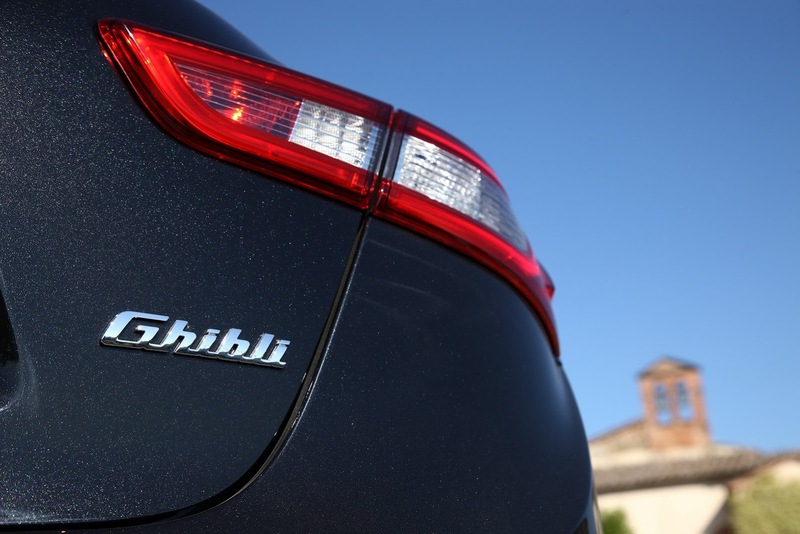 Disponibile dal lancio della nuova Kuga. 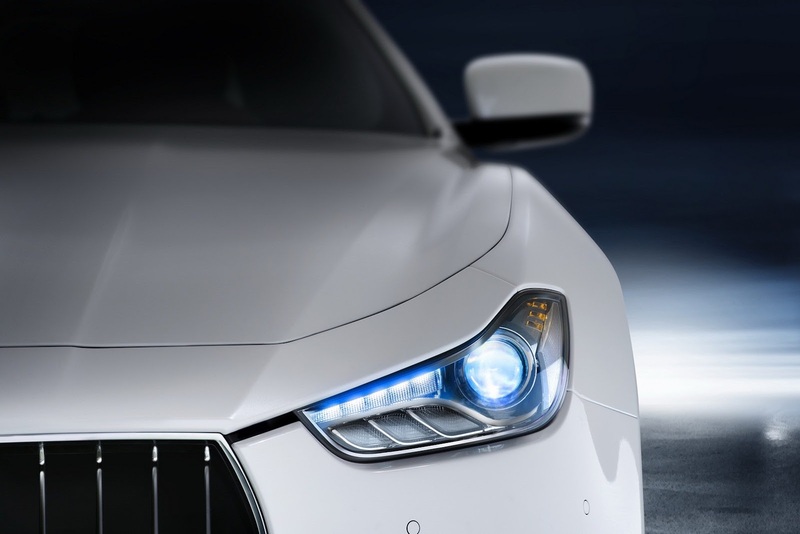 La versione PHEV combina un motore a benzina a quattro cilindri da 2,5 litri con un motore elettrico, un generatore ed una batteria agli ioni litio da 14,4 kWh. 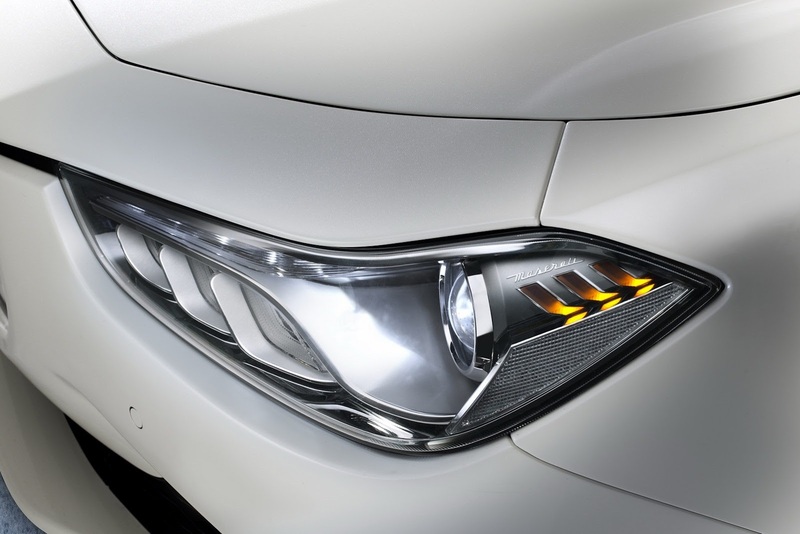 Sviluppa una potenza totale di 225 CV e consente alla Kuga di viaggiare fino a 50 chilometri in modalità 100% elettrica. 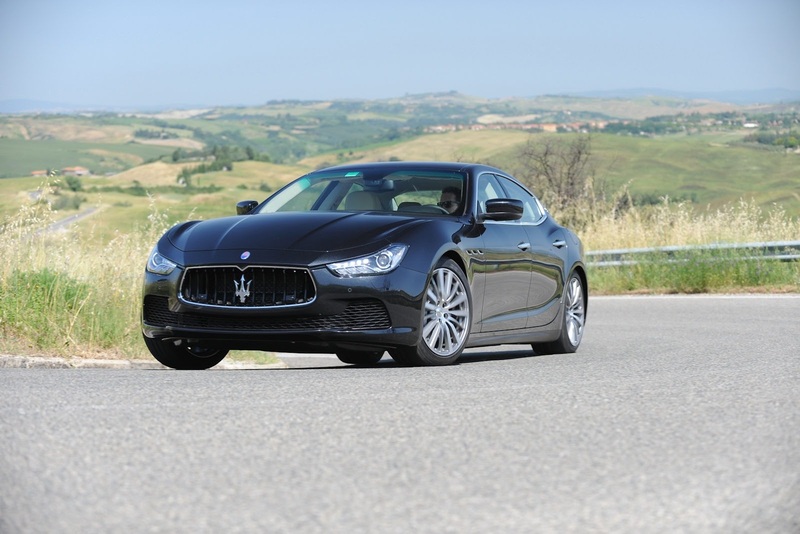 Da omologazione, il consumo medio è di 1,2 l / 100 km ed emissioni di CO2 di 29 g / km. 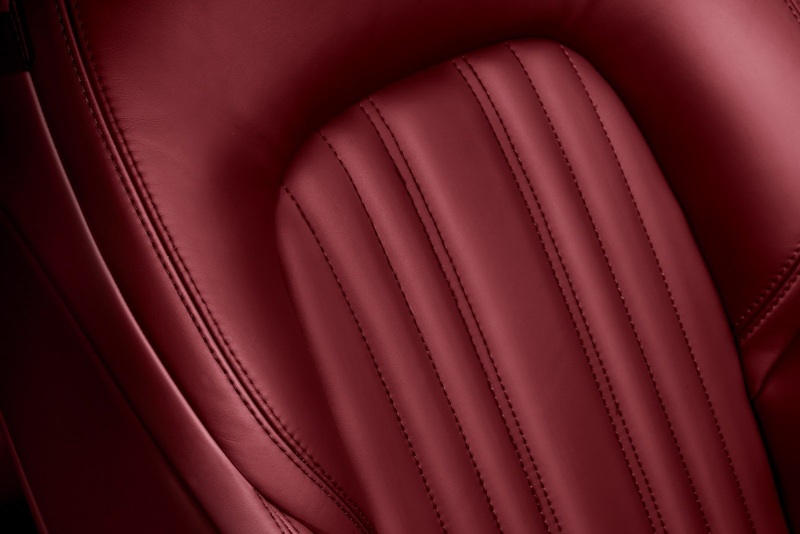 Il punto di ricarica si trova sul quarto anteriore sinistro. 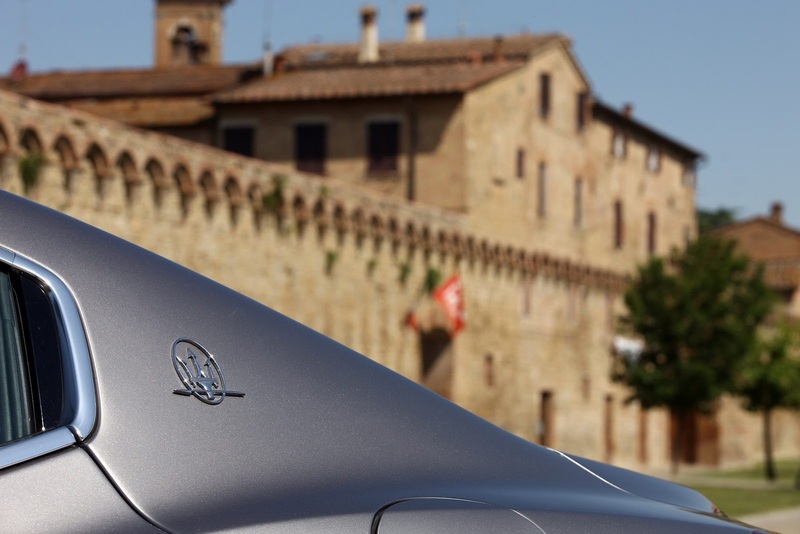 Il guidatore può scegliere tra le seguenti modalità di guida:Auto EV, EV Now, EV ed EV Late Charge. 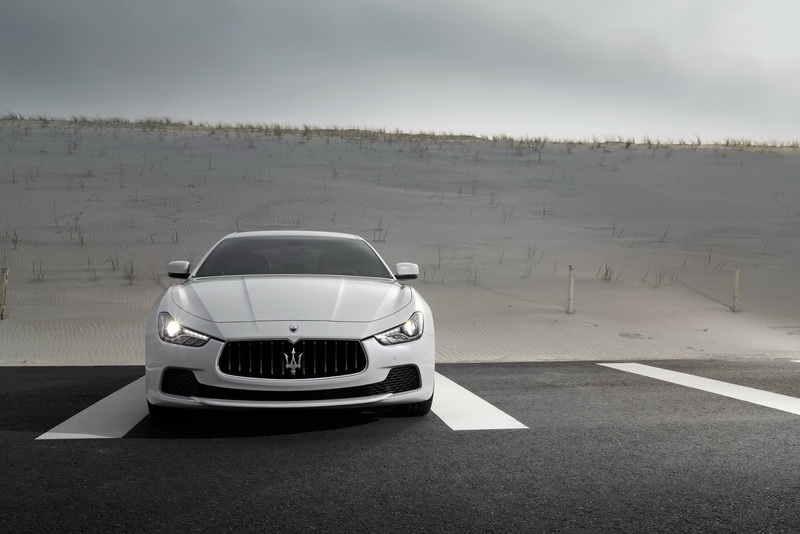 Sarà disponibile con la nuova trasmissione automatica ad 8 rapporti ed anche con la trazione integrale AWD. 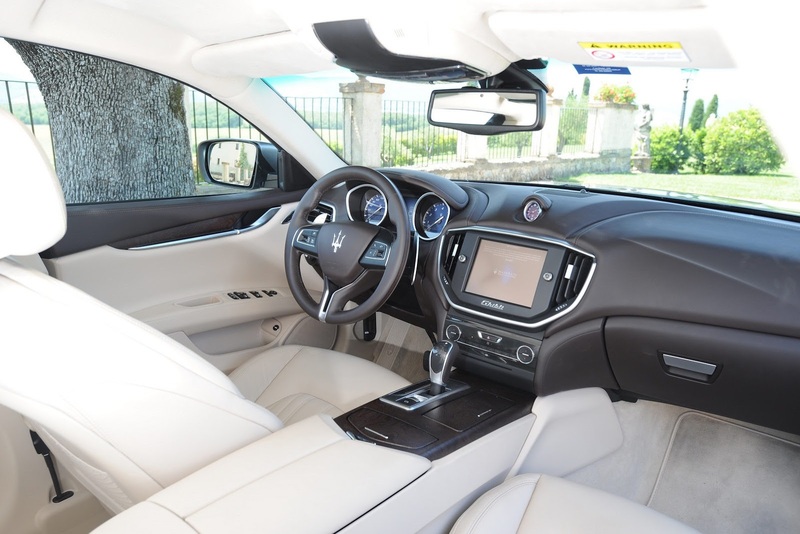 All'interno, troviamo molti elementi in comune con la Focus, mentre il quadro strumenti da 12.3 pollici è preso in prestito - optional - dalla nuova Ford Explorer. 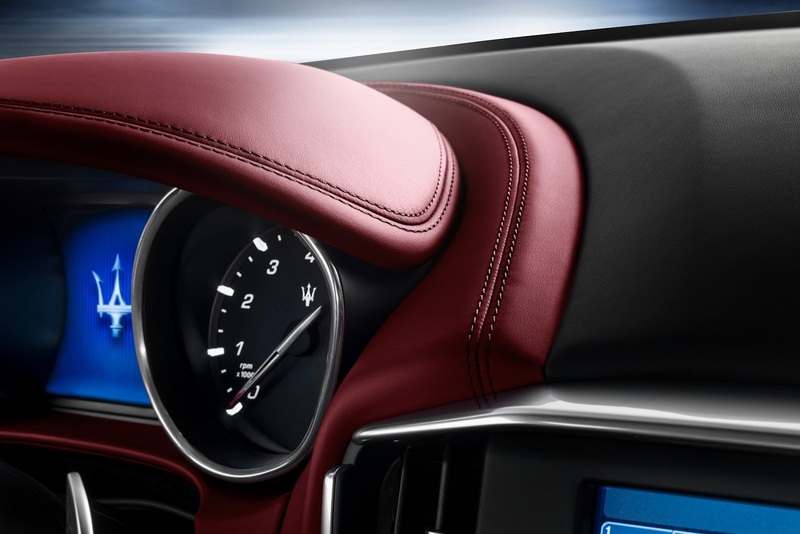 Un sistema di infotainment Sync 3 nuovamente aggiornato, verrà riprodotto sullo schermo di infotainment da 8 pollici per i modelli dall'allestimento intermedio in su, con Apple CarPlay e Android Auto. 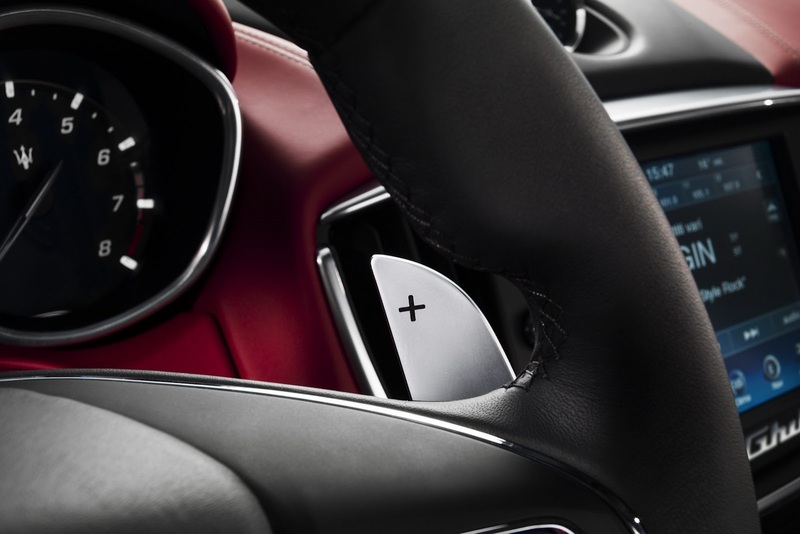 La Ford progetta anche di offrire il suo primo HUD nella Ford Kuga Titanium. 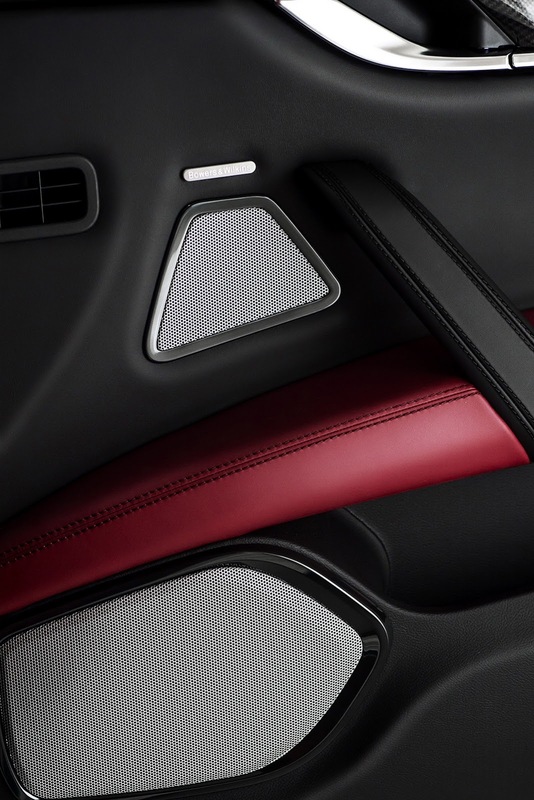 Ecco la nuova Auris. 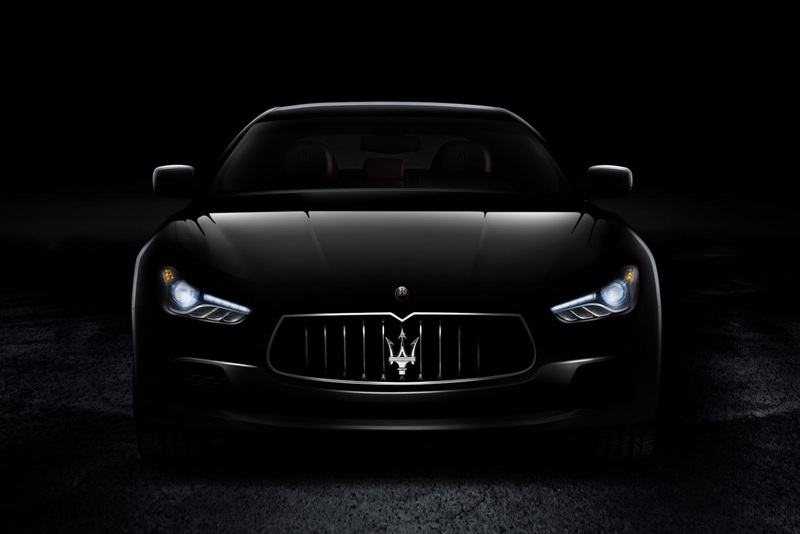 Passo avanti enorme per quanto riguarda il design secondo me! 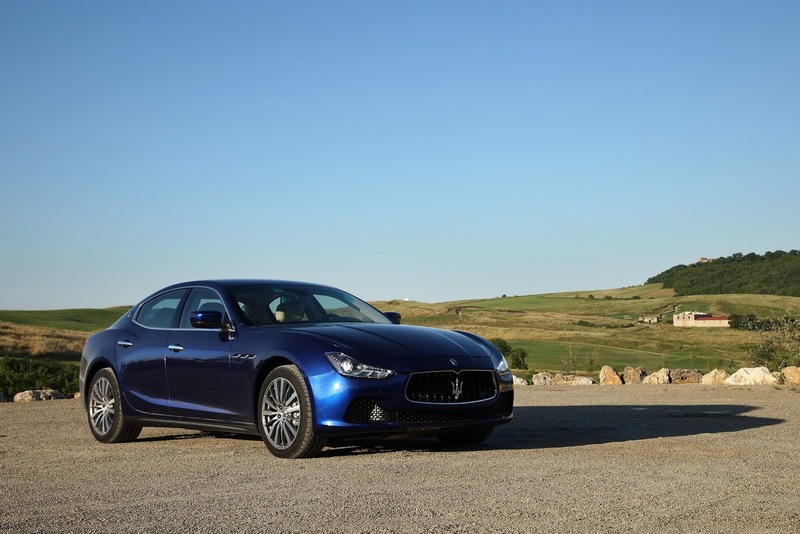 Standard Range Long Range Dual Motor AWD Performance Il modello Standard Range ha una autonomia di 370 km, mentre quello Long Range arriva fino a circa 480 km. 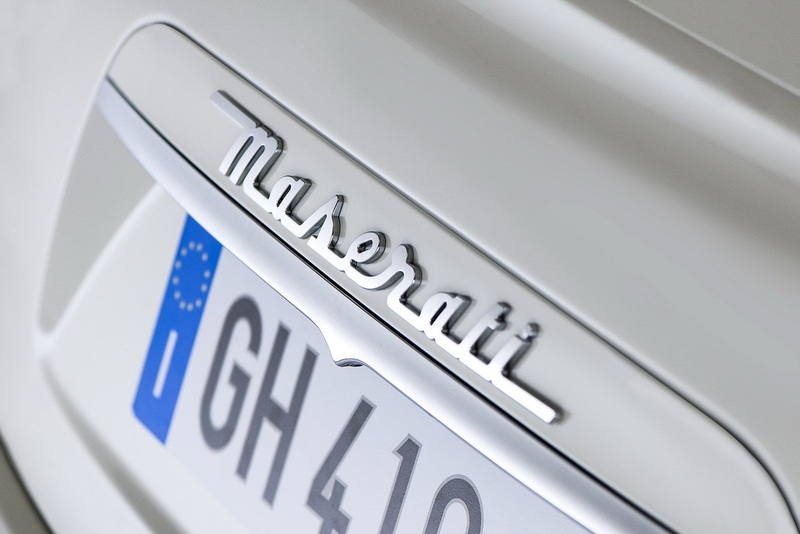 Nel 2021 sarà disponibile la meno potente Standard Range al prezzo base di 39.000 dollari.